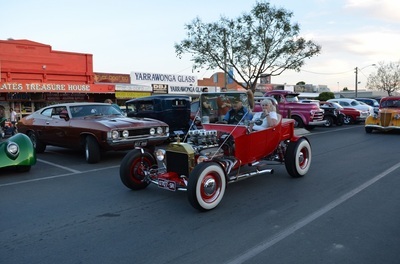 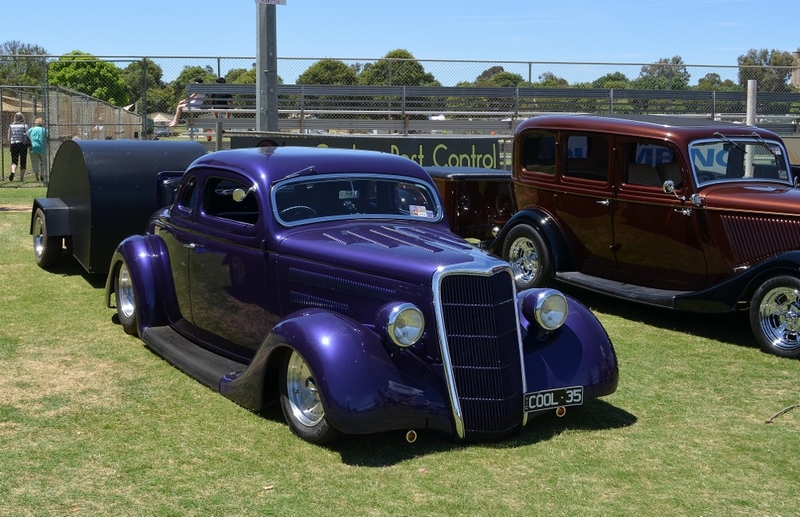 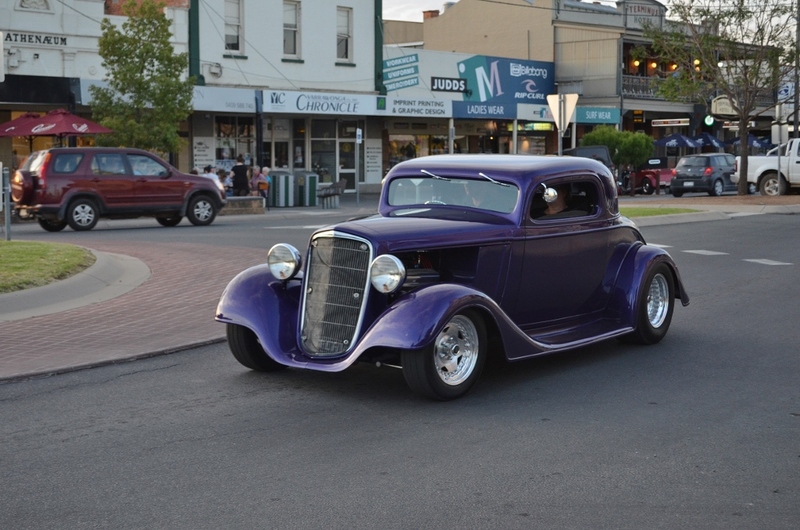 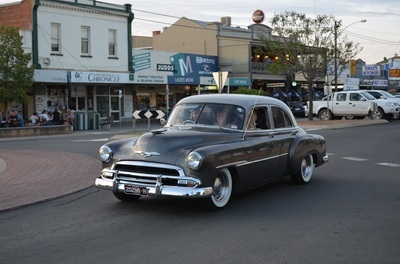 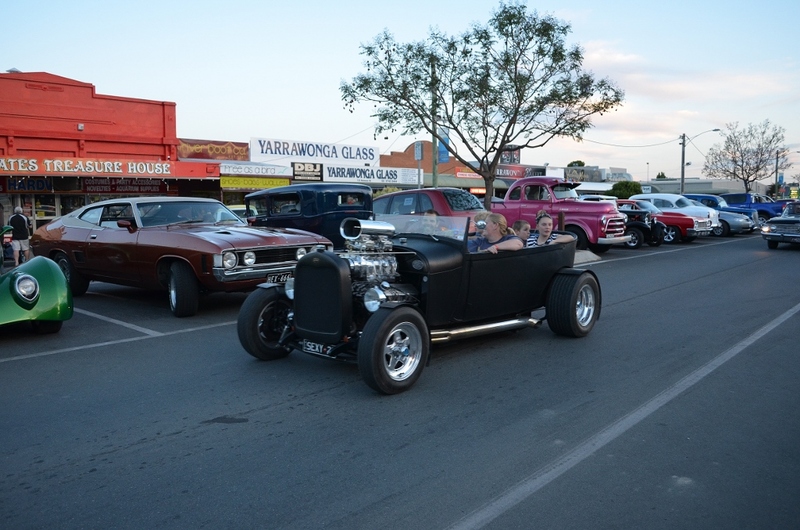 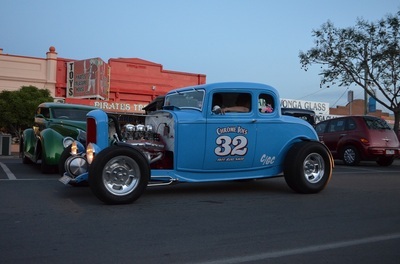 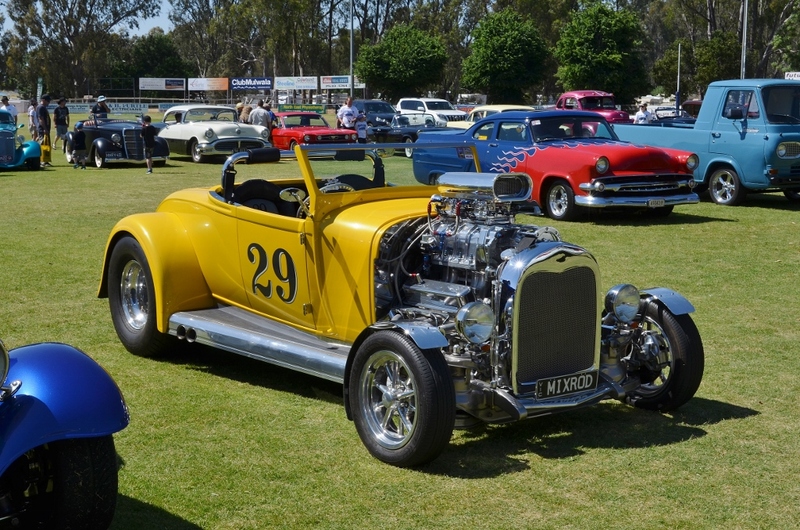 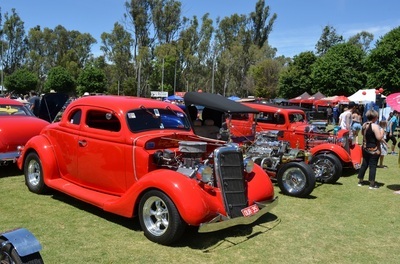 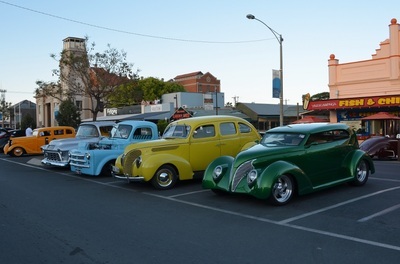 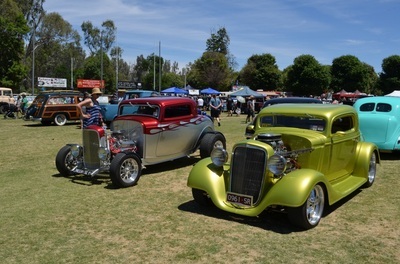 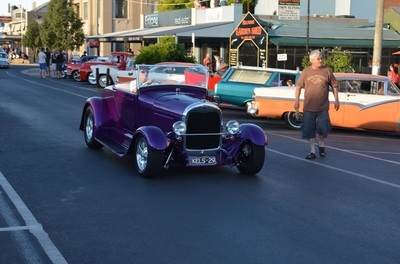 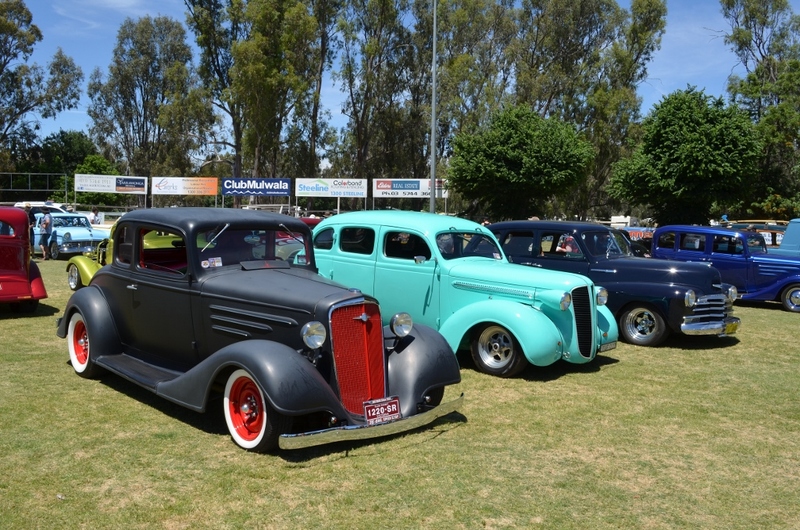 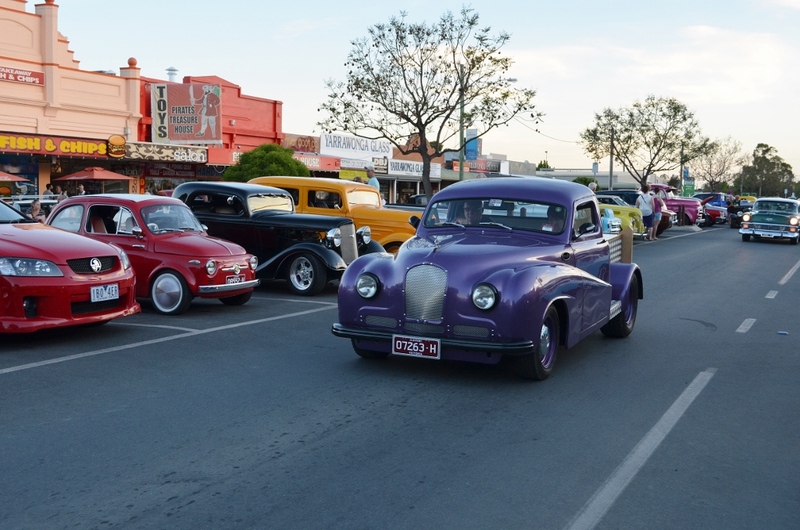 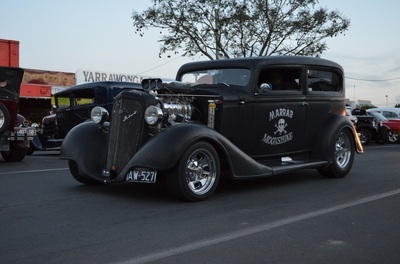 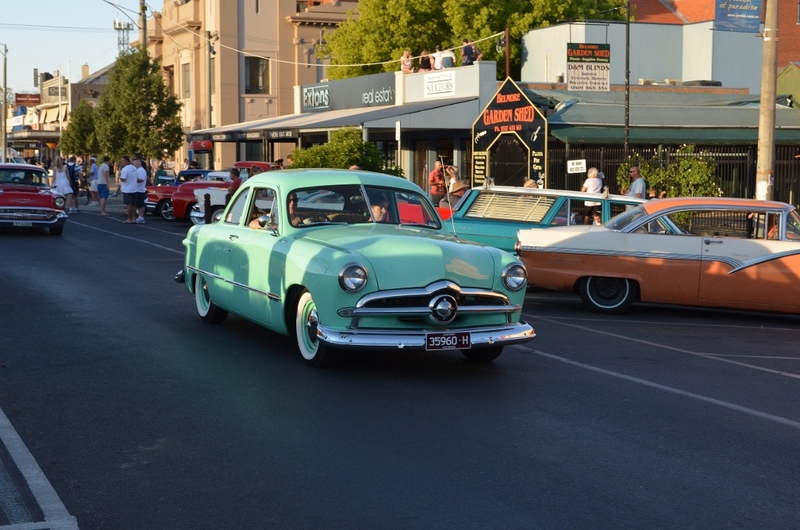 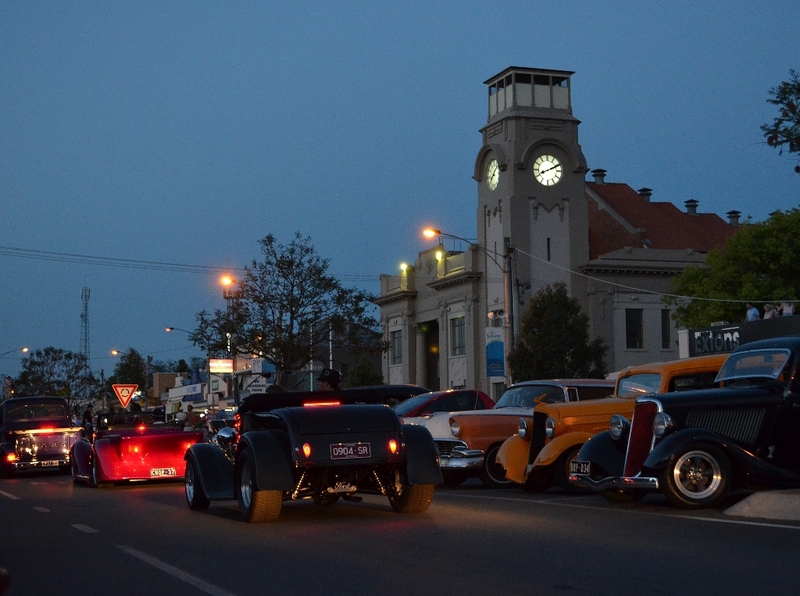 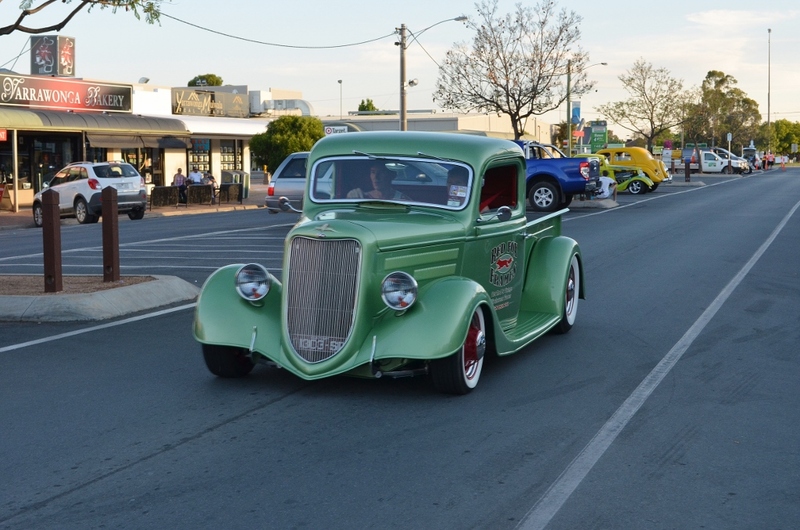 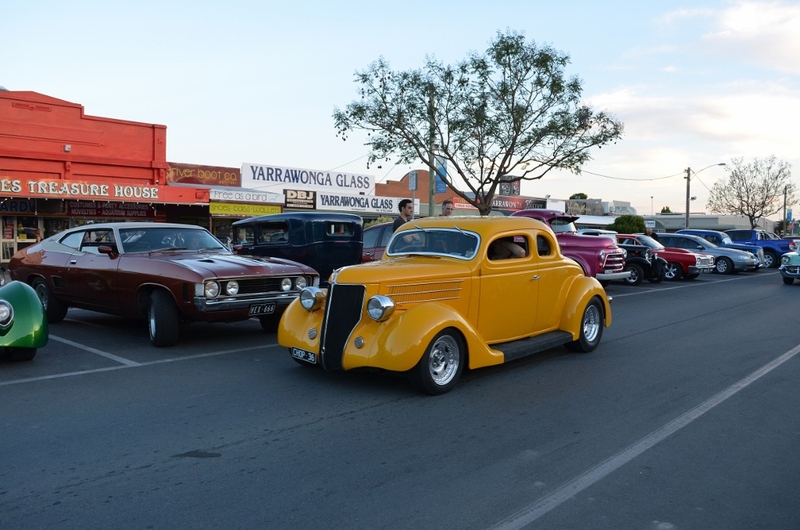 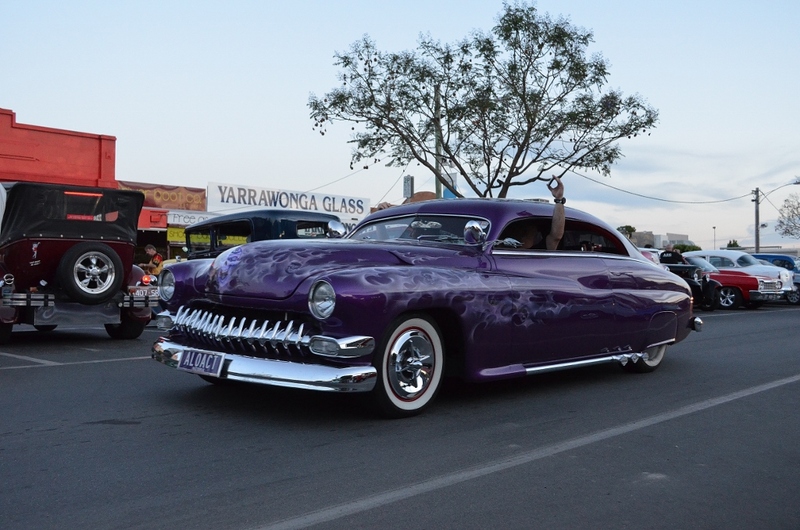 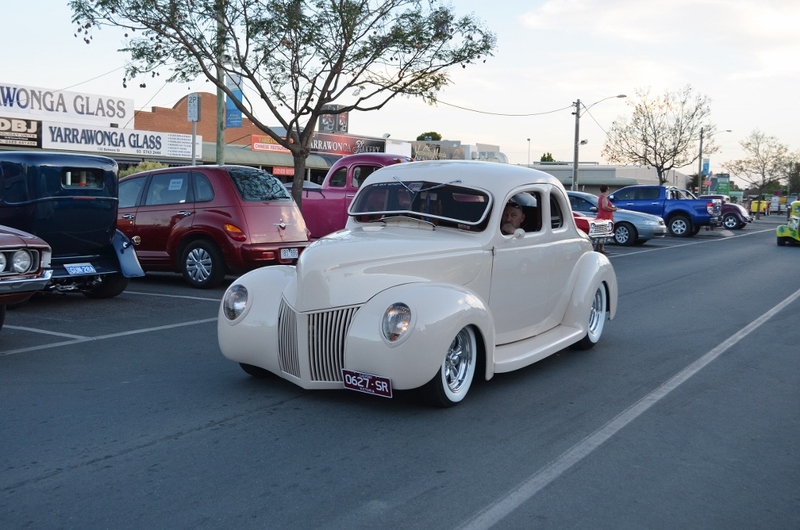 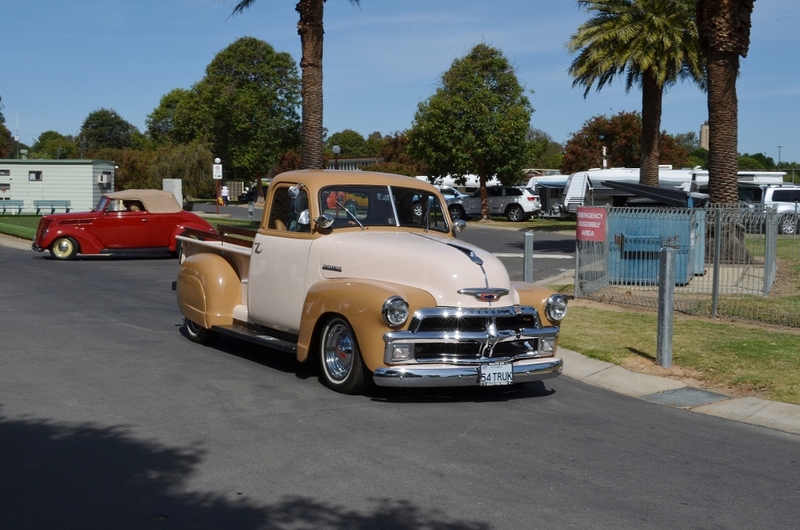 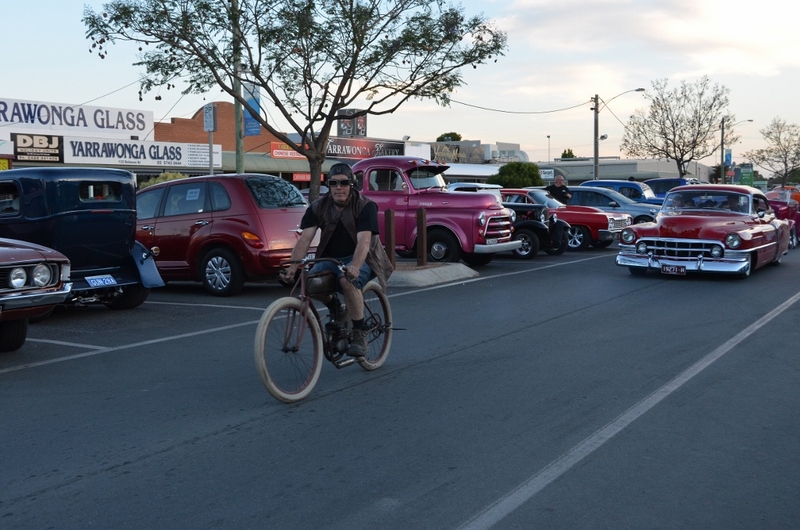 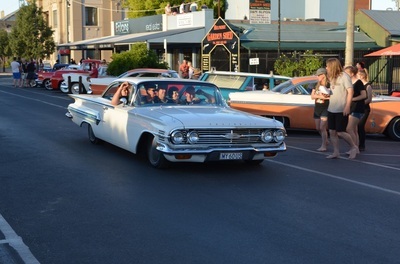 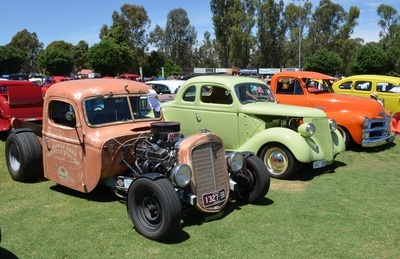 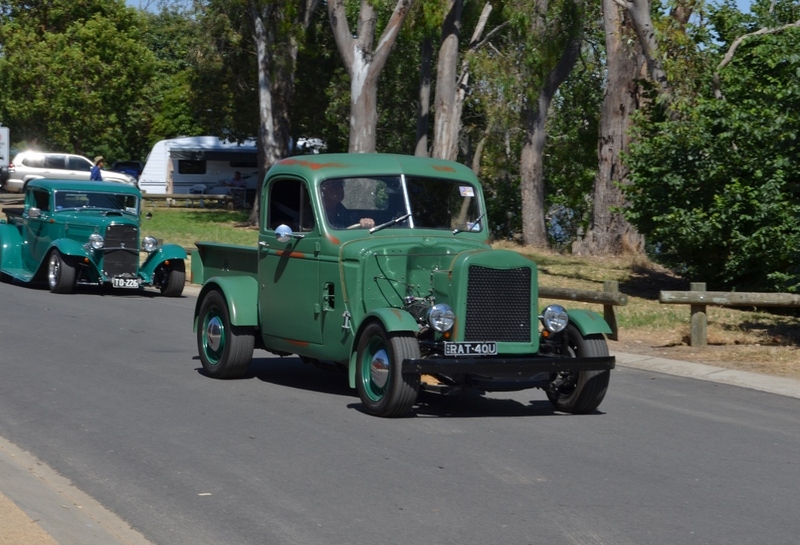 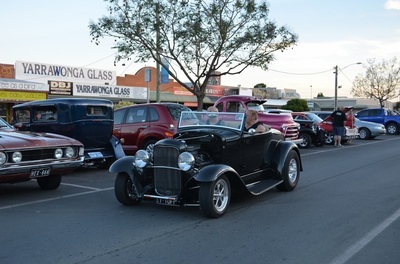 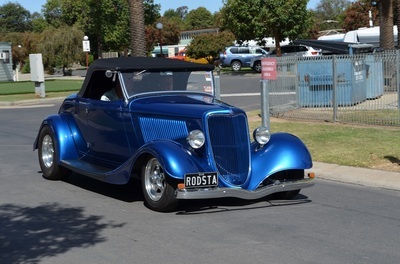 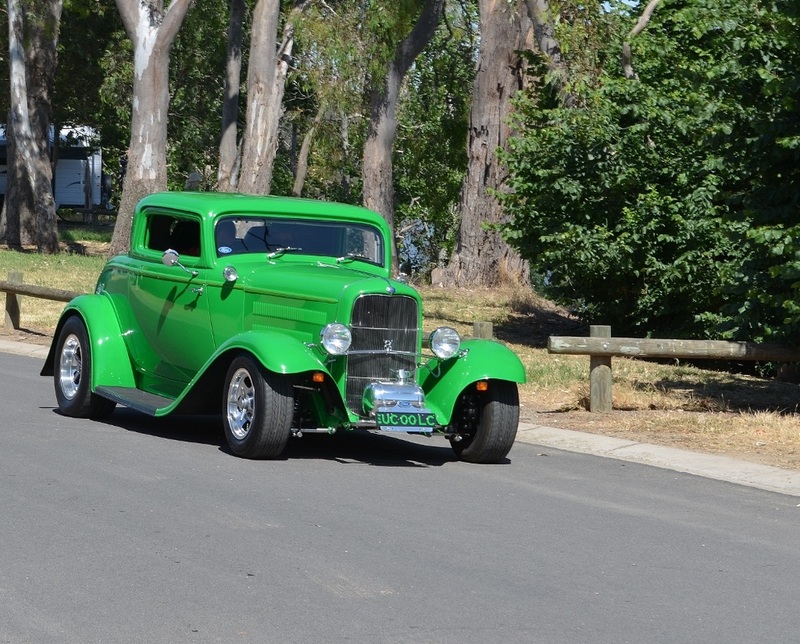 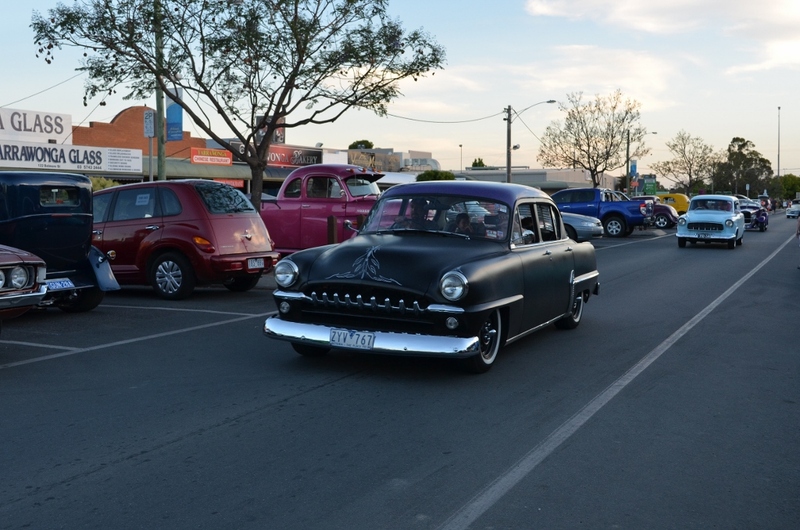 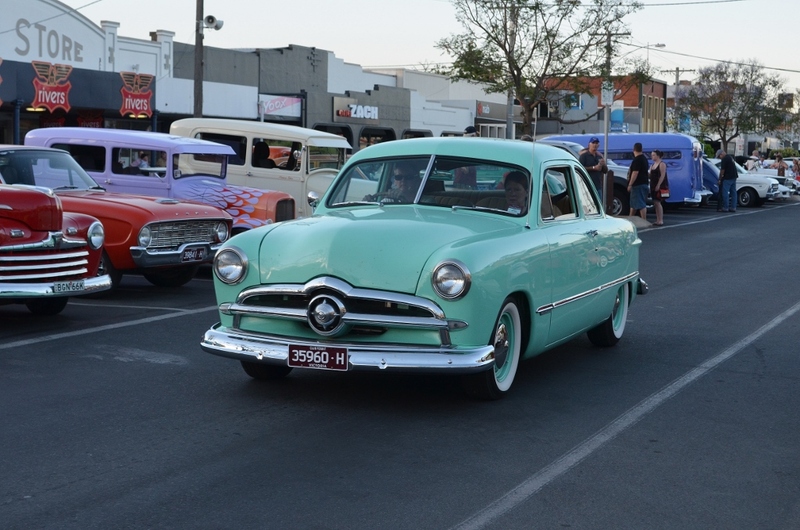 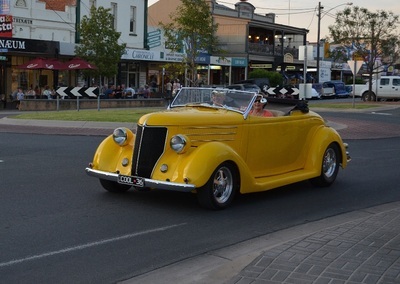 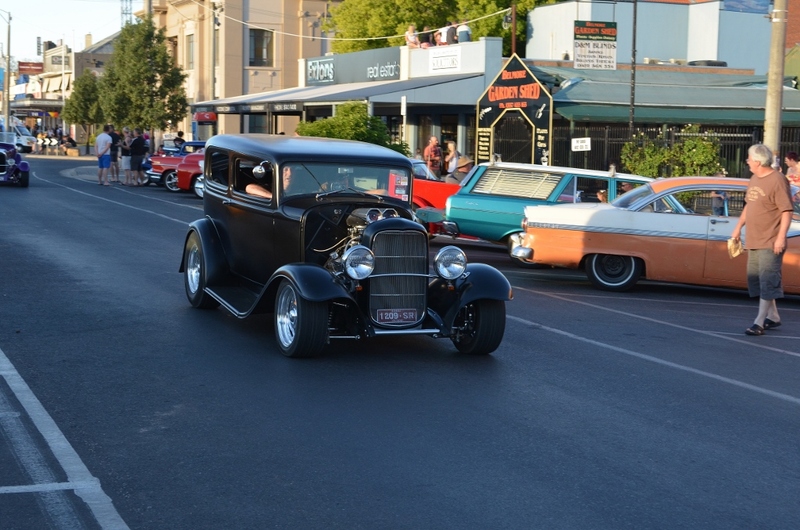 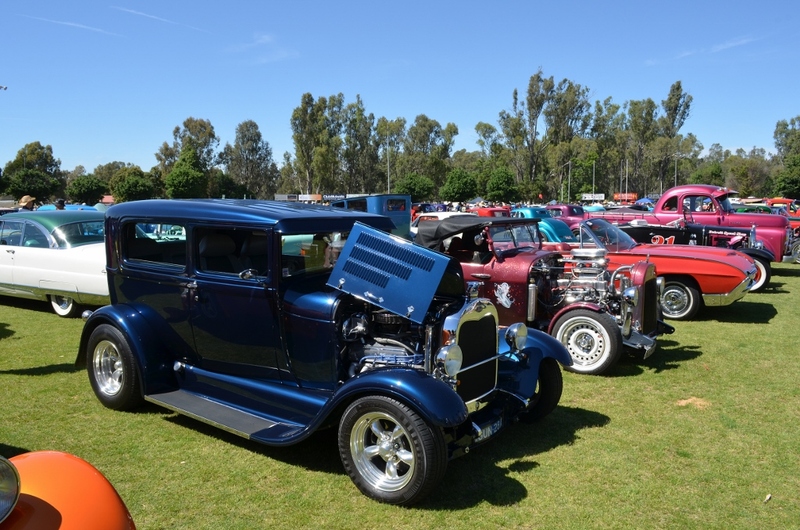 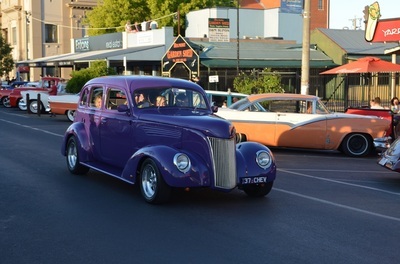 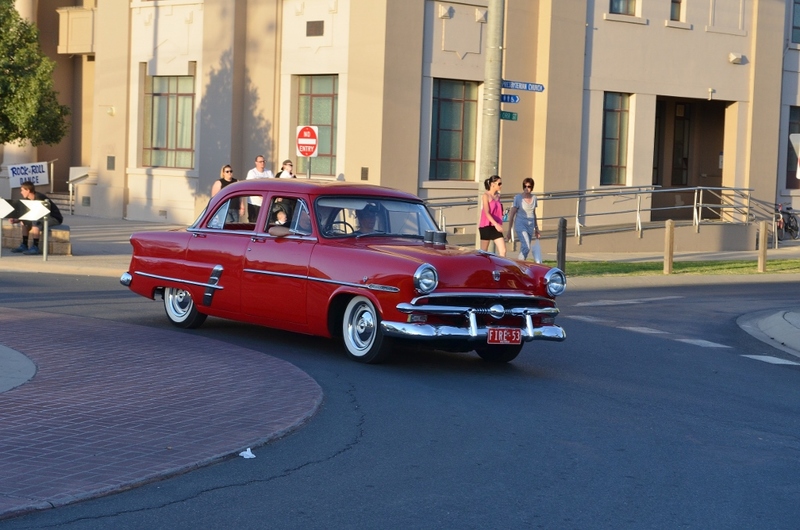 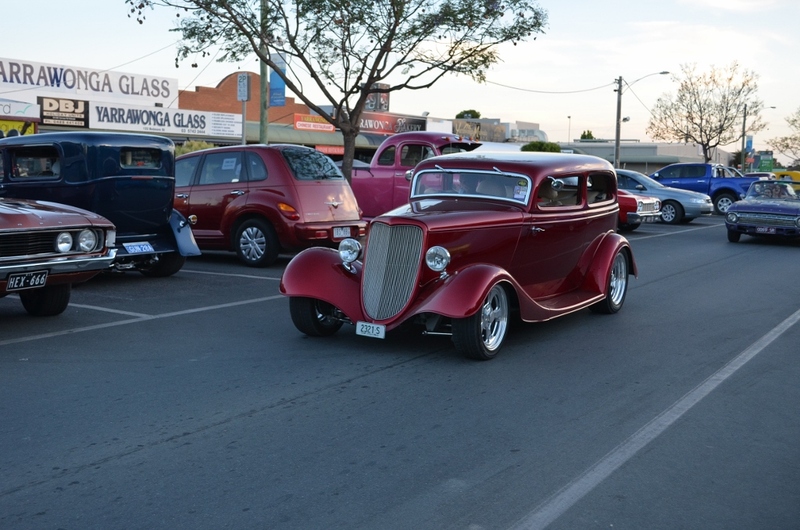 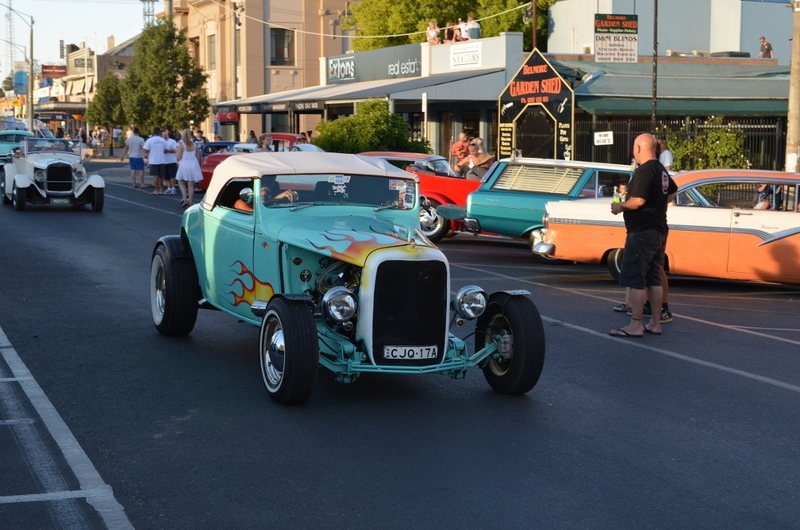 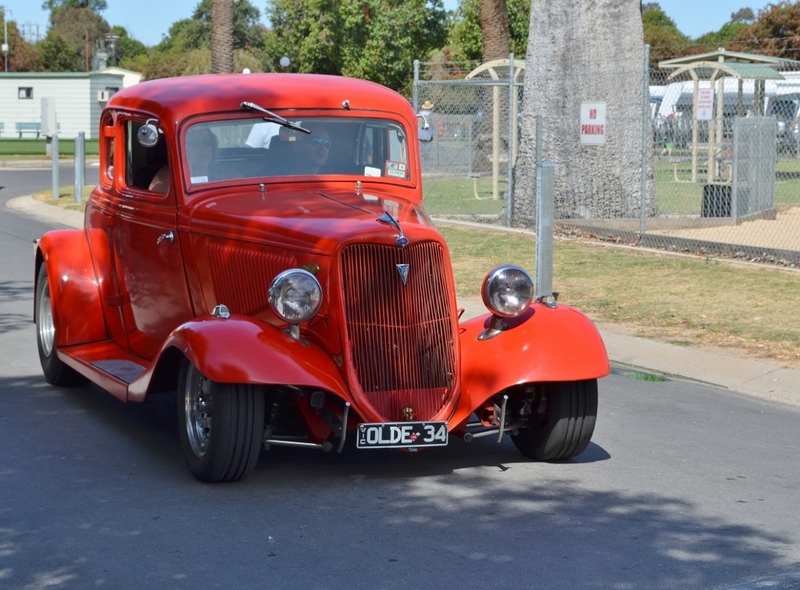 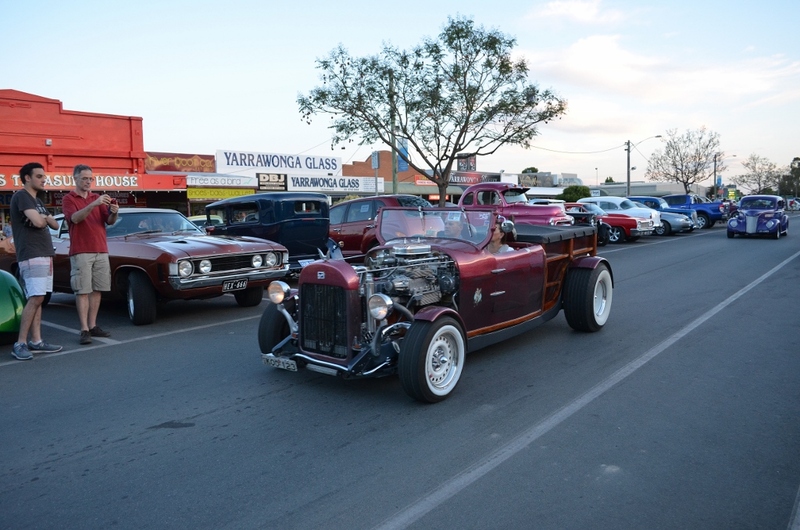 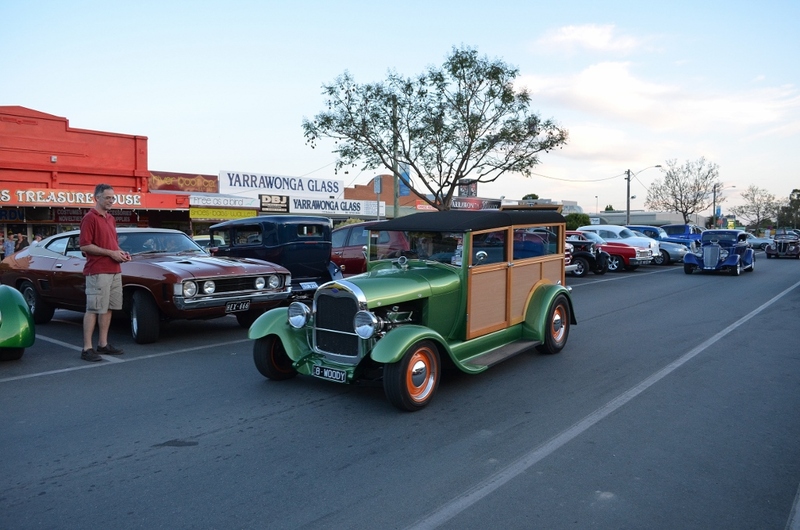 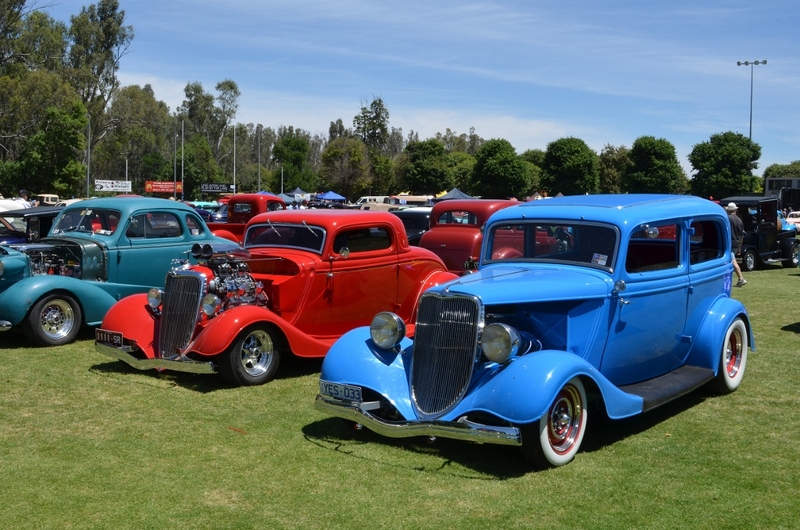 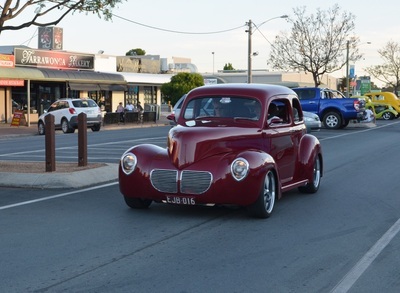 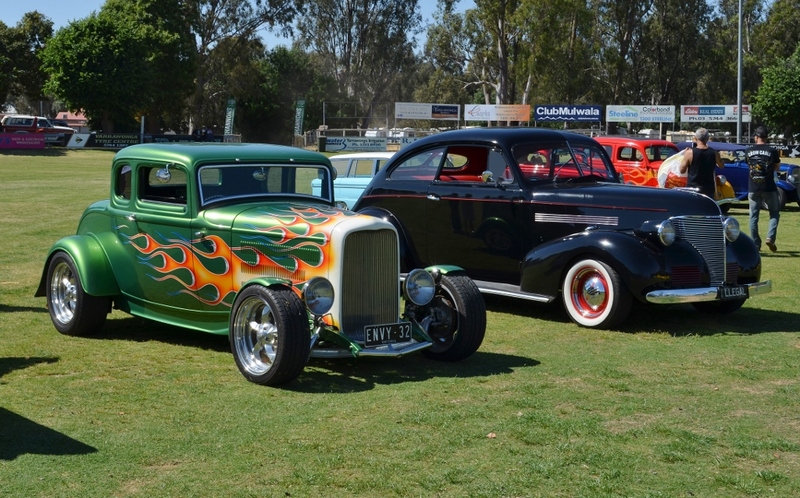 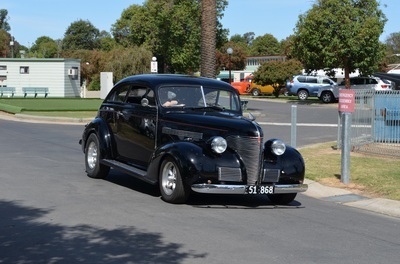 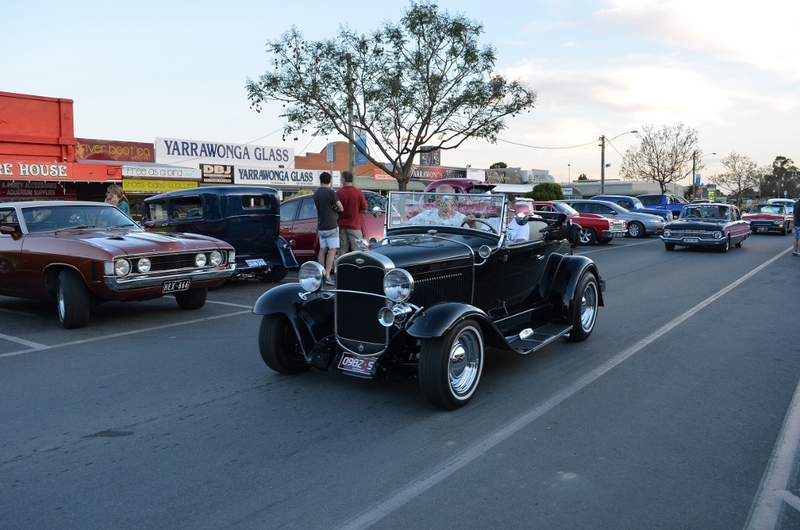 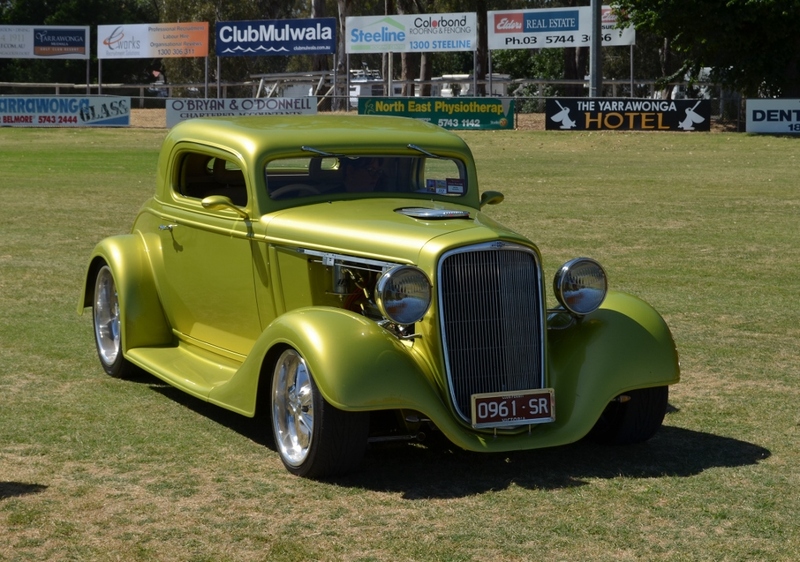 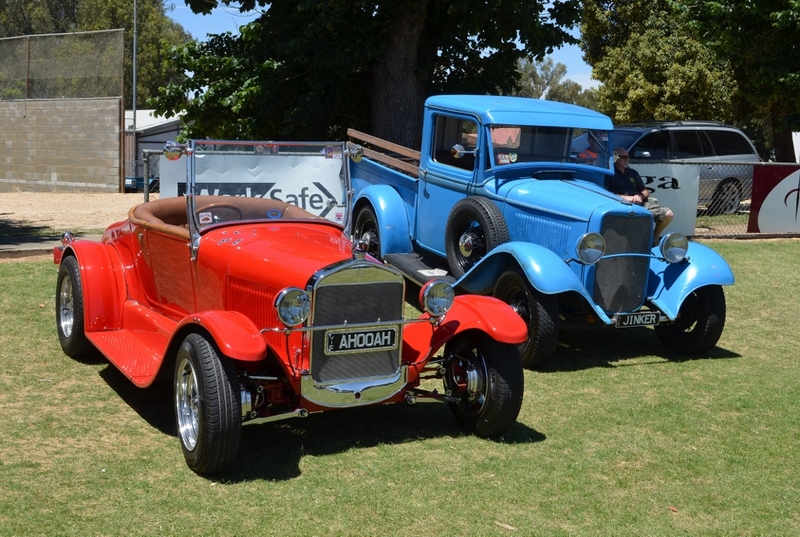 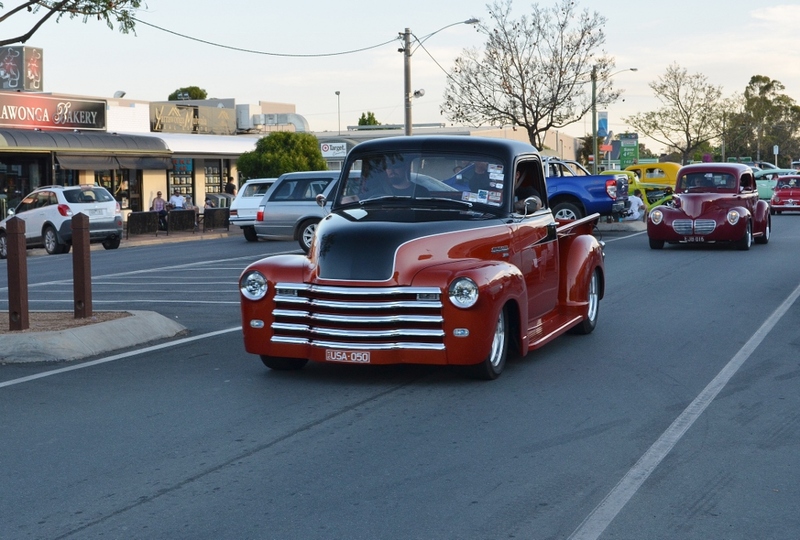 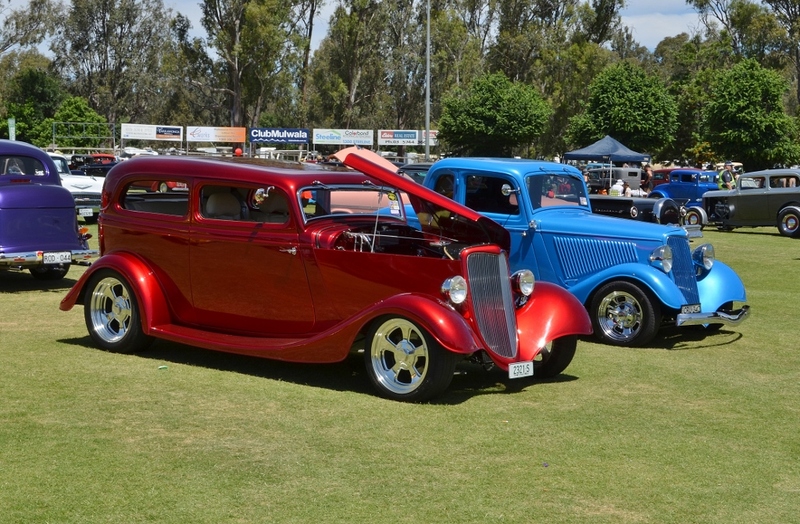 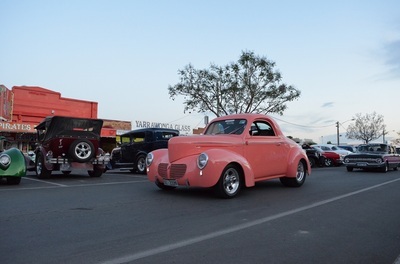 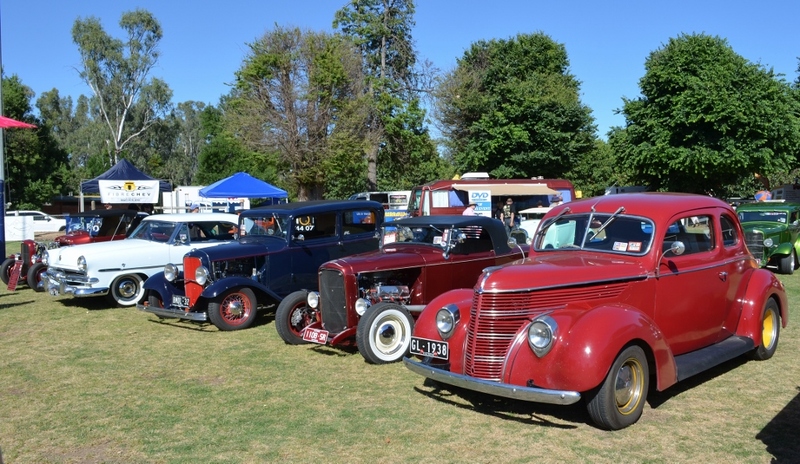 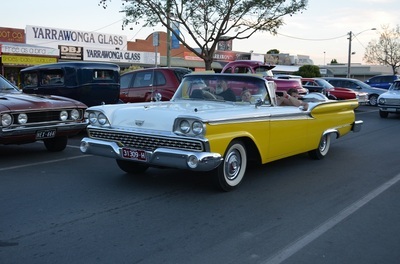 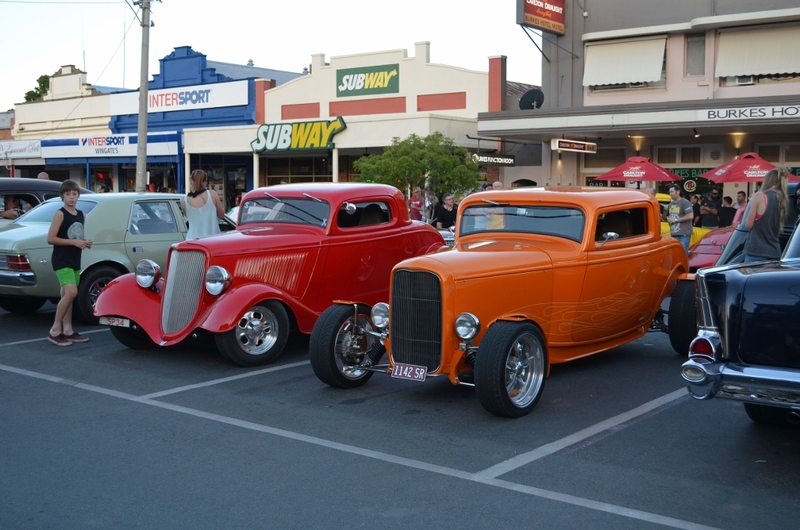 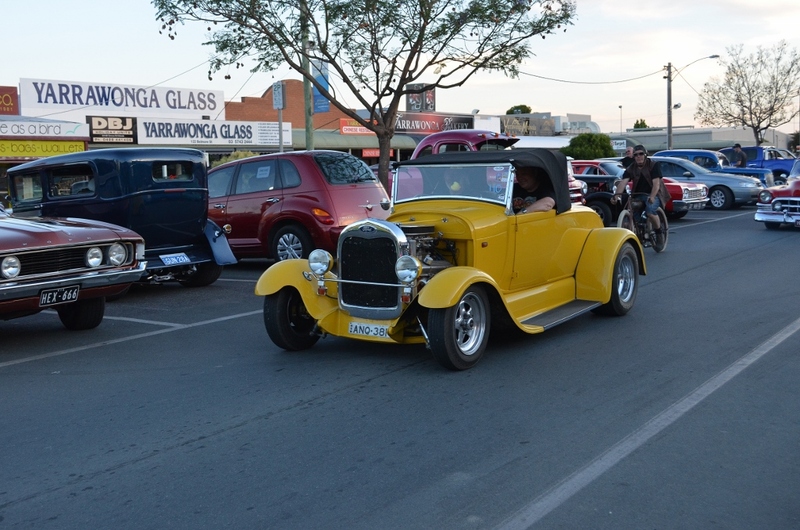 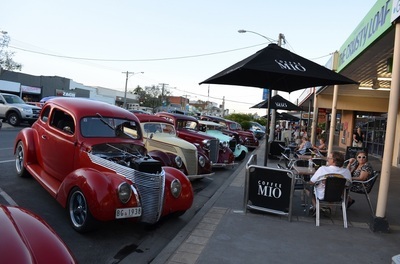 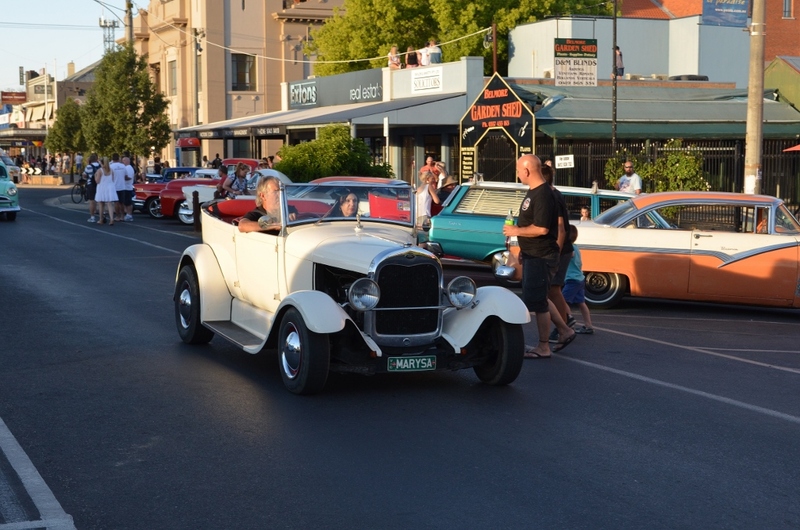 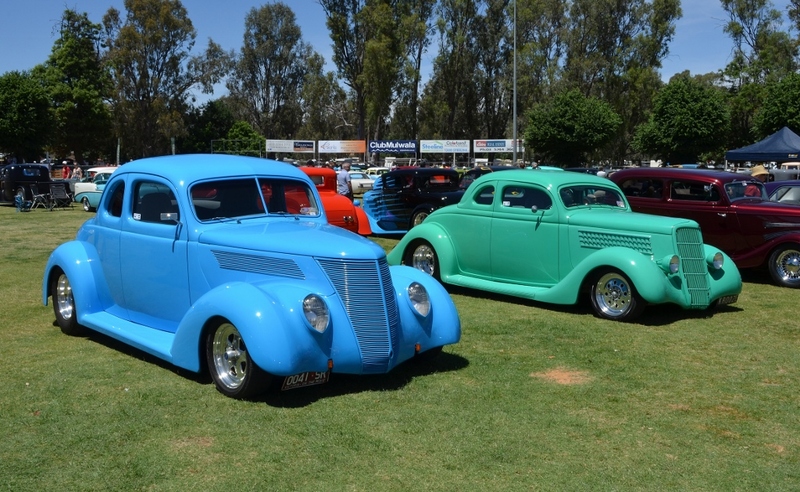 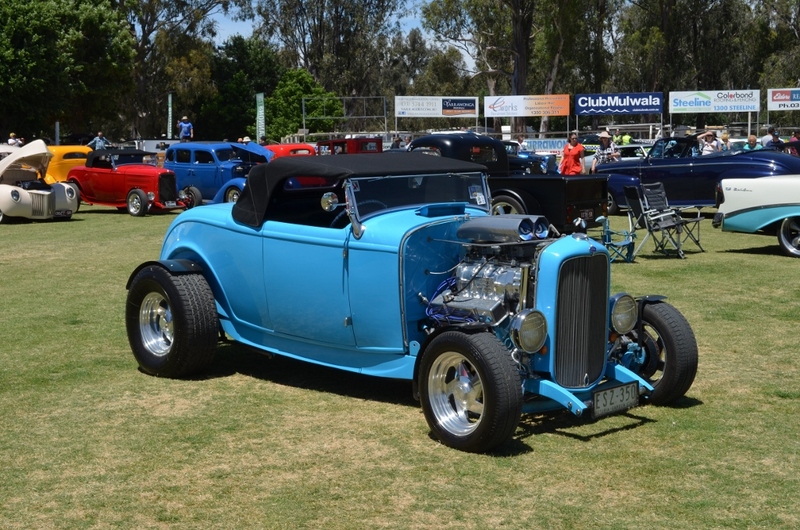 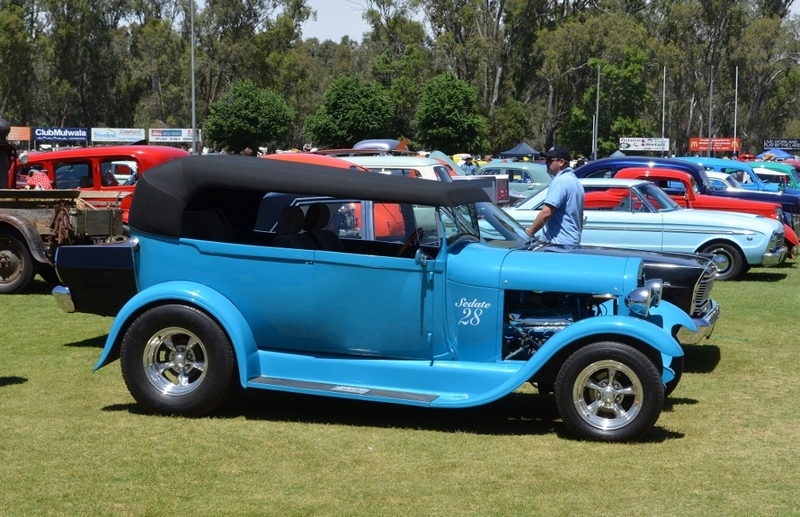 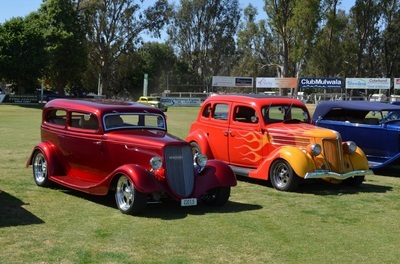 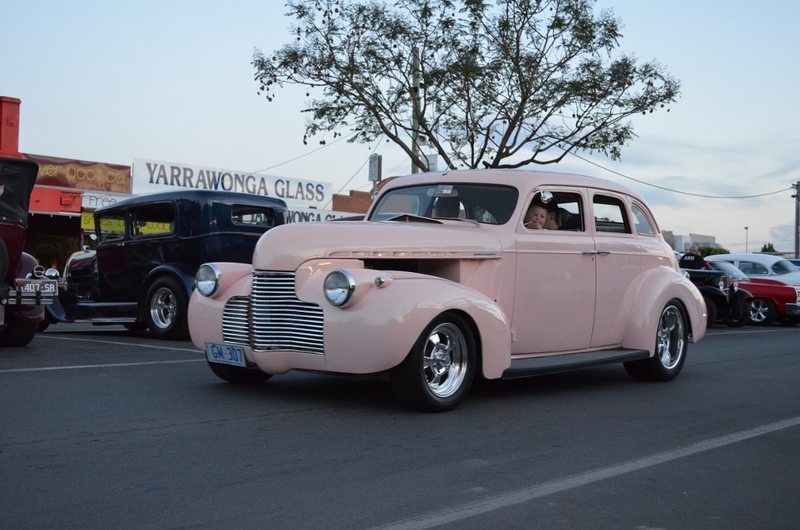 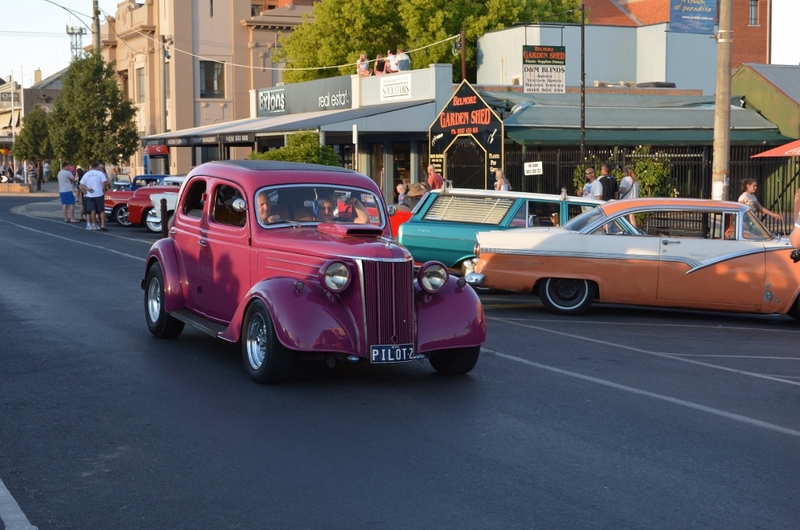 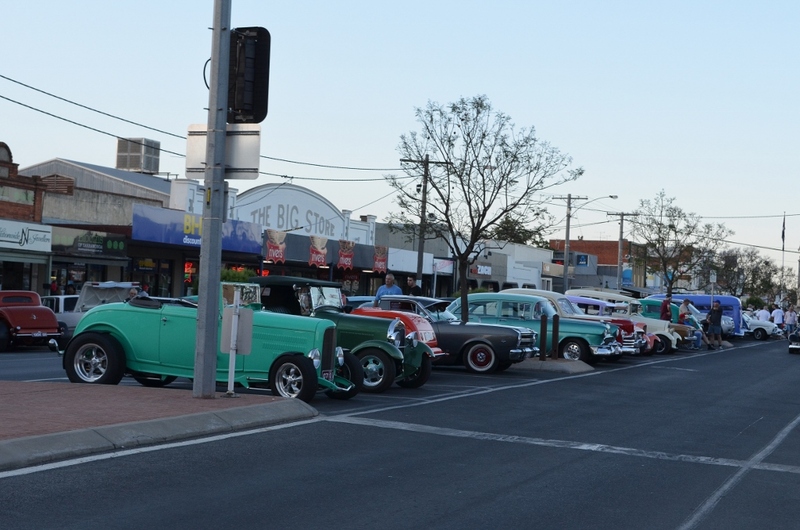 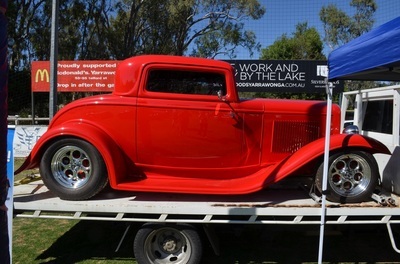 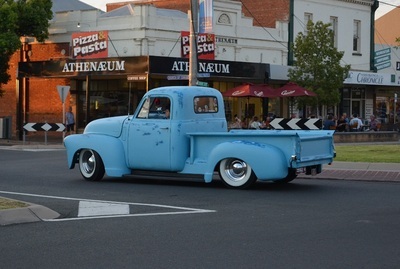 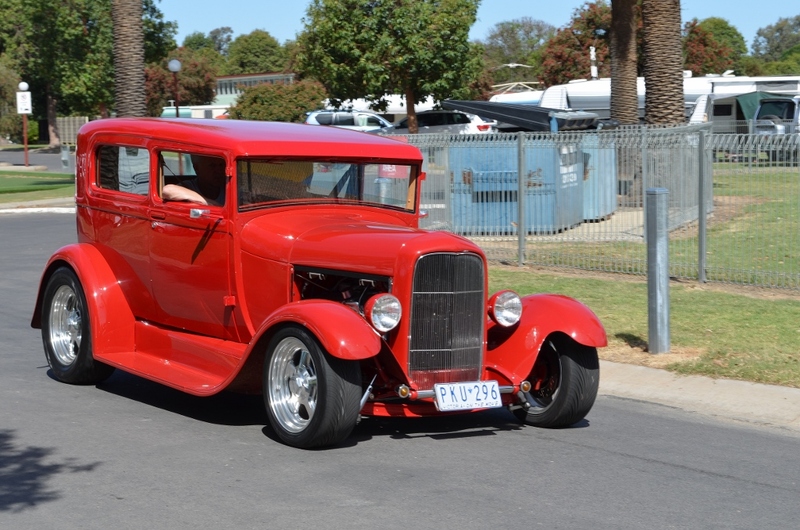 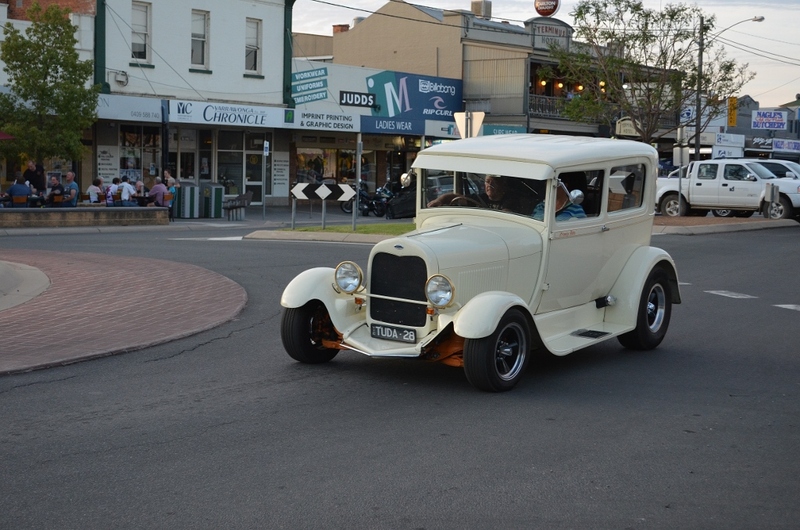 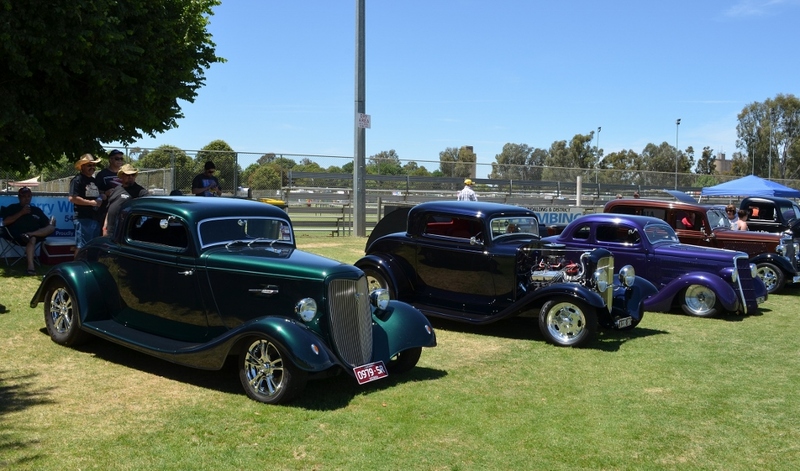 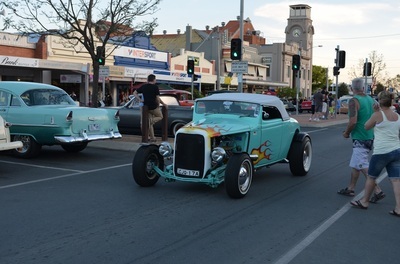 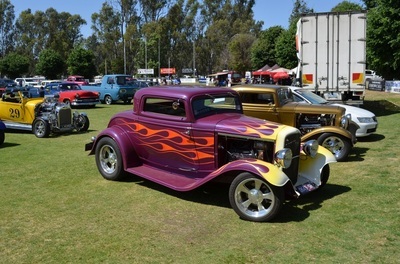 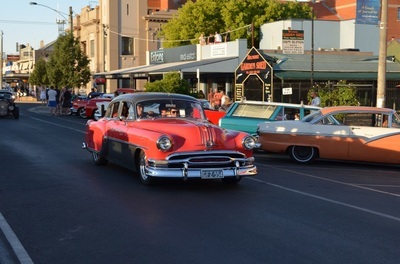 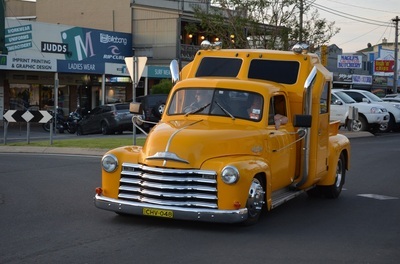 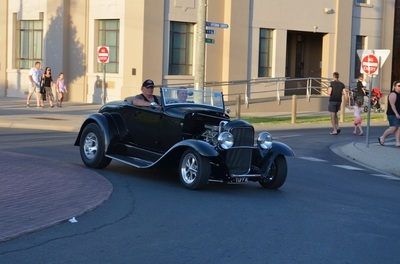 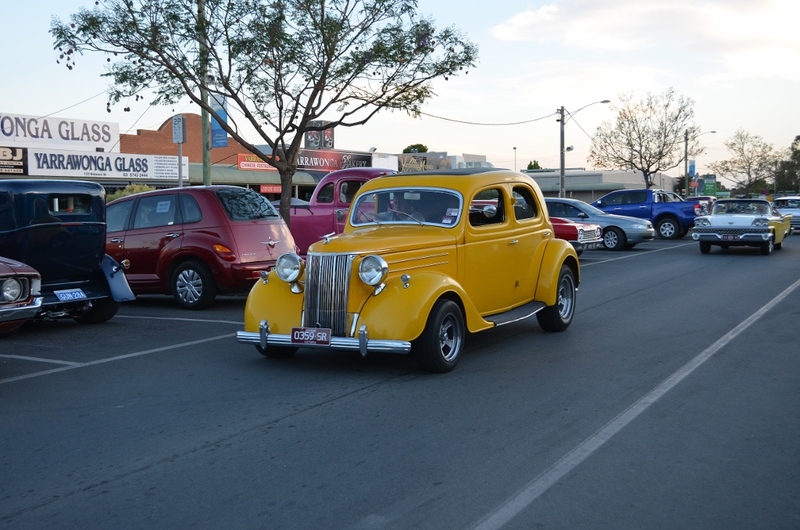 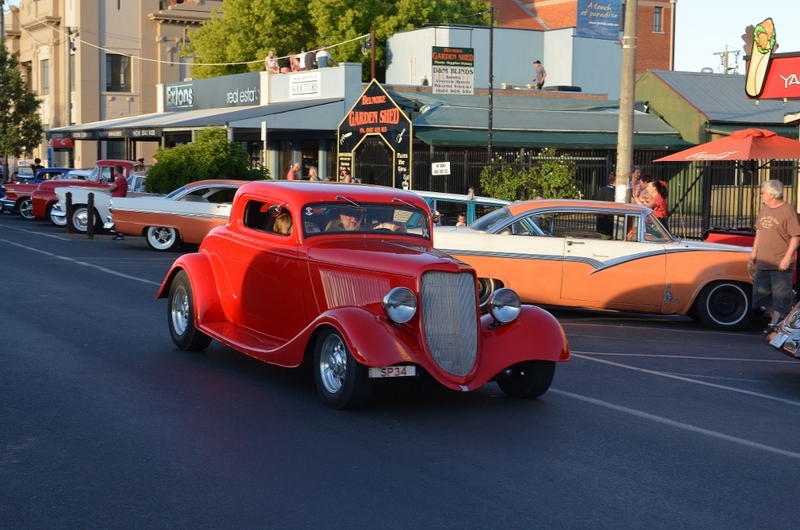 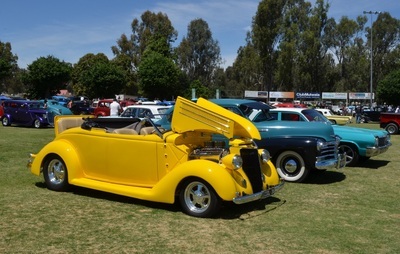 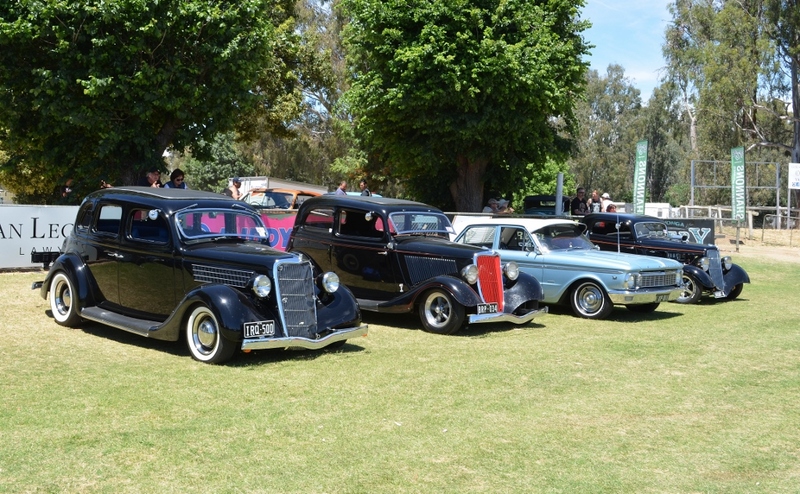 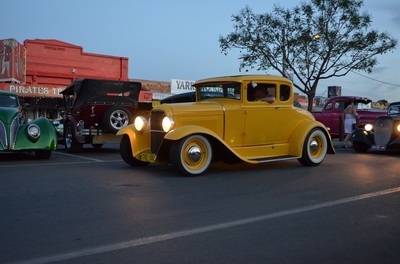 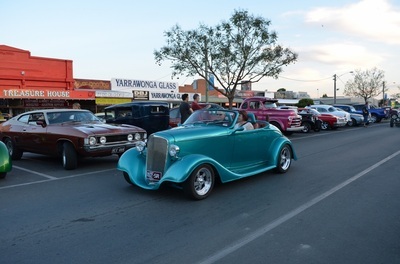 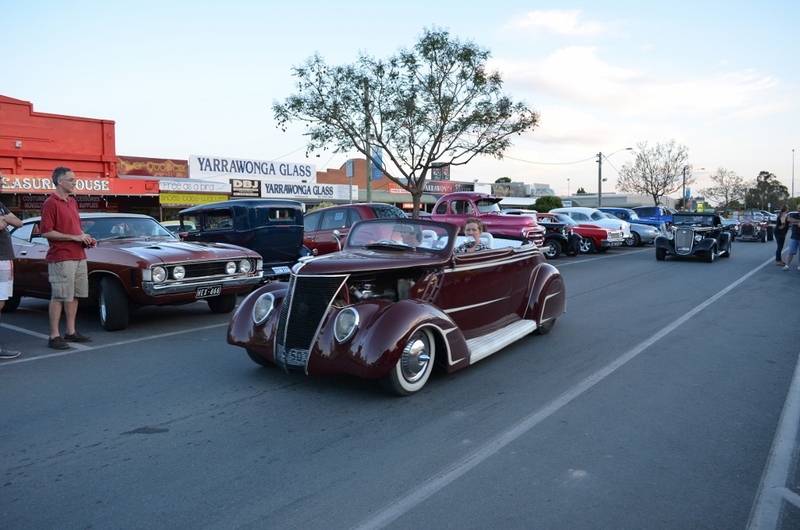 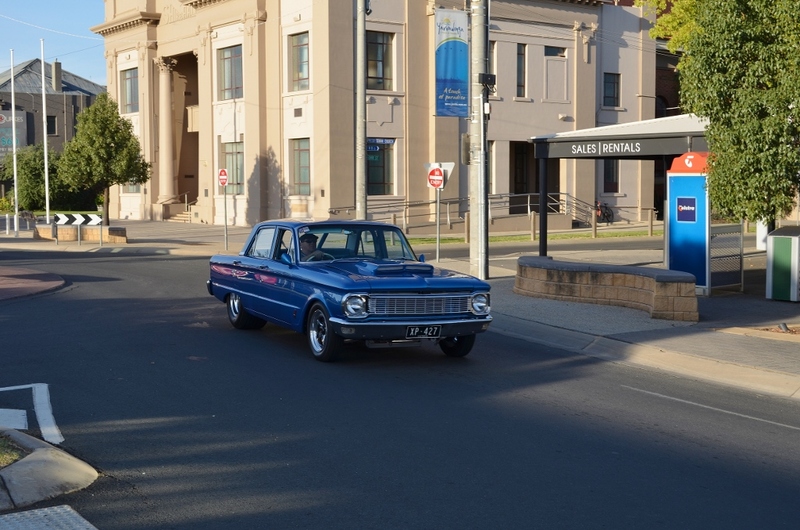 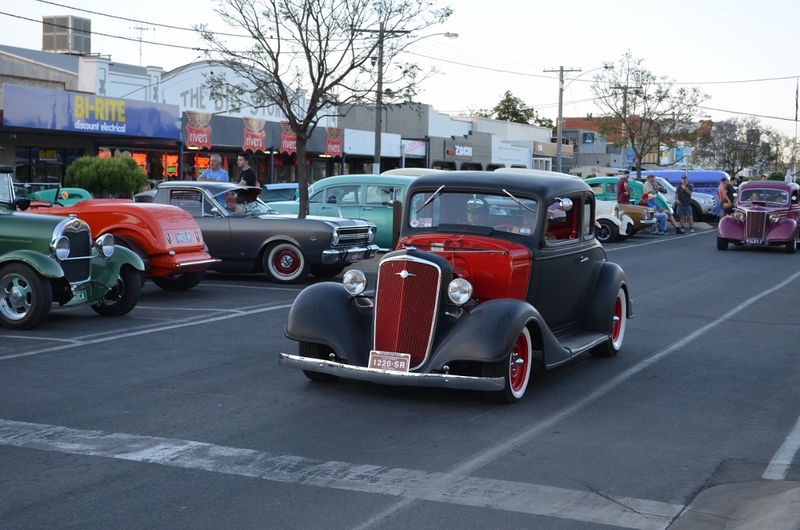 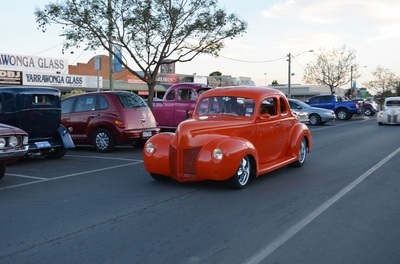 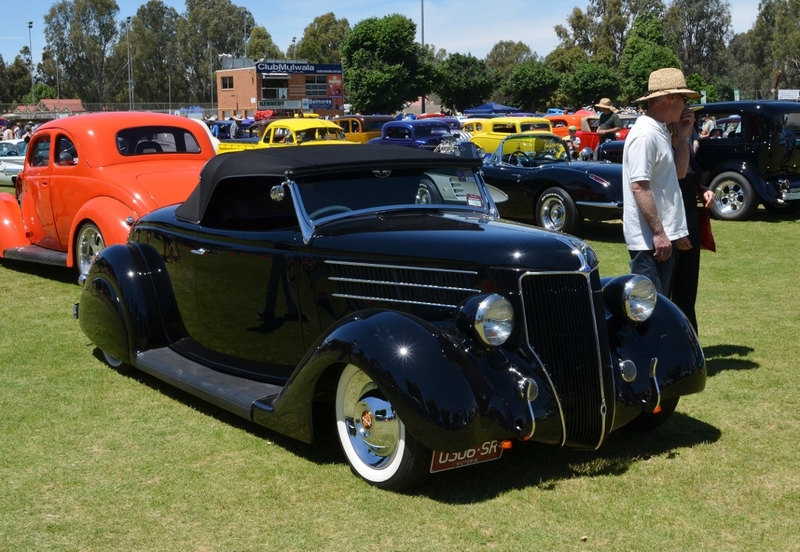 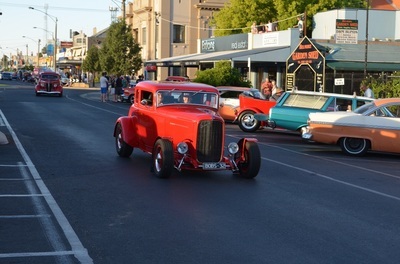 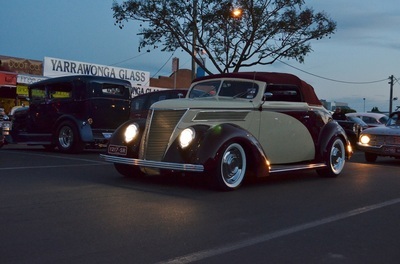 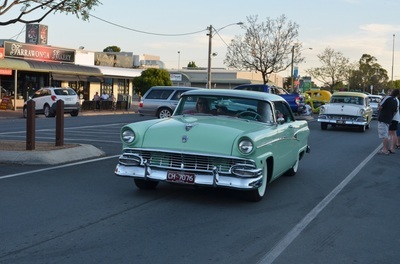 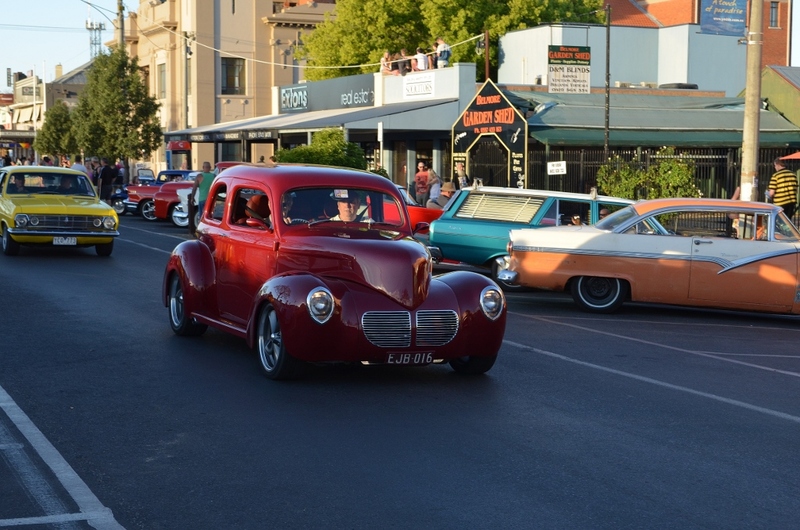 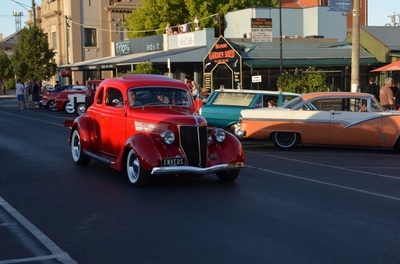 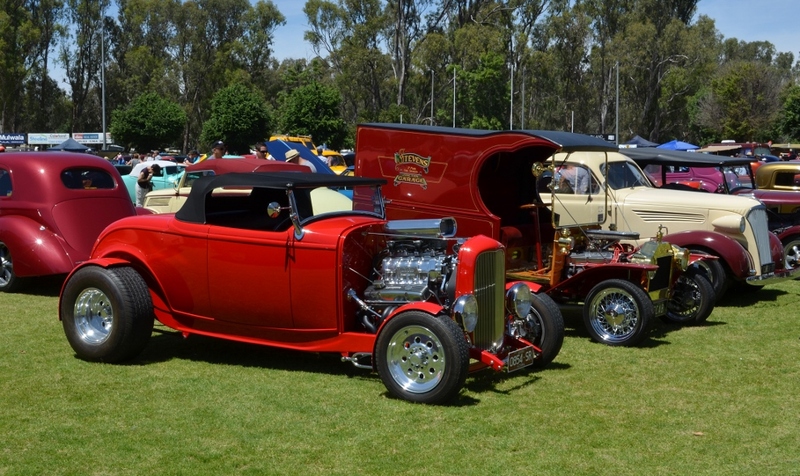 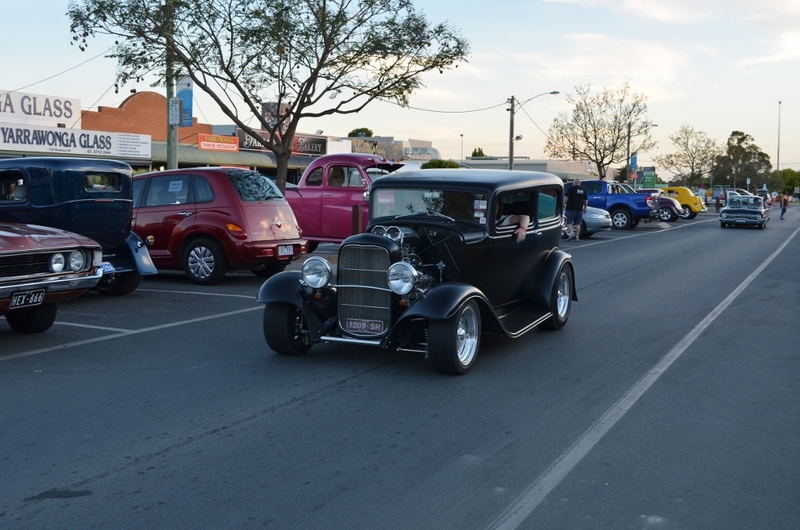 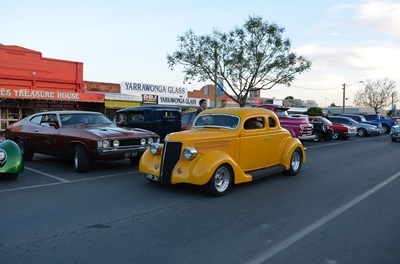 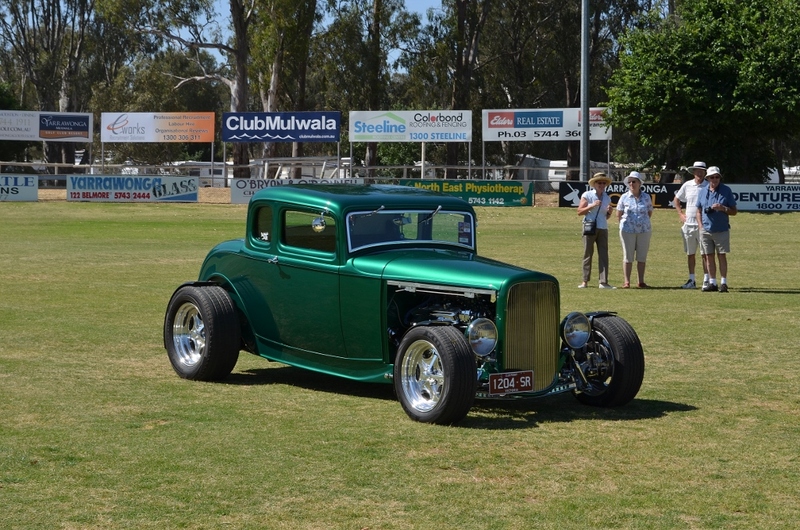 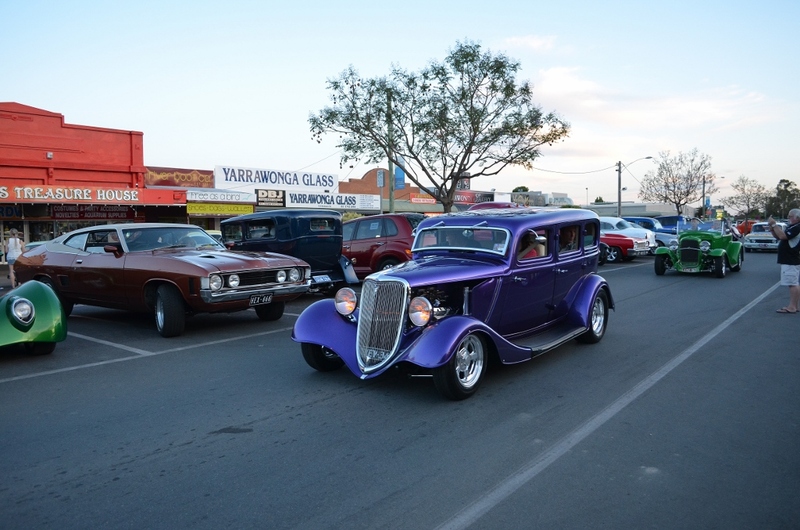 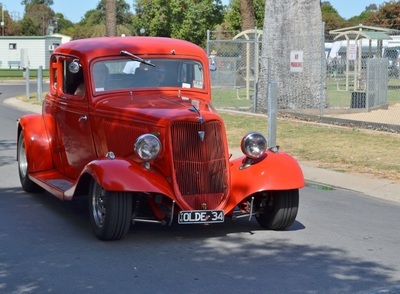 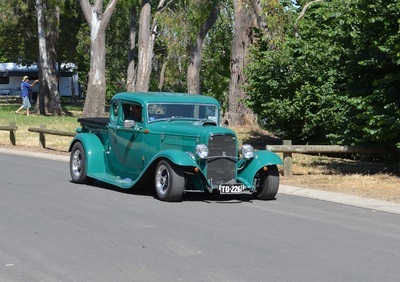 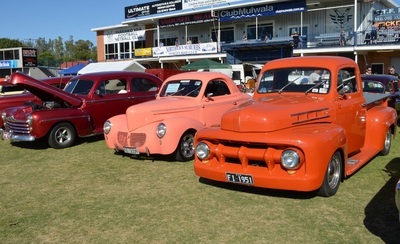 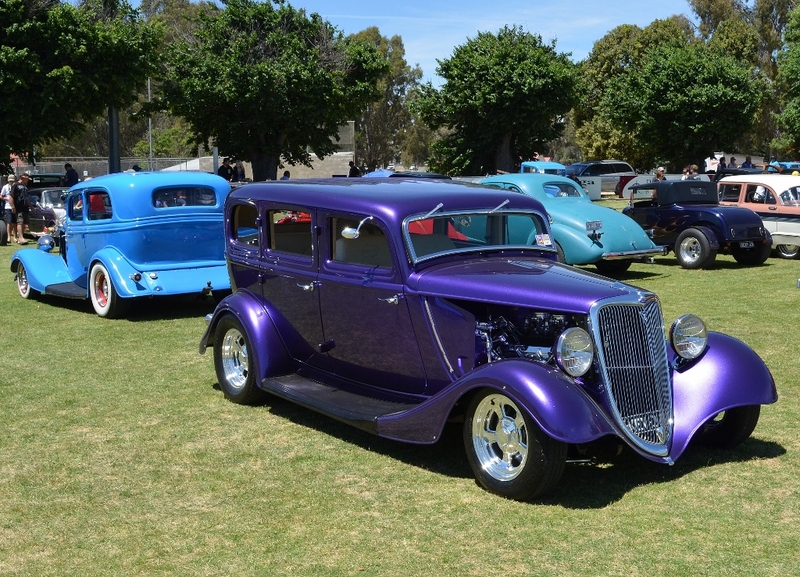 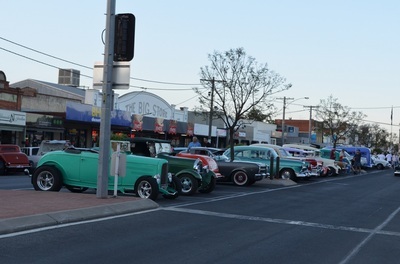 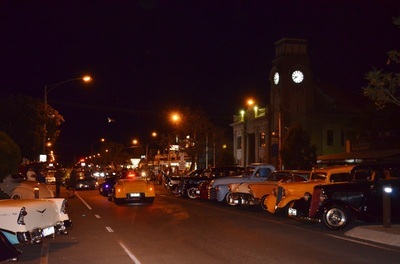 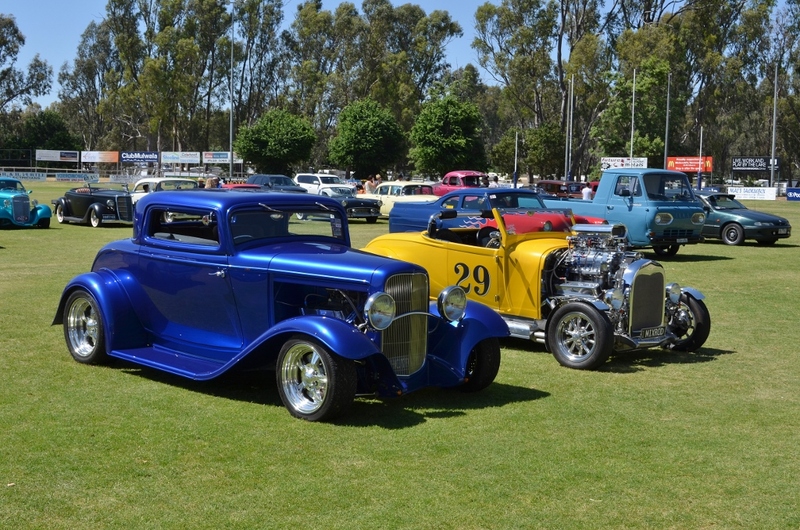 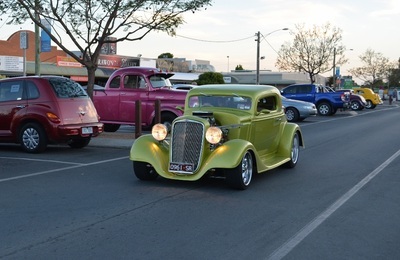 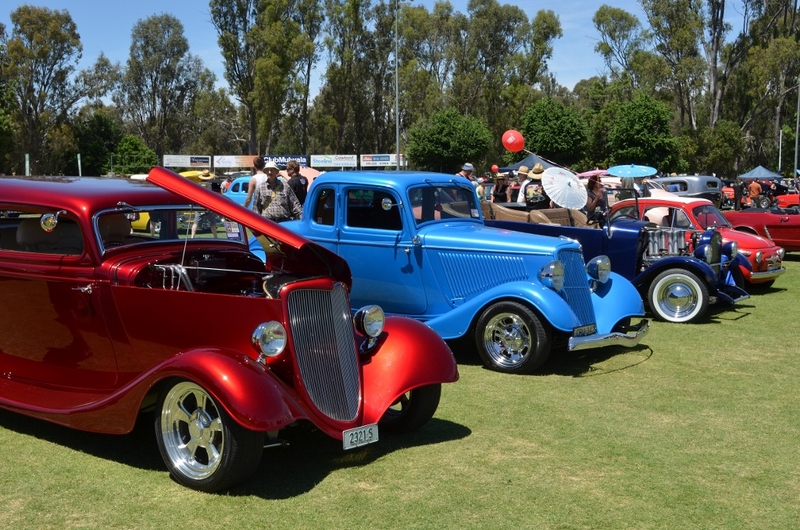 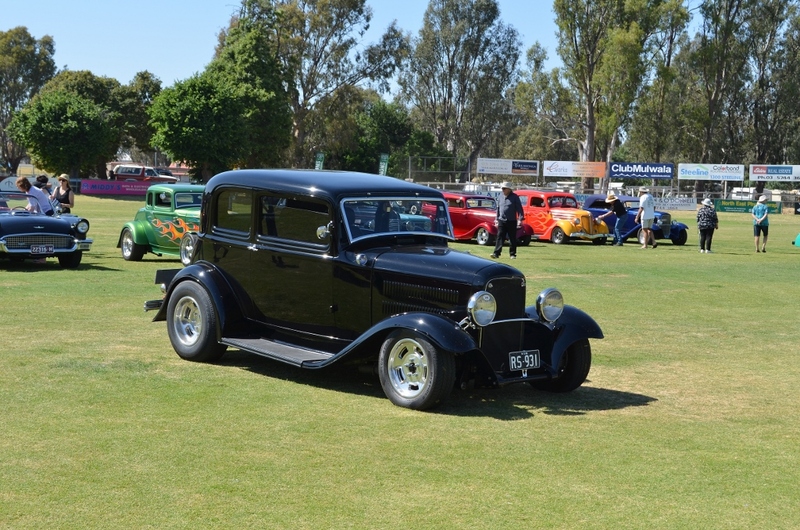 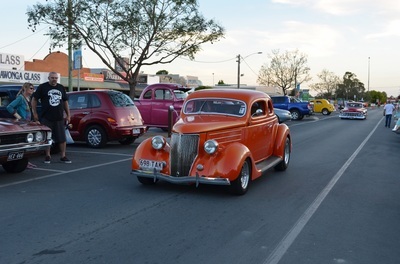 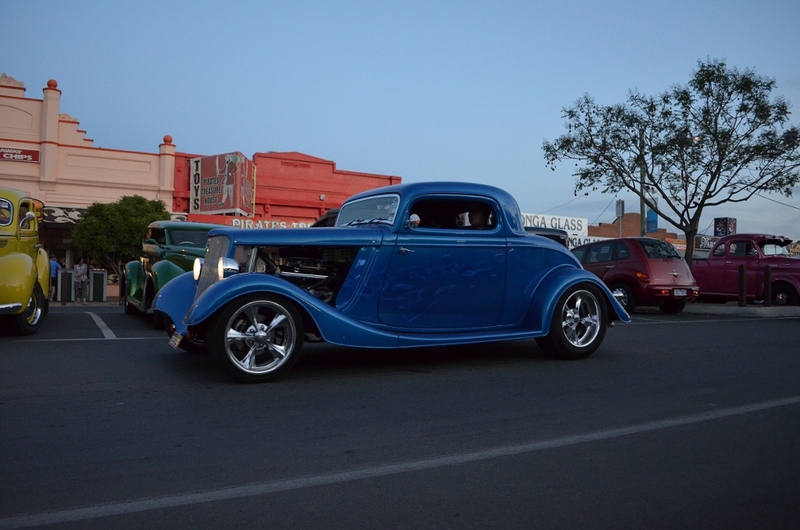 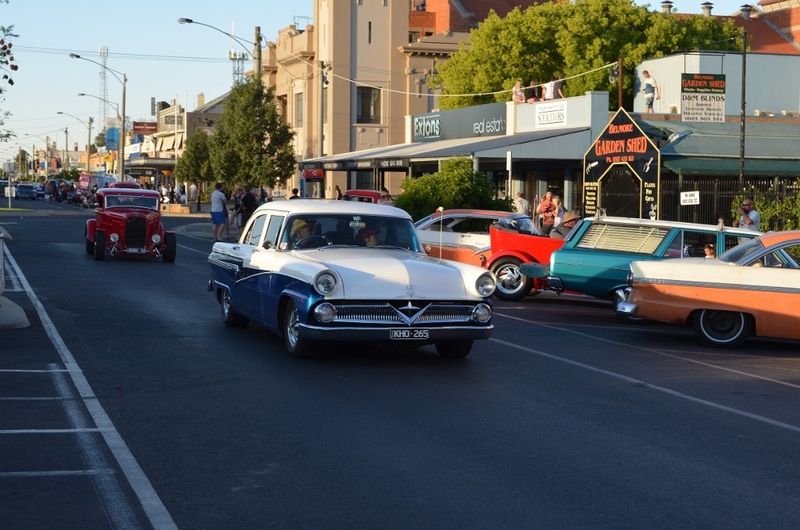 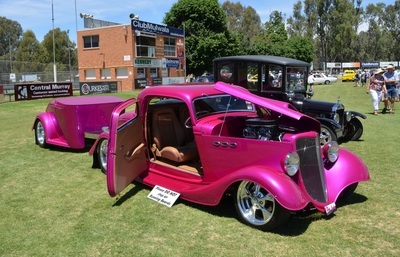 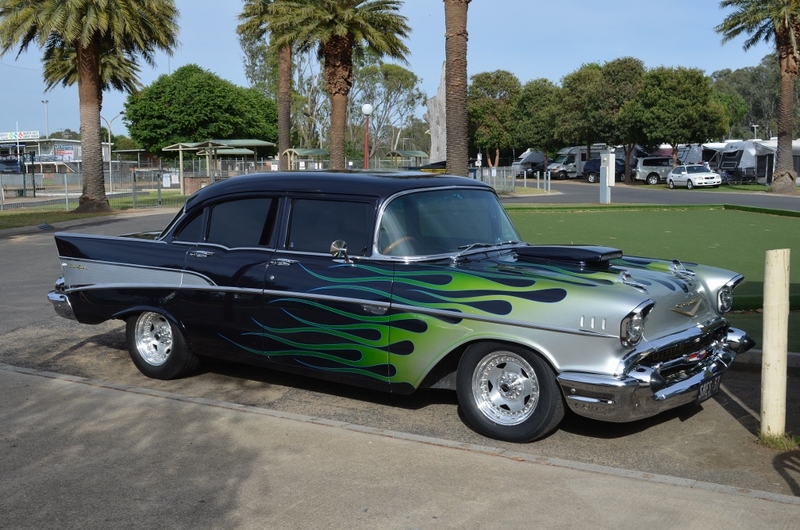 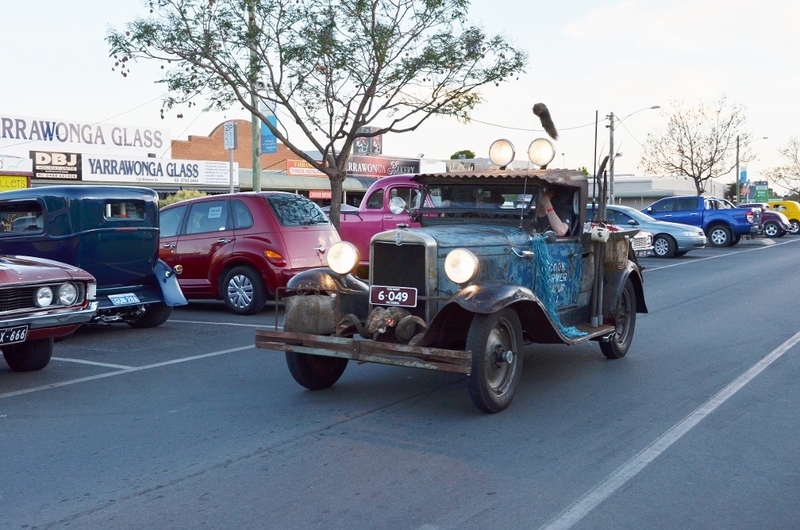 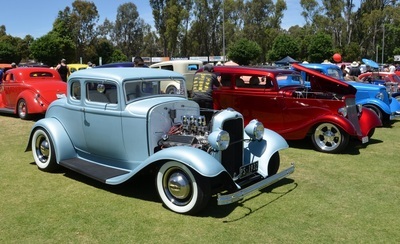 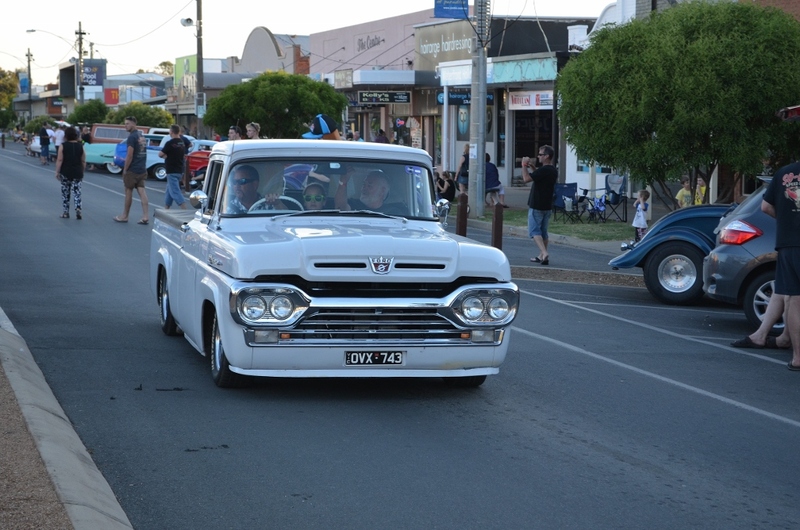 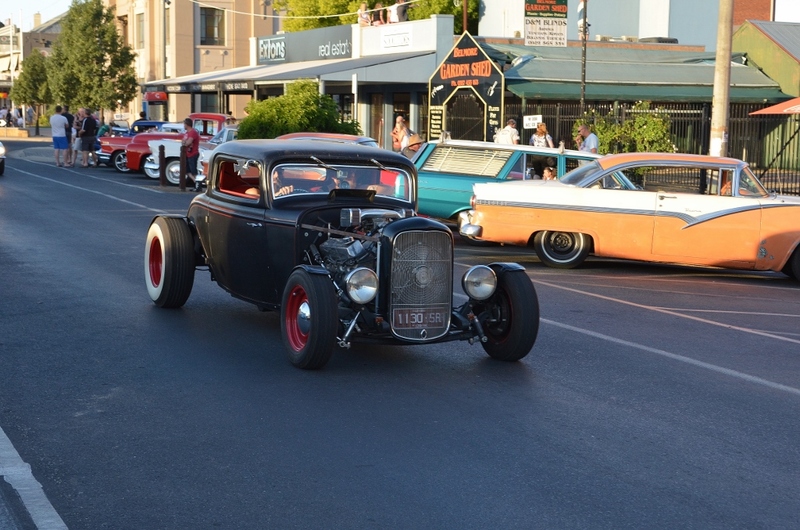 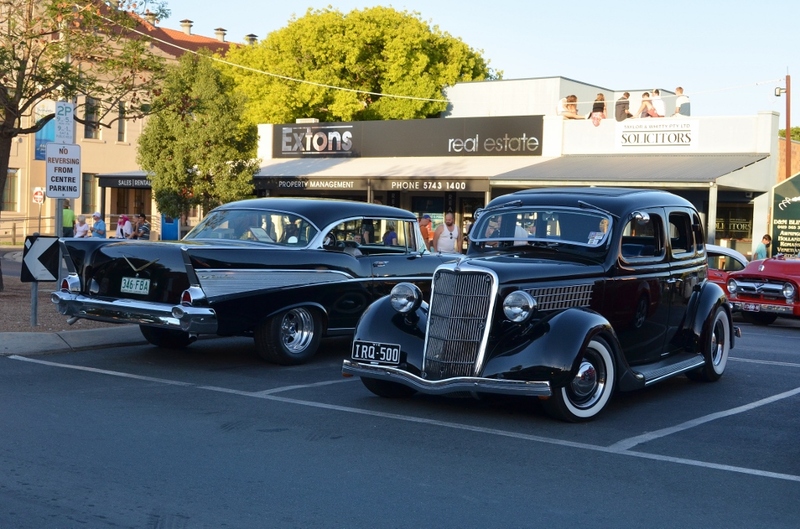 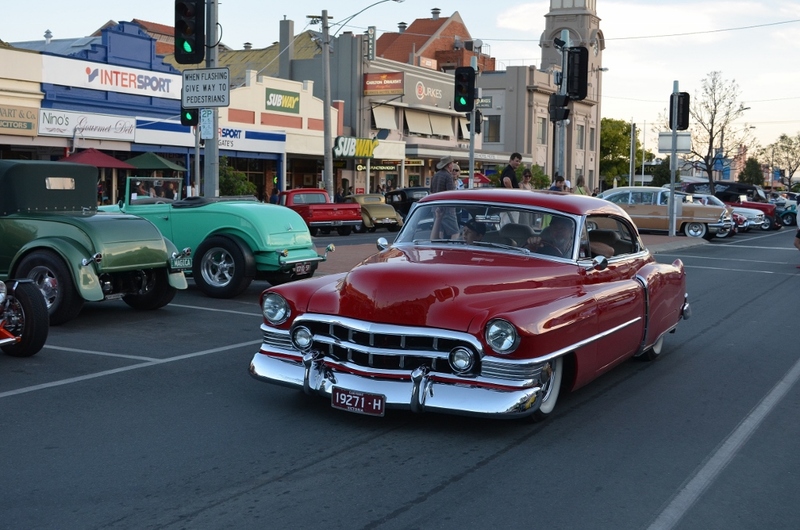 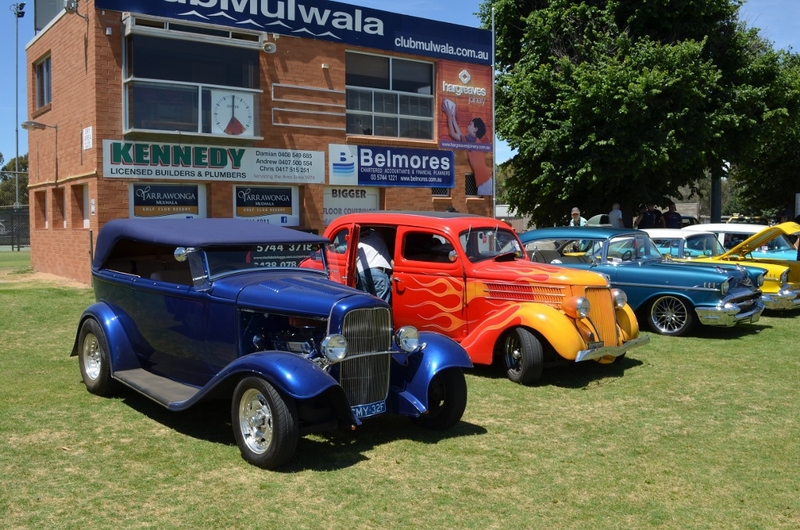 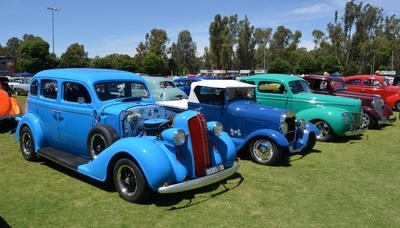 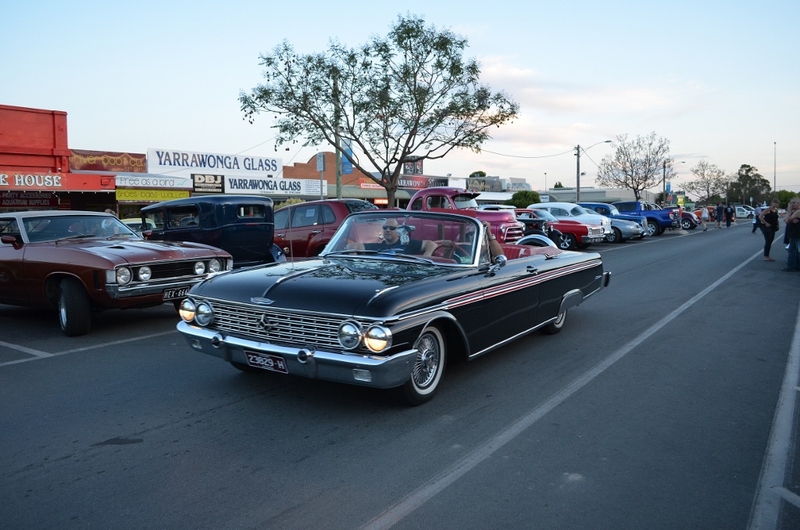 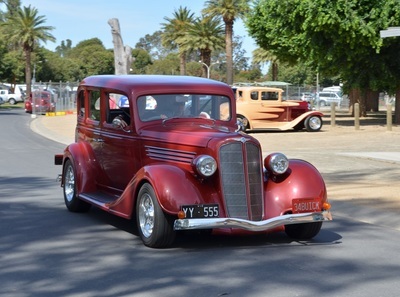 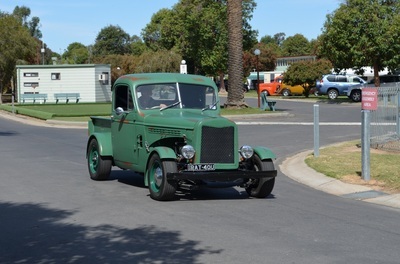 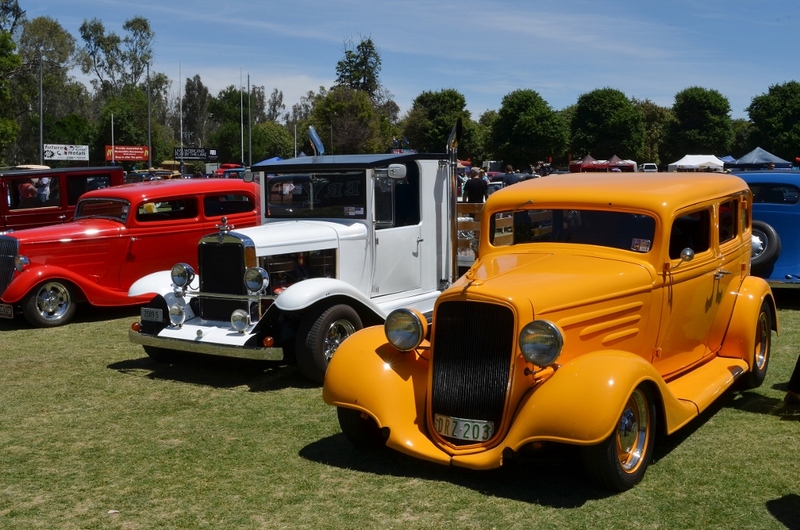 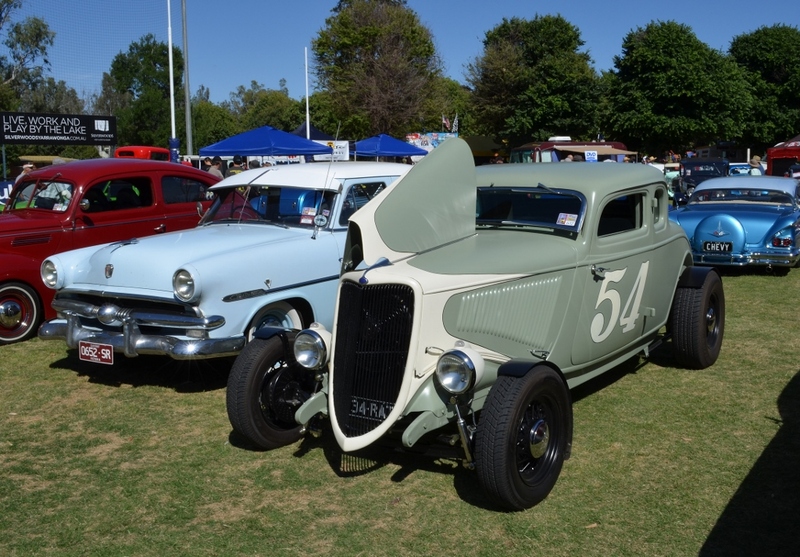 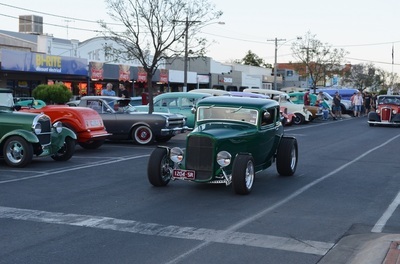 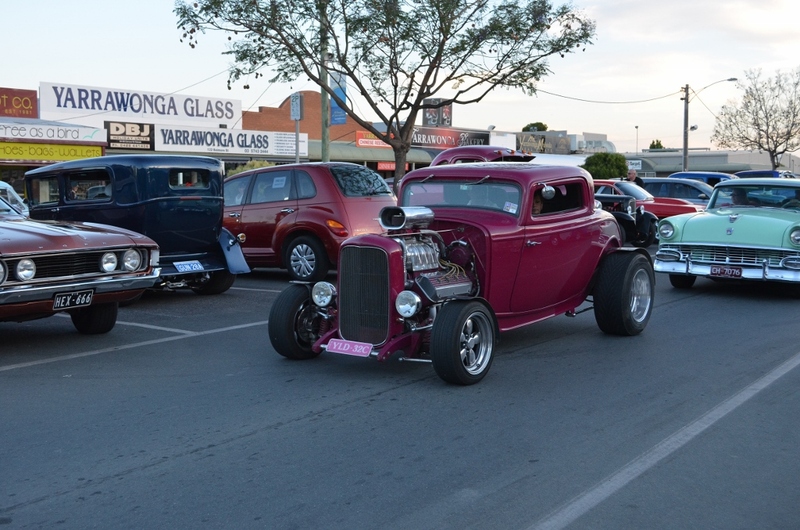 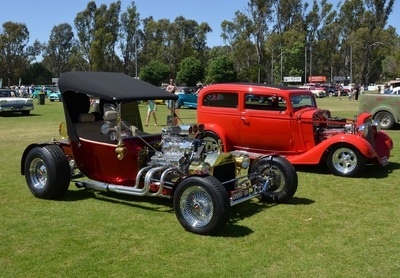 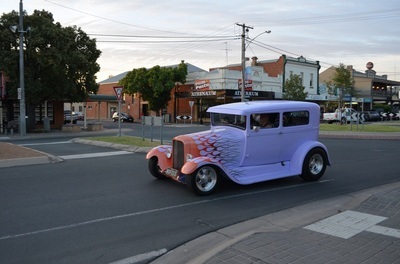 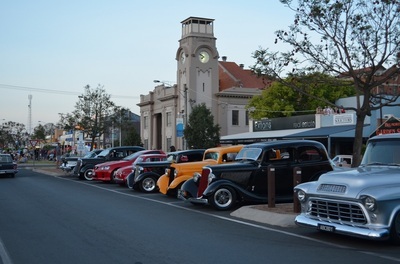 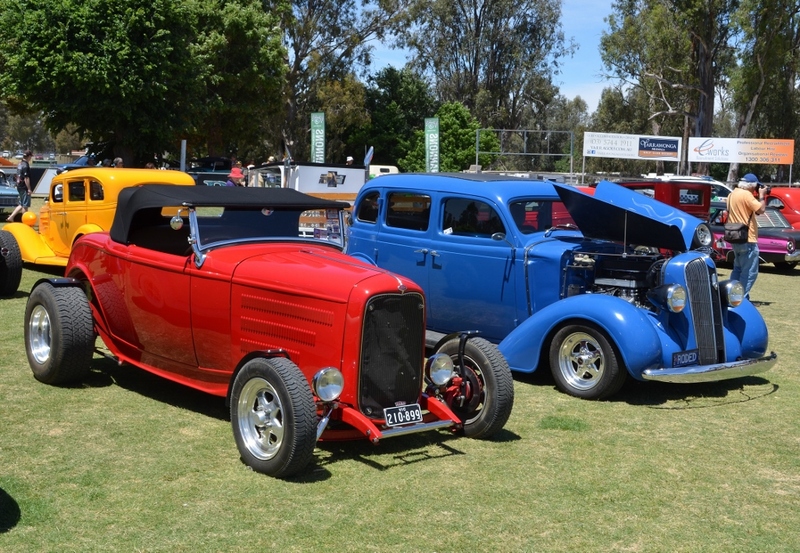 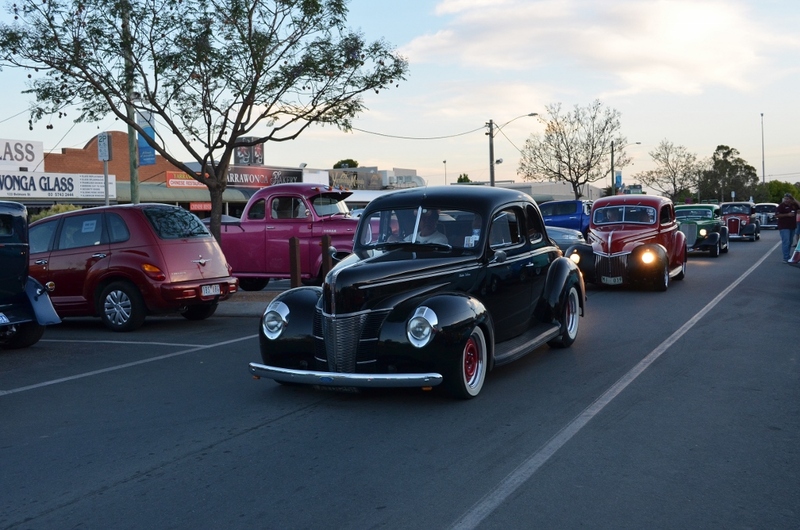 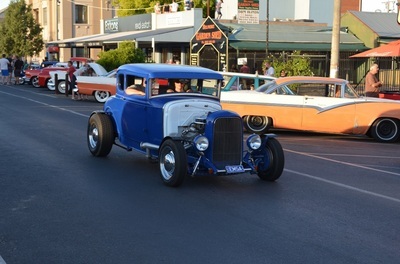 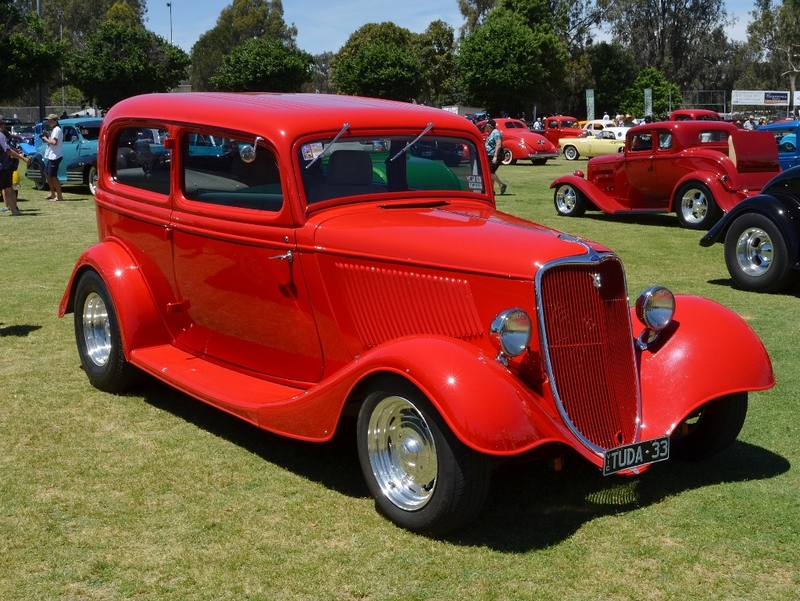 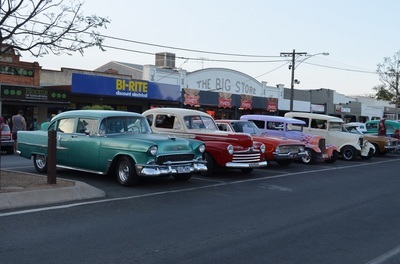 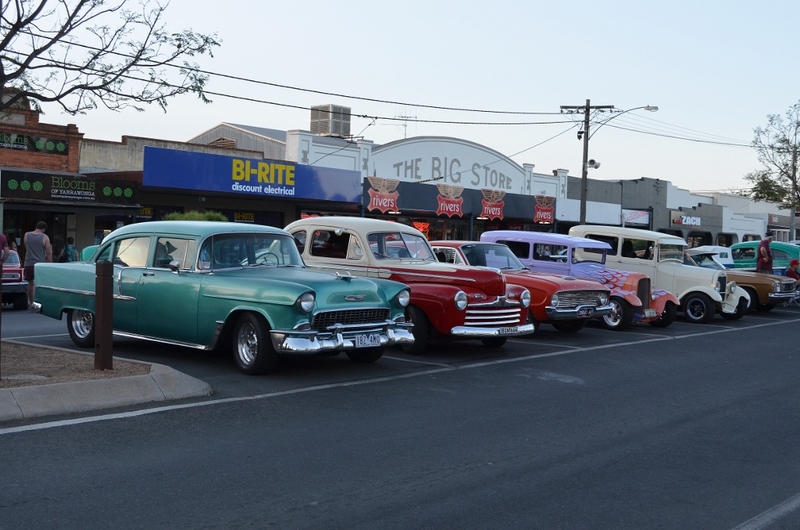 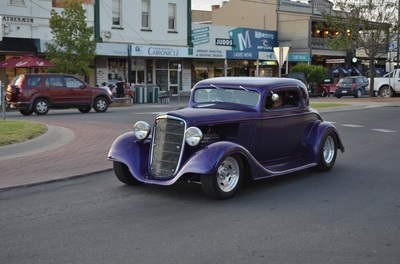 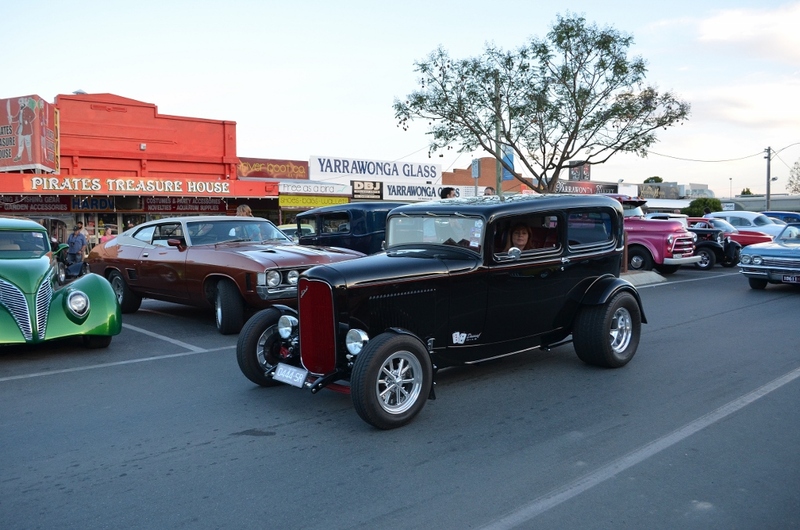 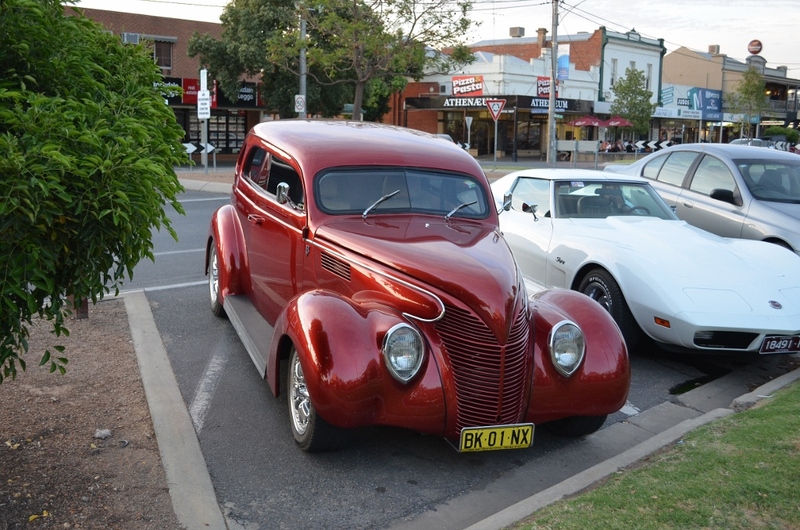 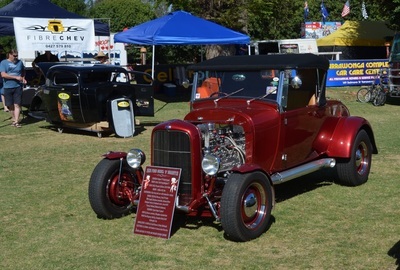 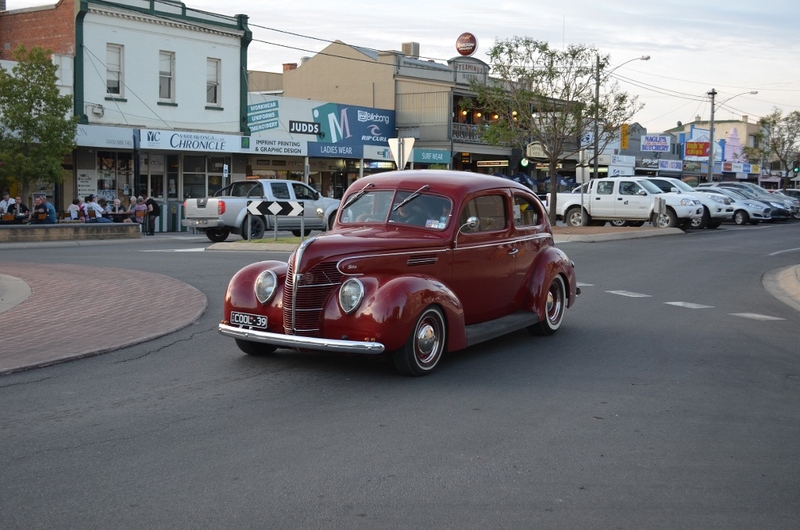 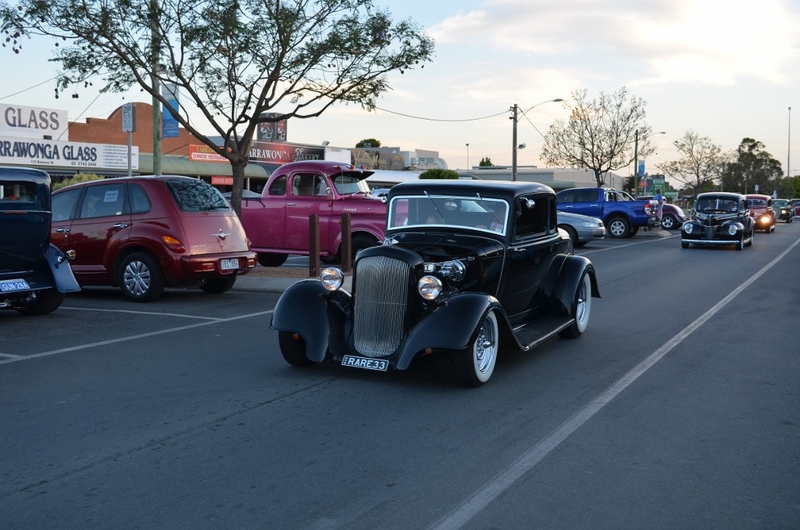 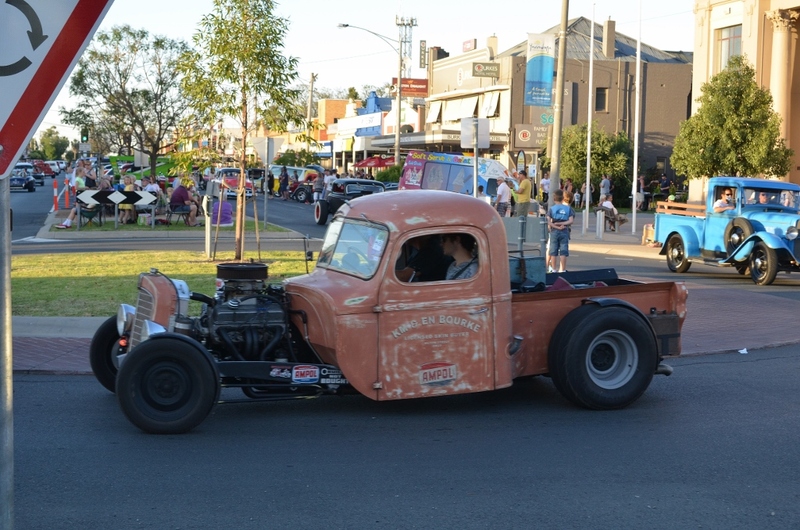 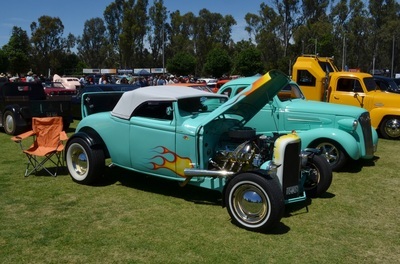 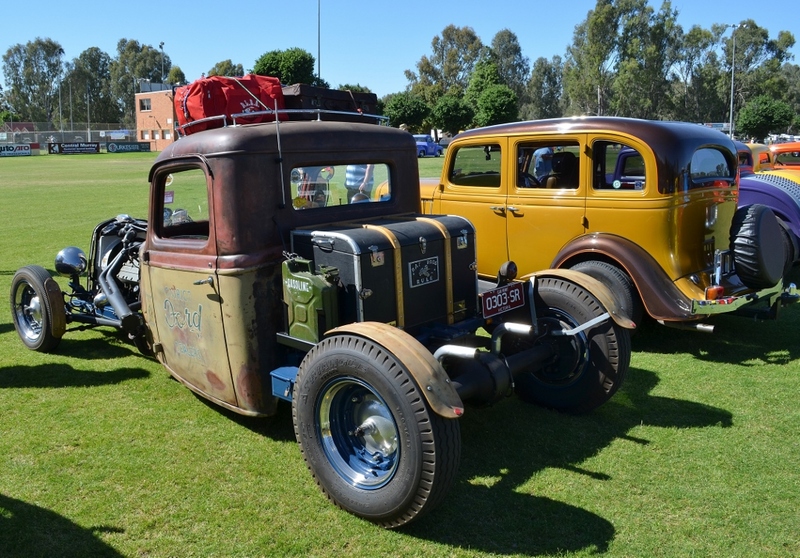 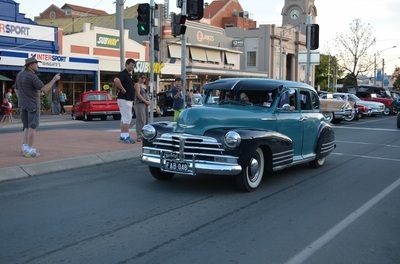 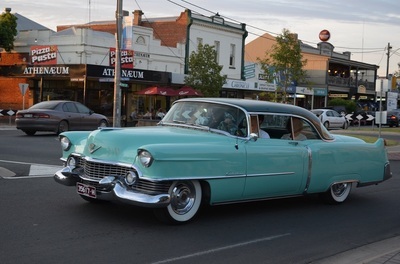 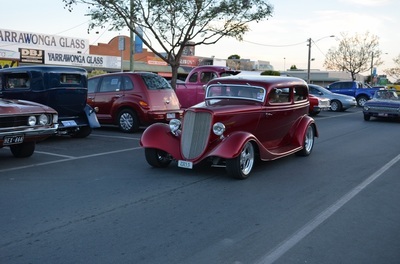 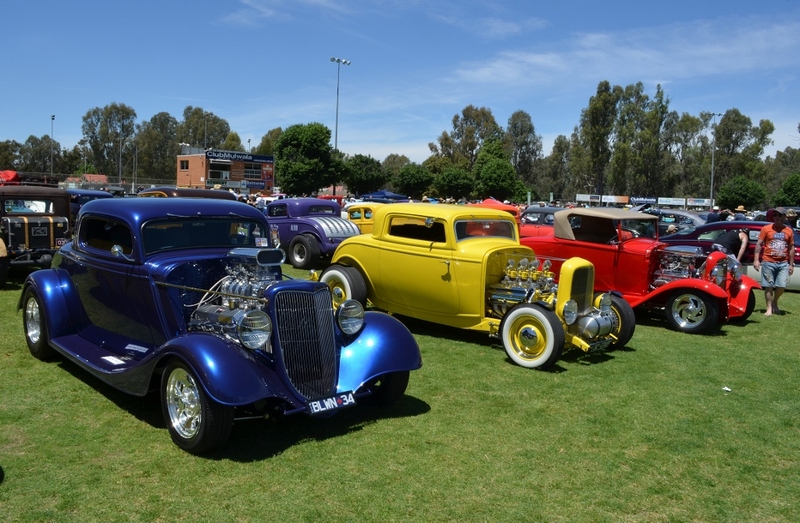 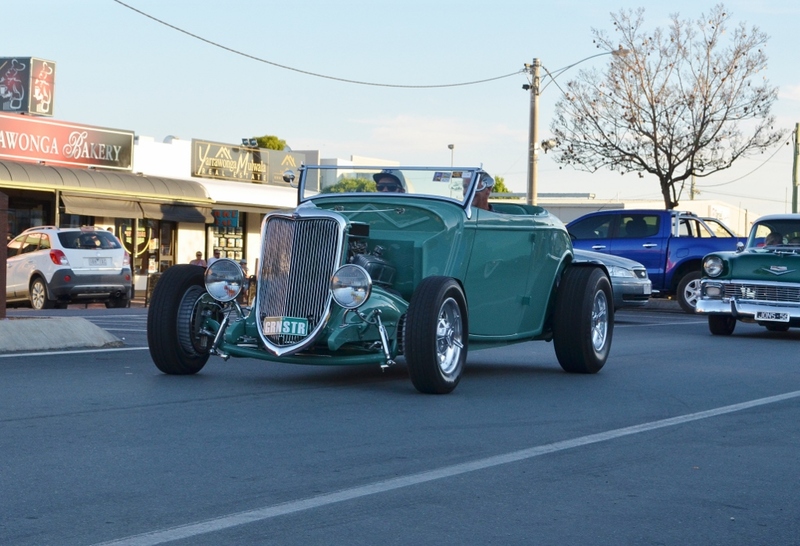 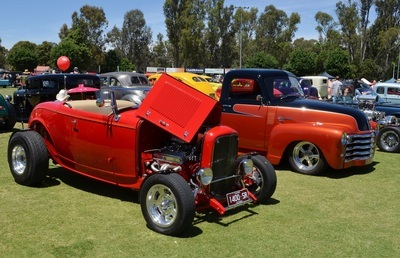 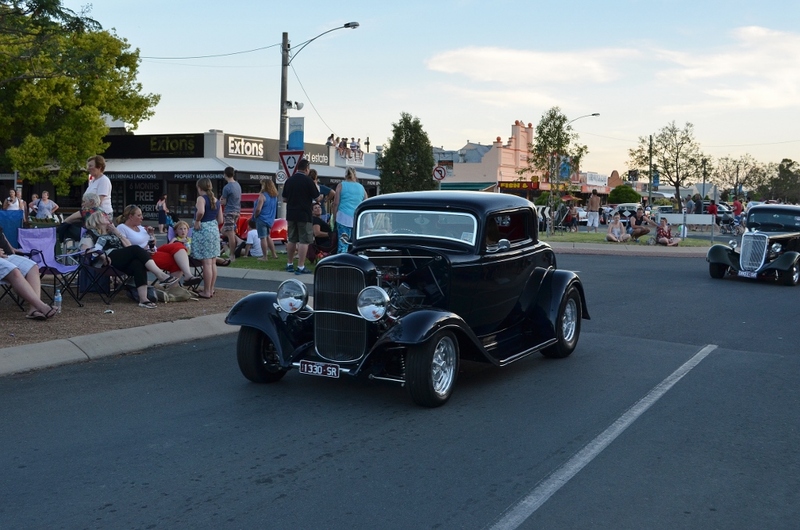 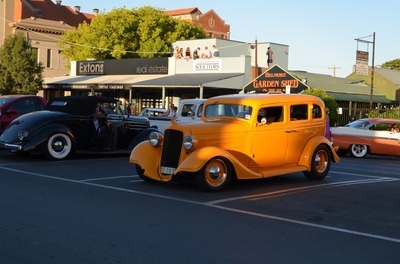 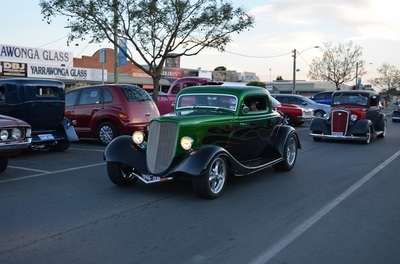 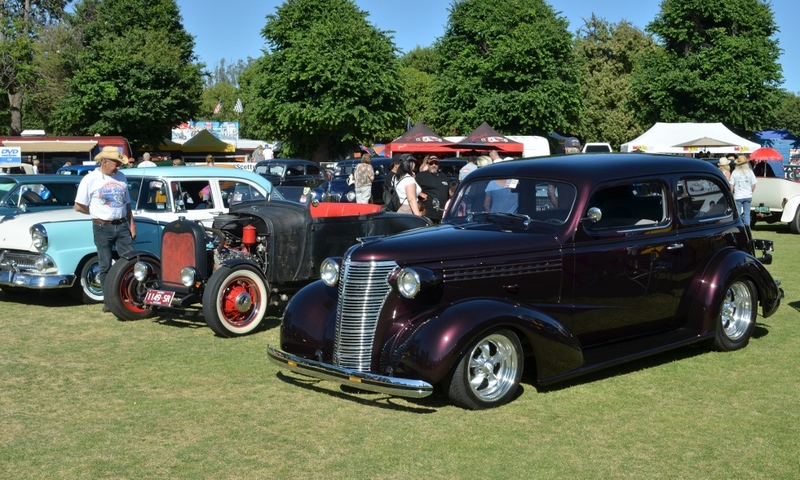 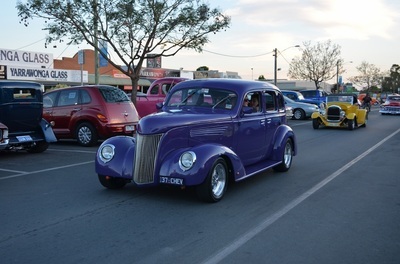 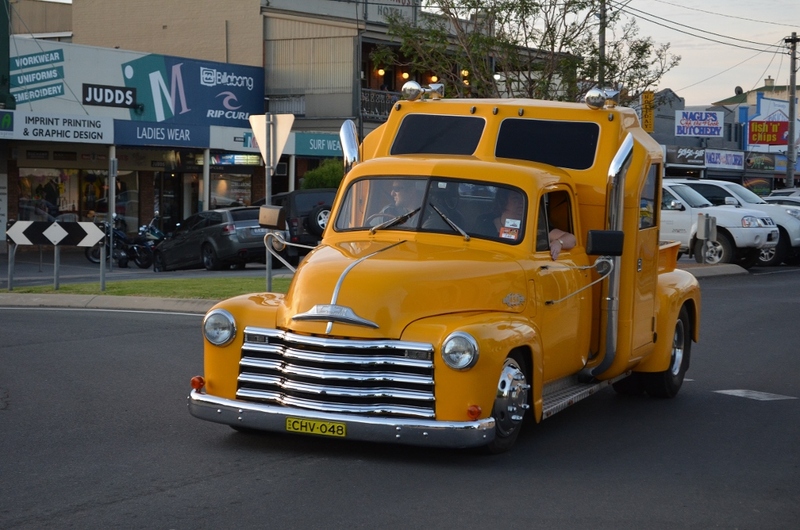 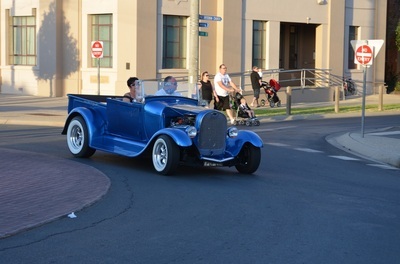 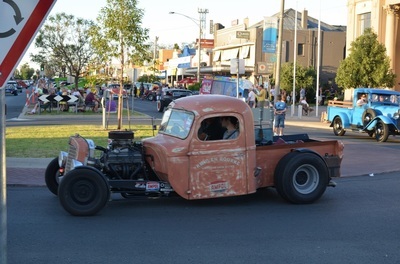 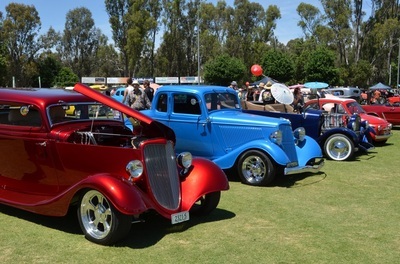 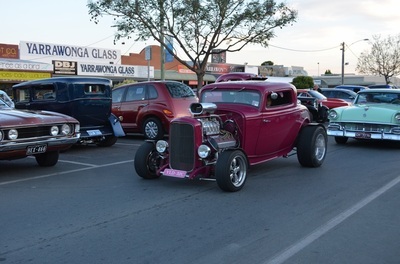 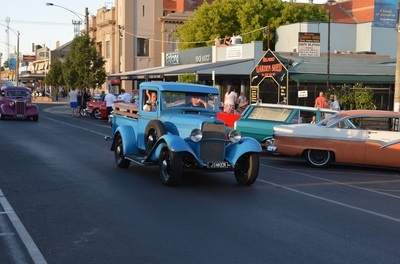 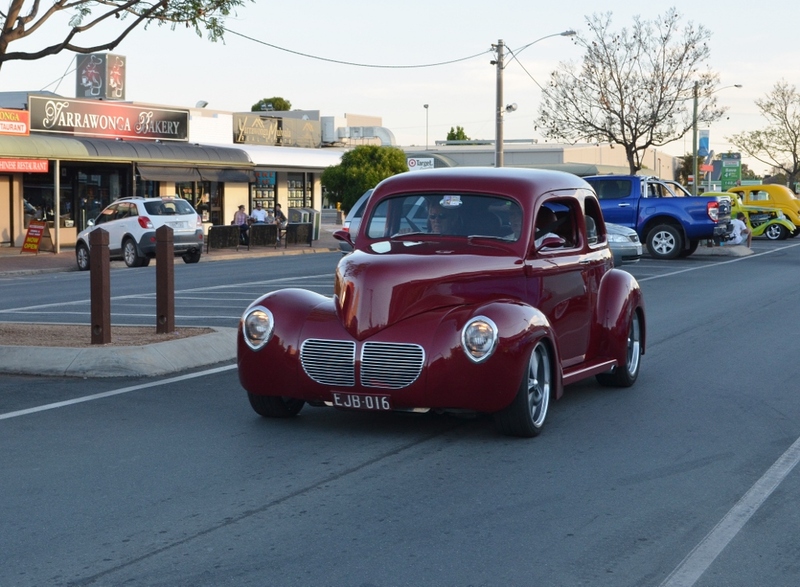 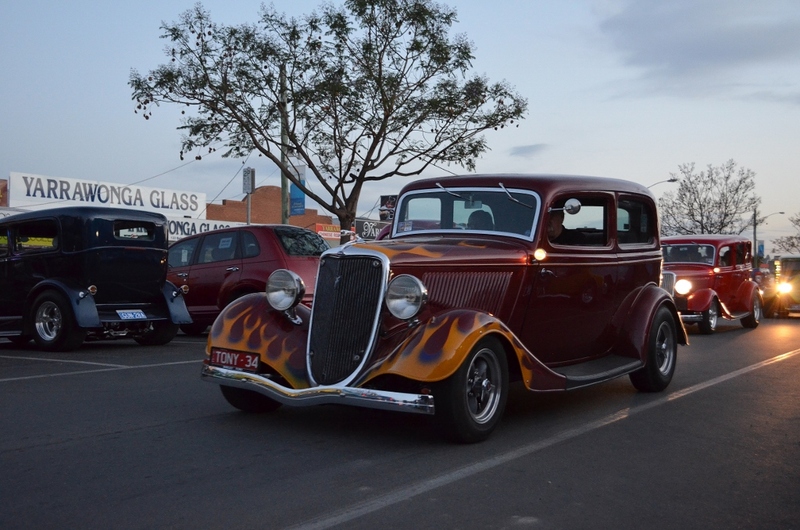 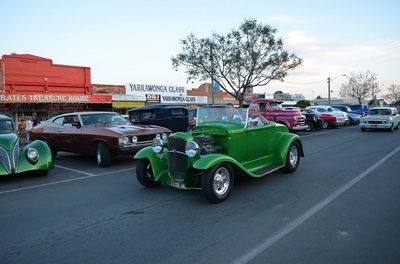 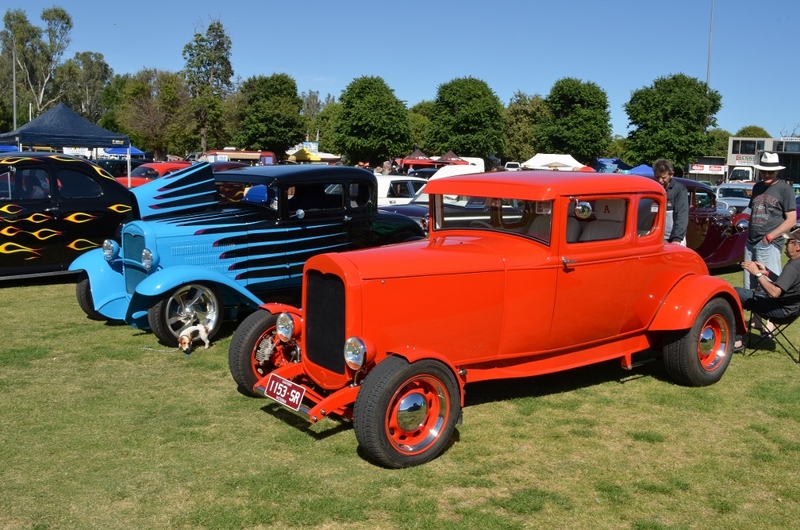 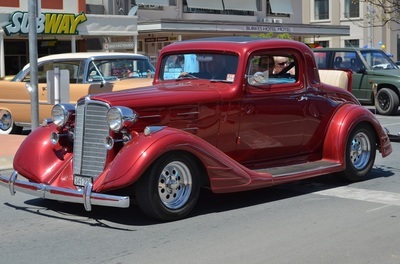 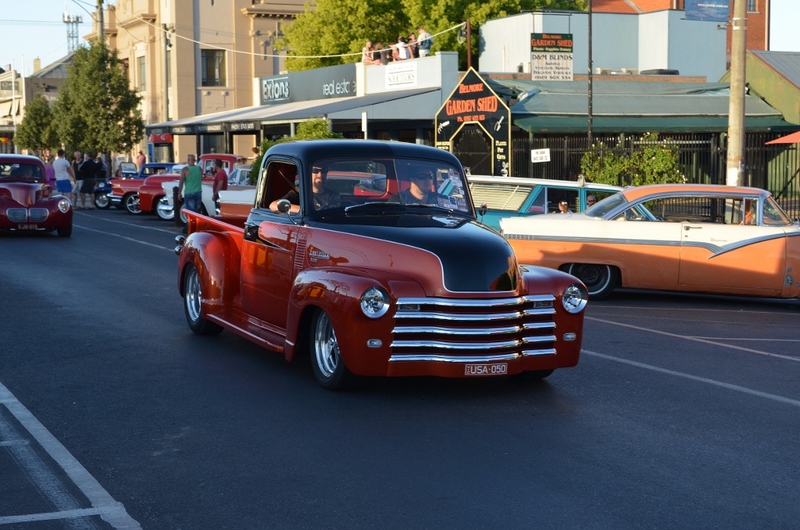 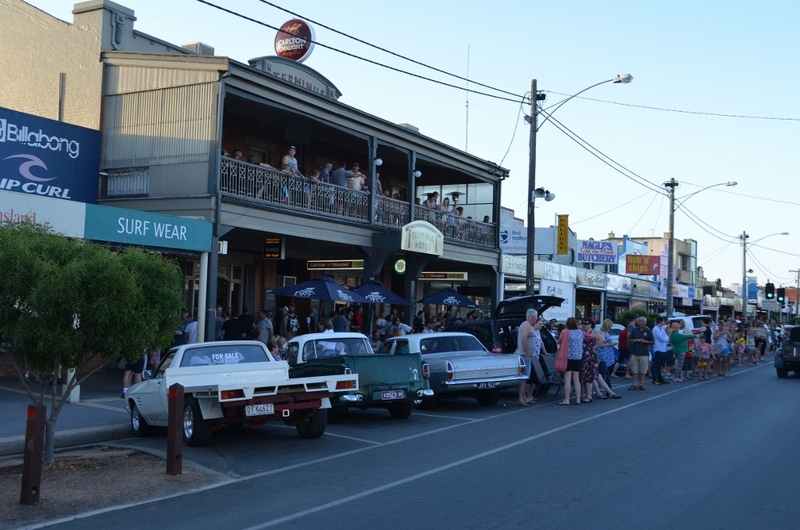 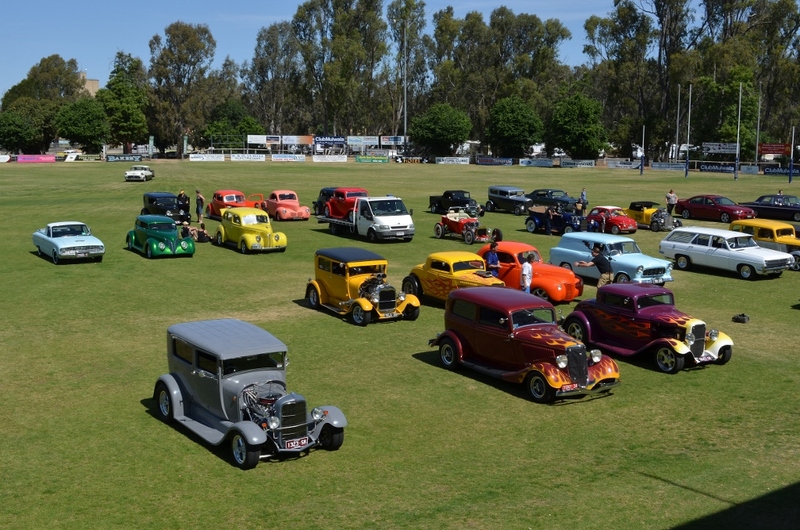 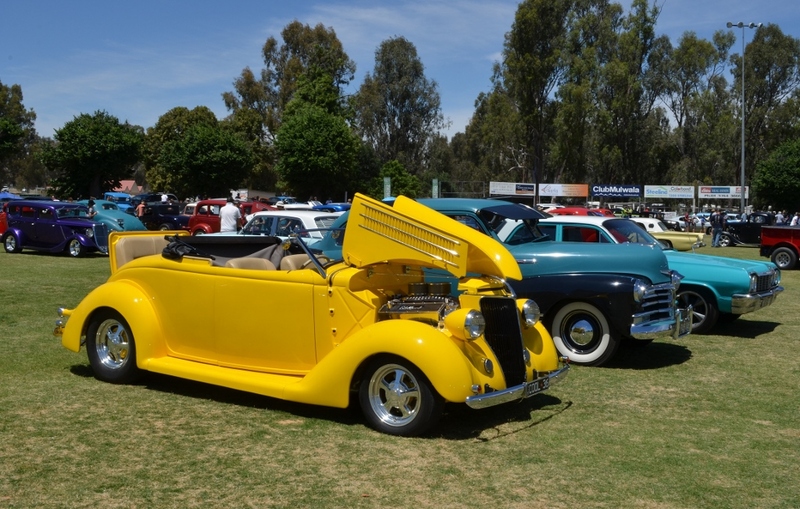 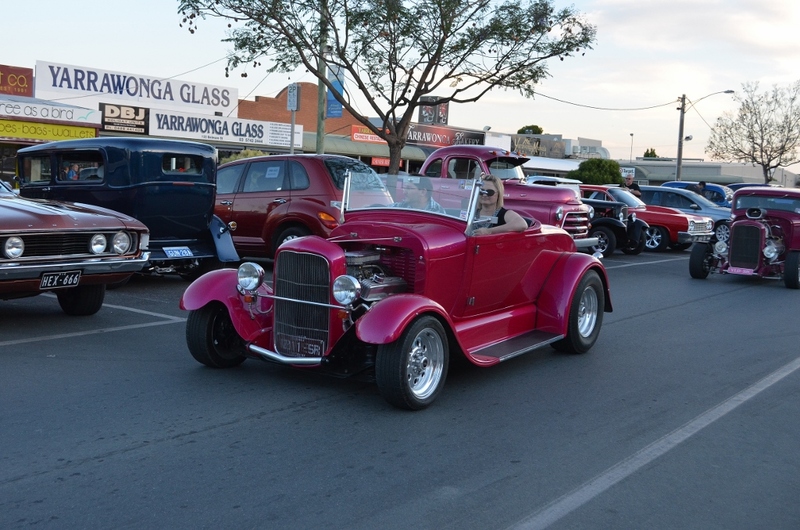 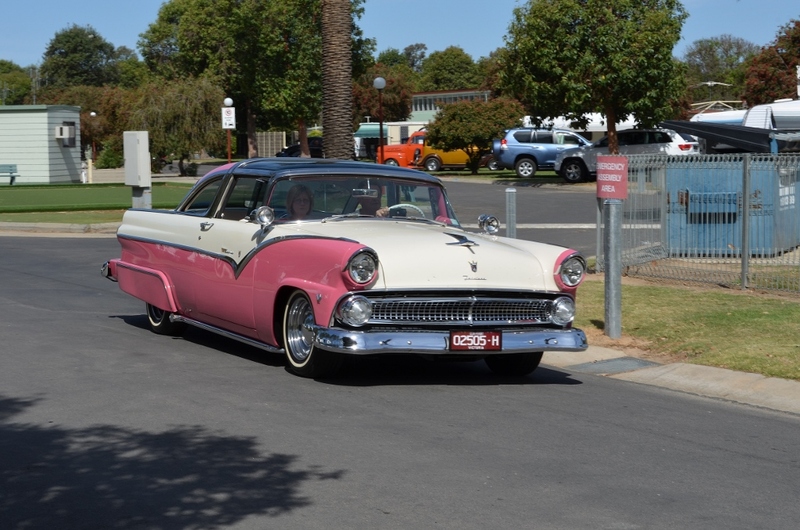 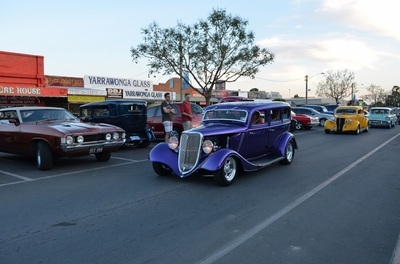 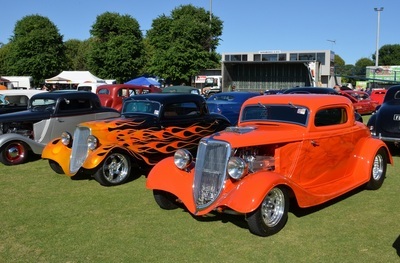 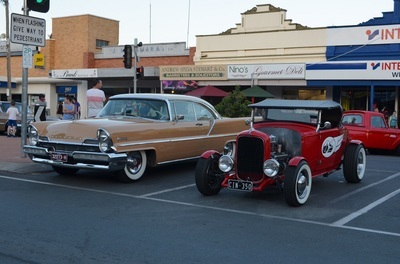 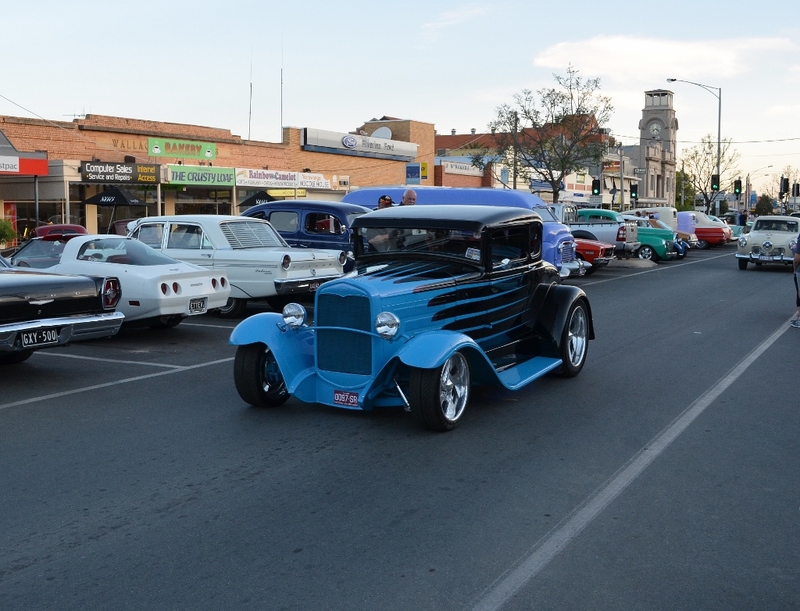 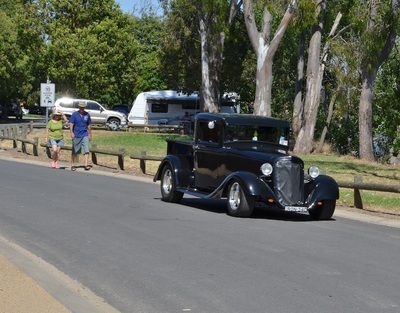 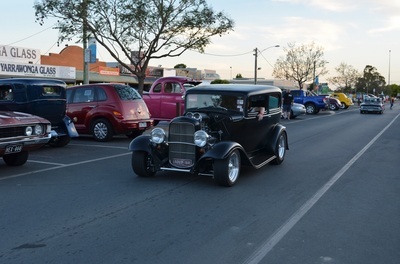 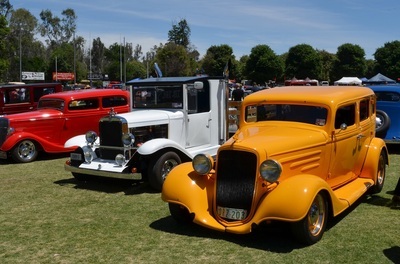 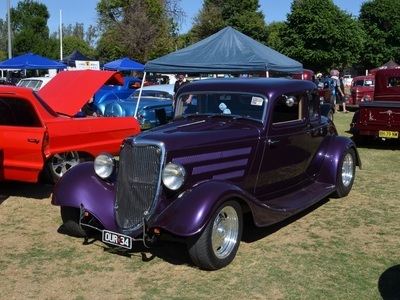 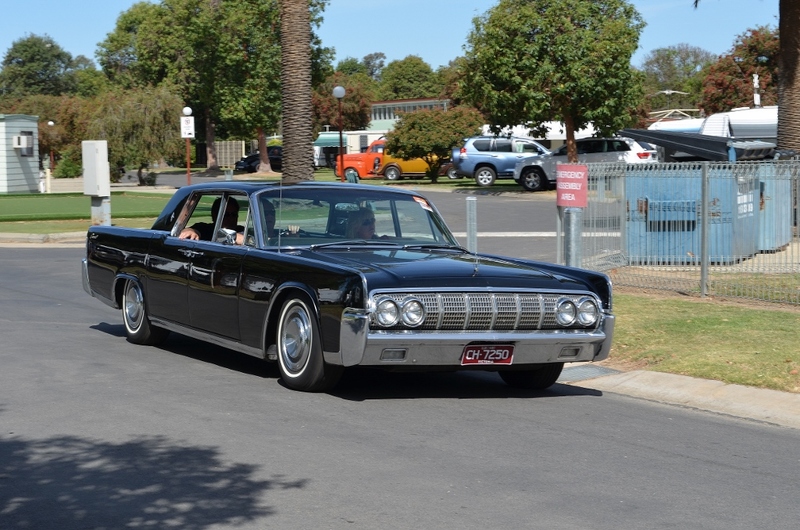 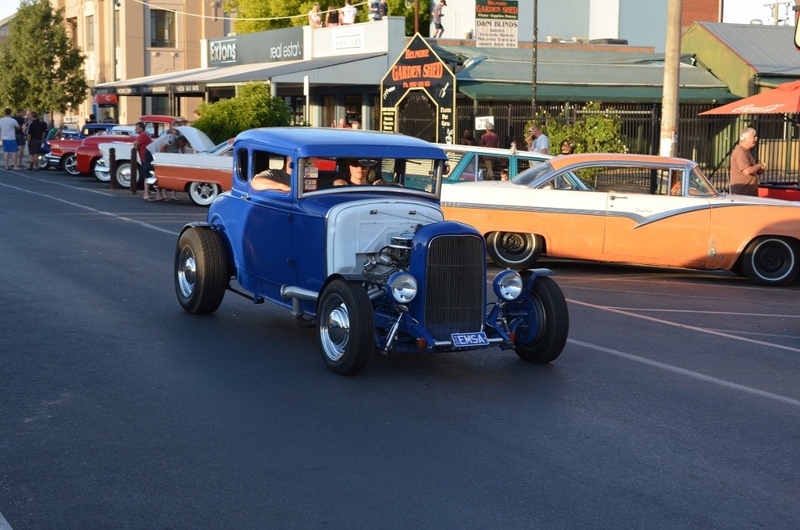 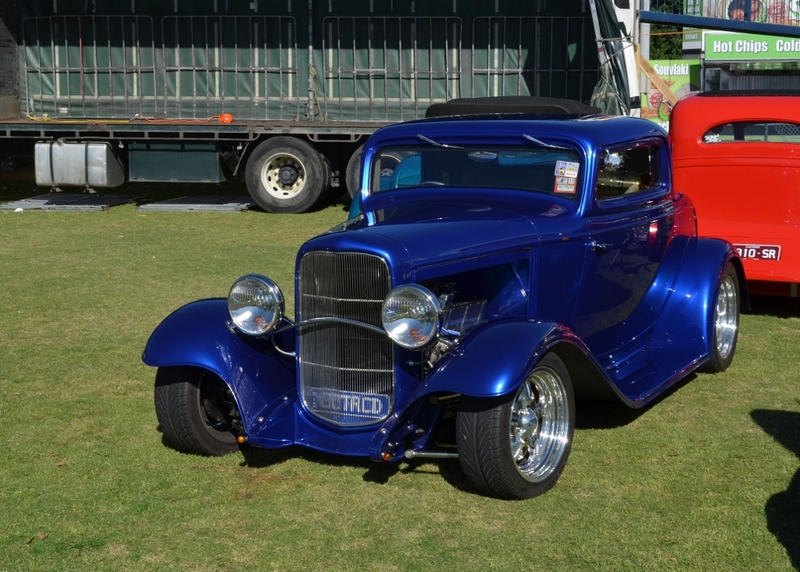 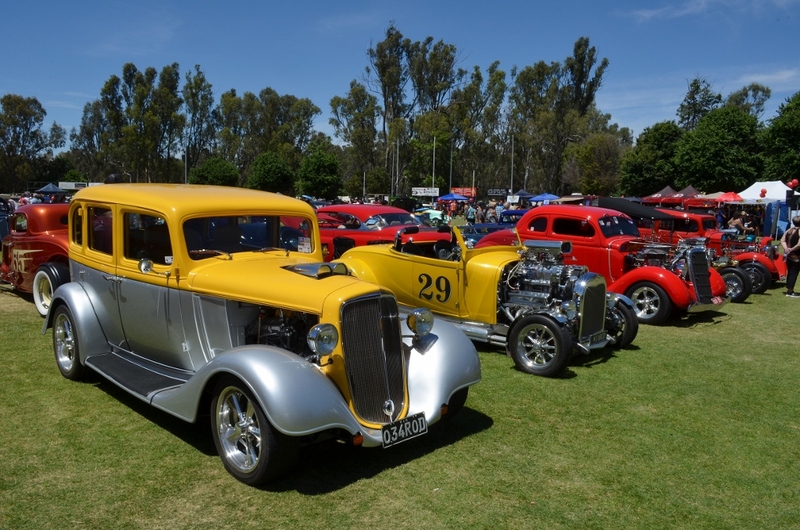 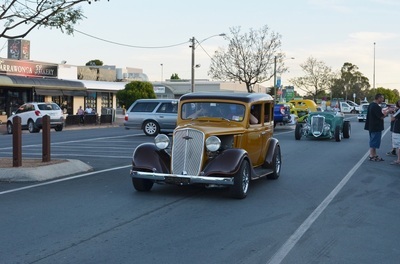 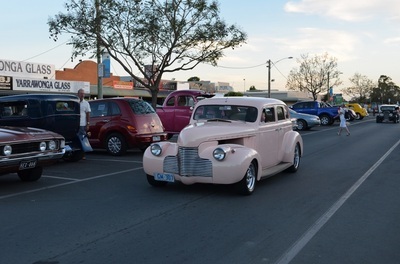 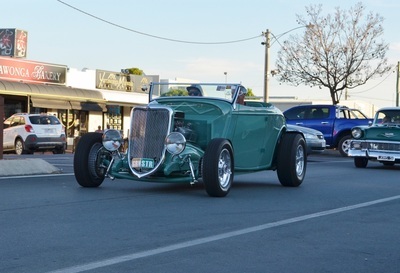 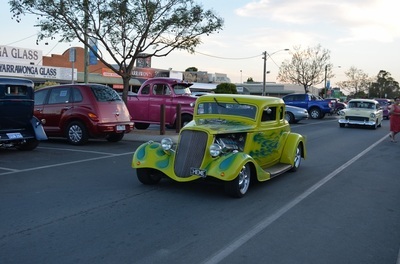 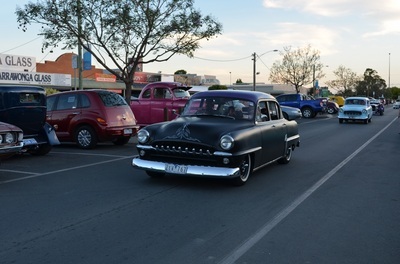 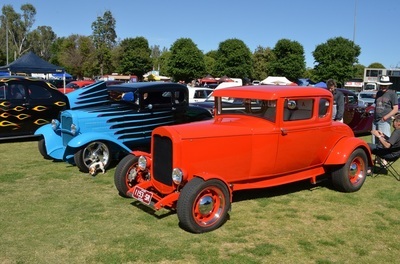 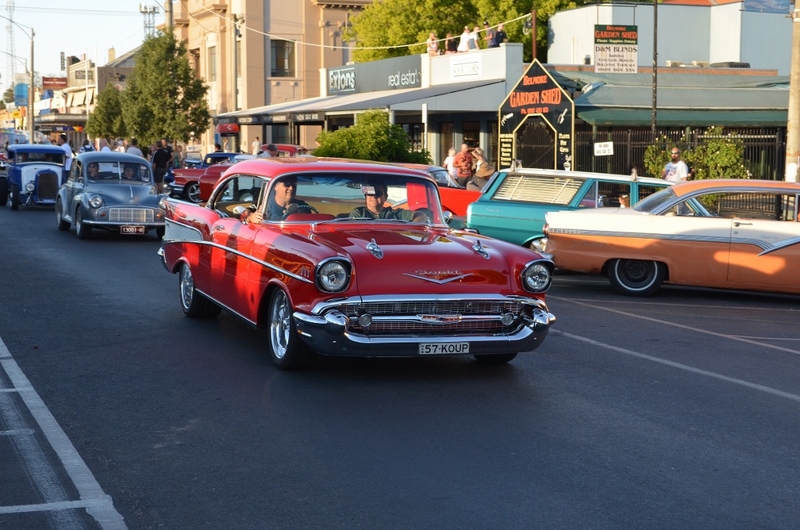 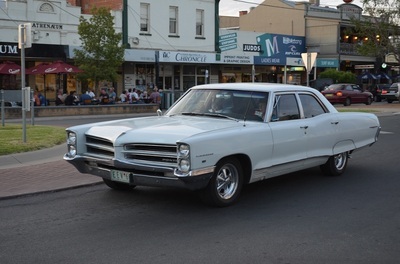 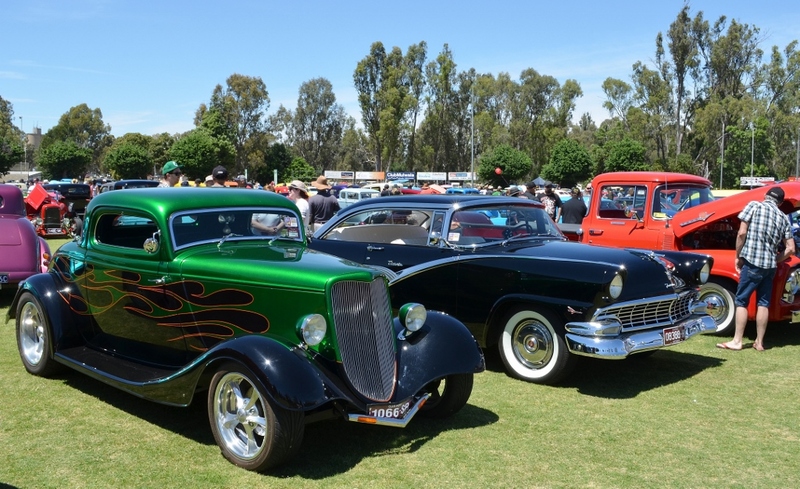 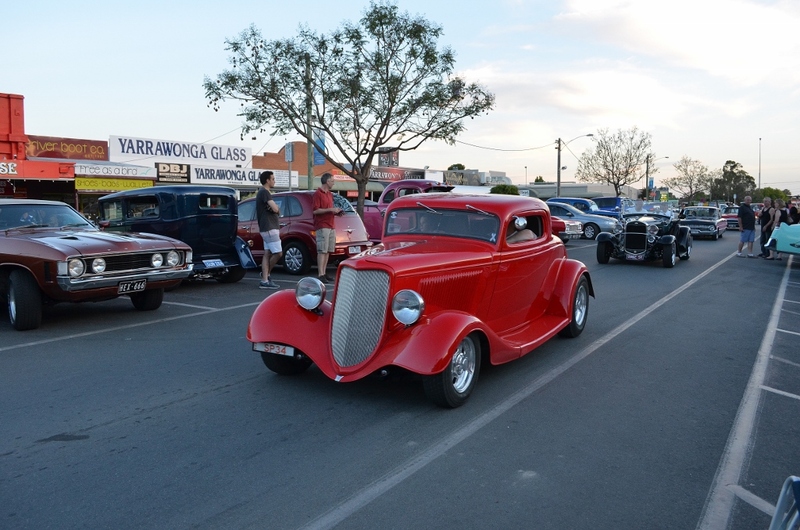 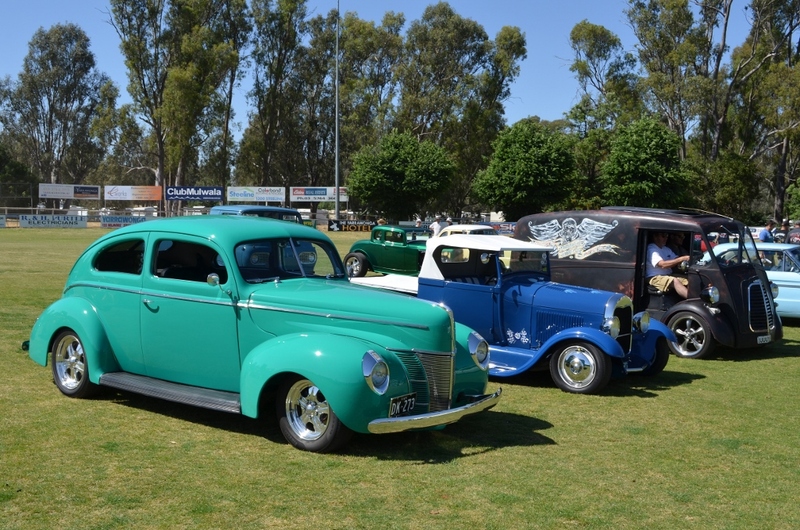 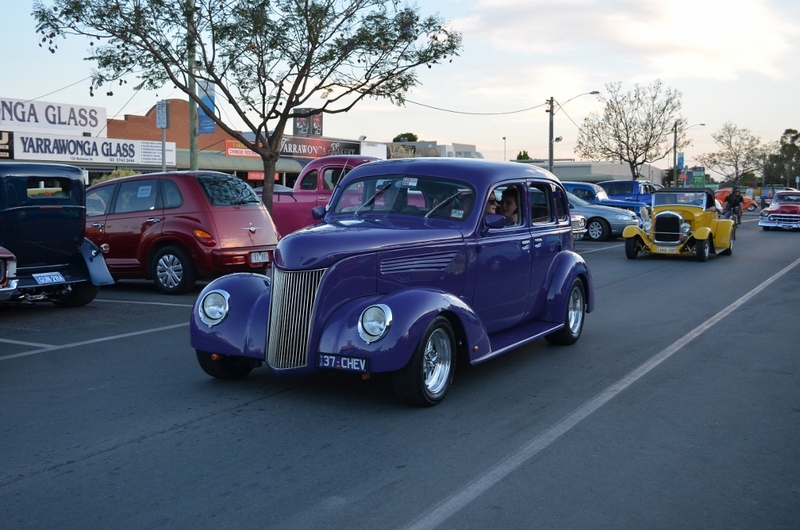 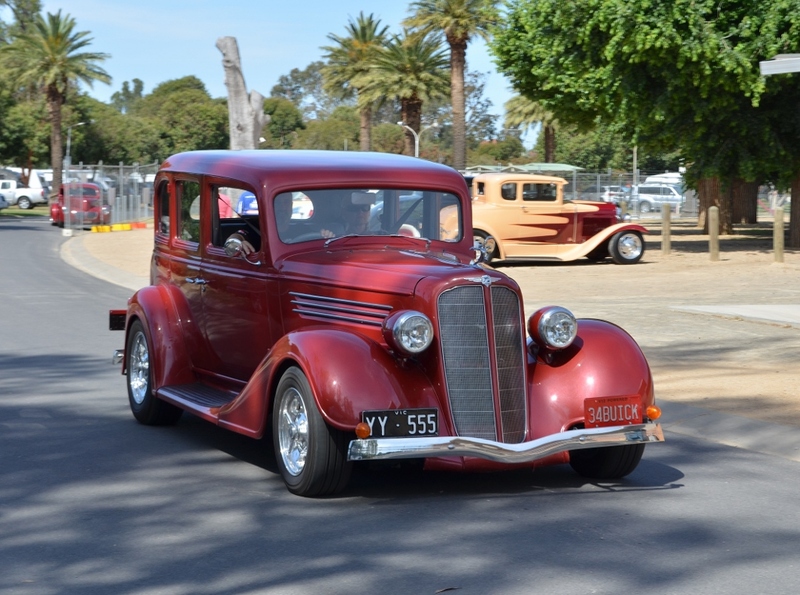 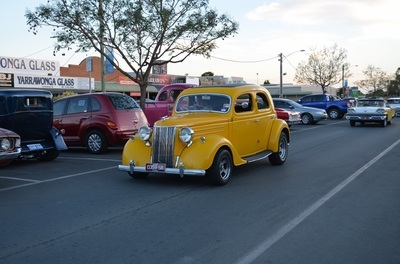 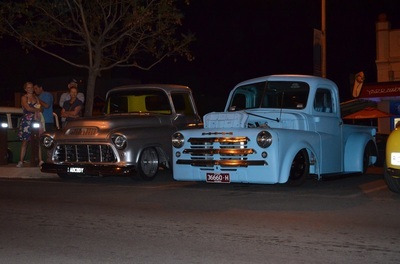 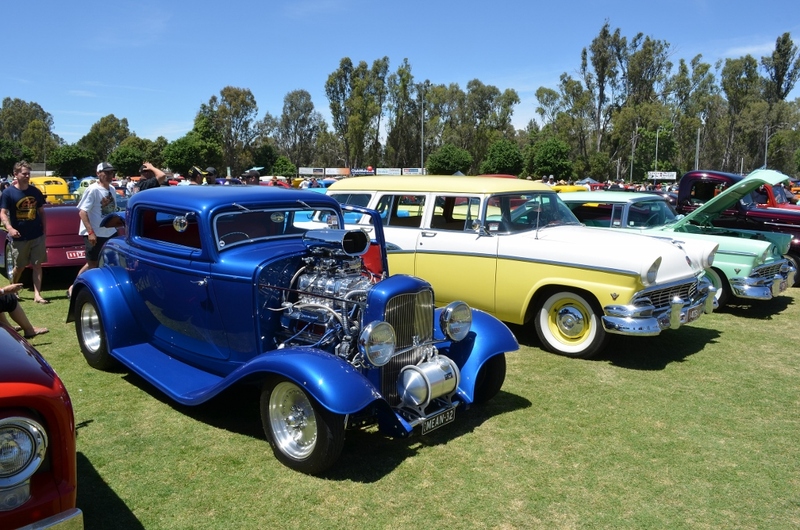 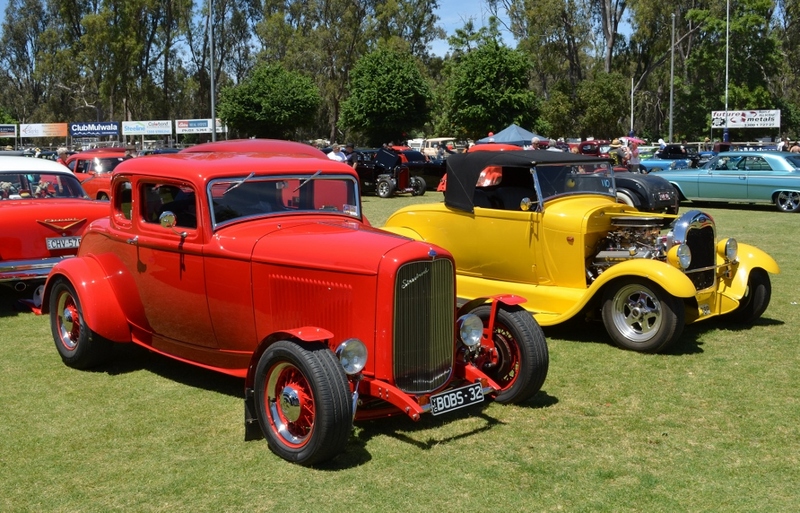 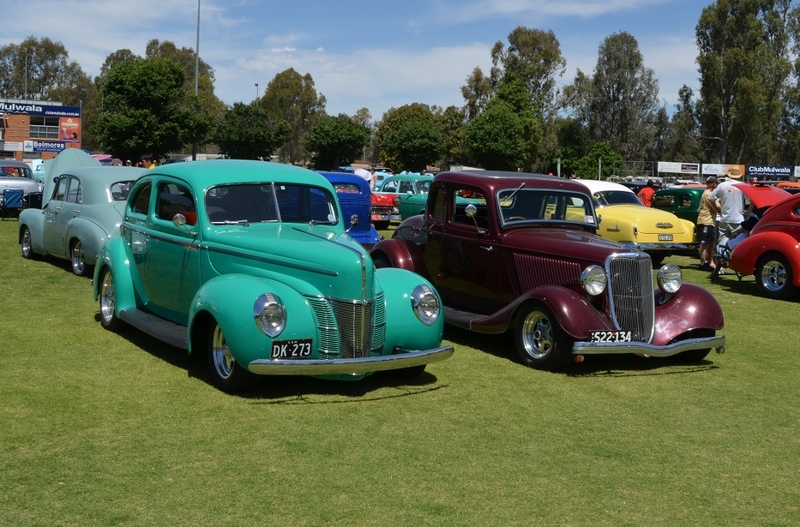 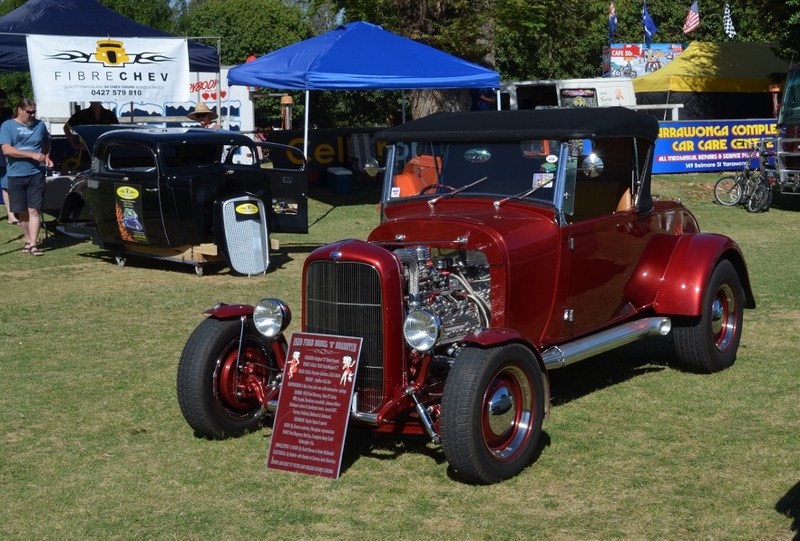 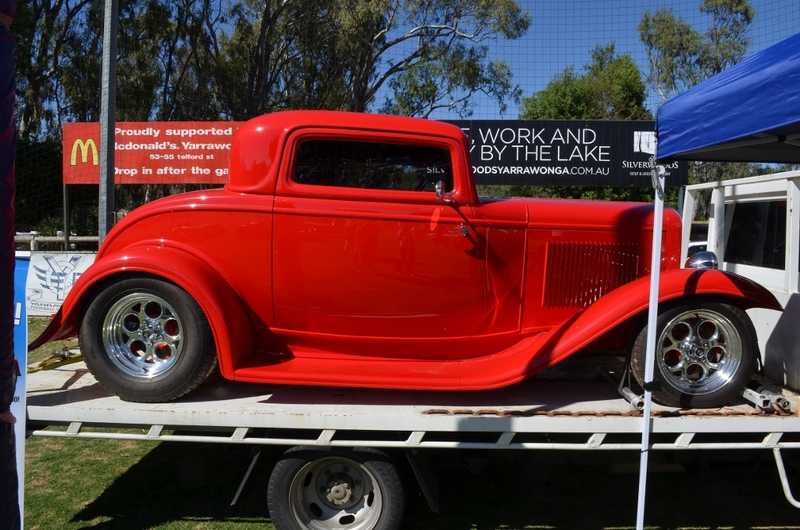 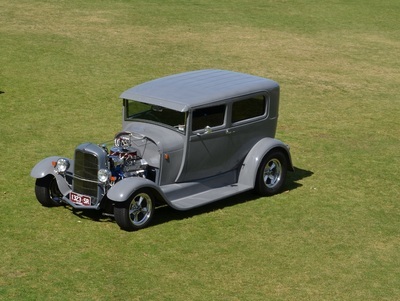 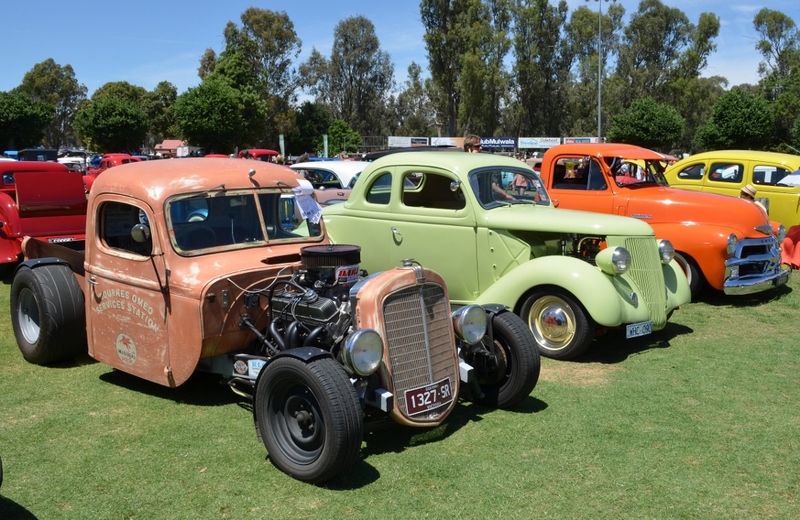 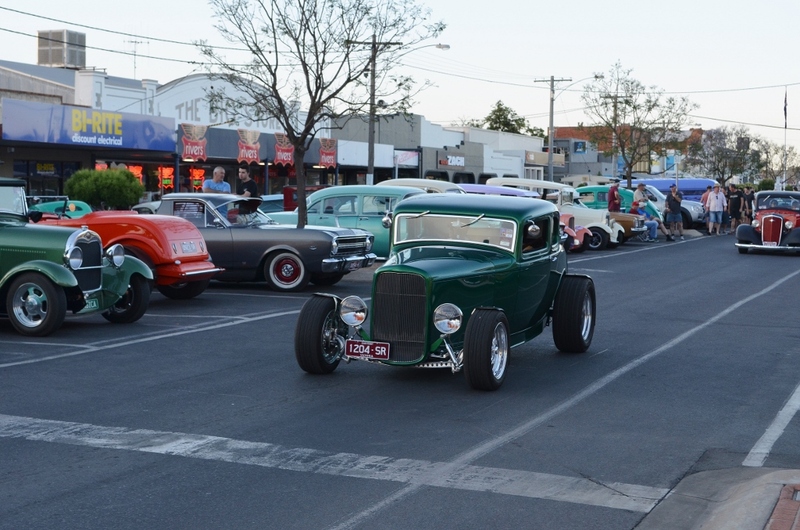 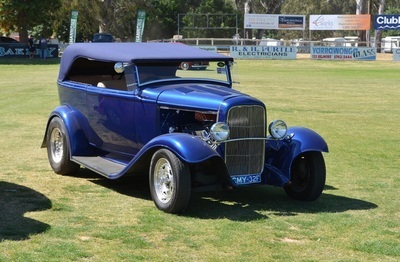 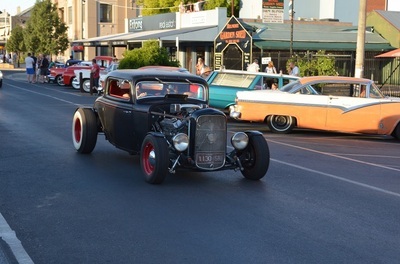 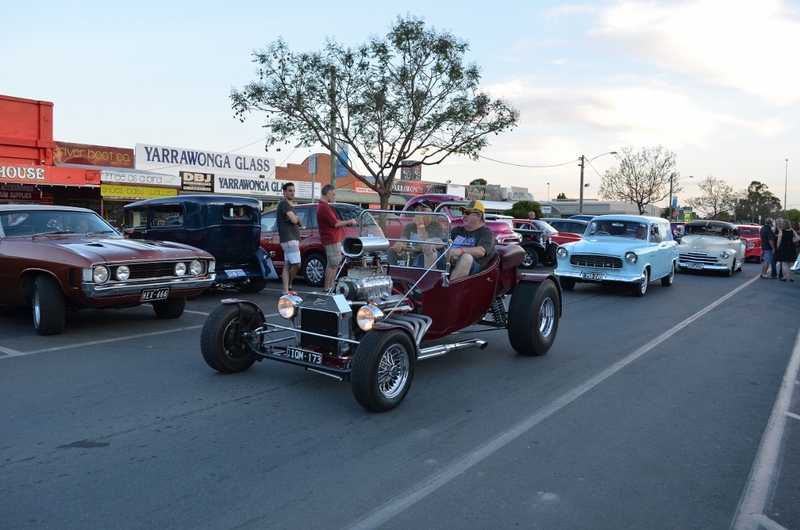 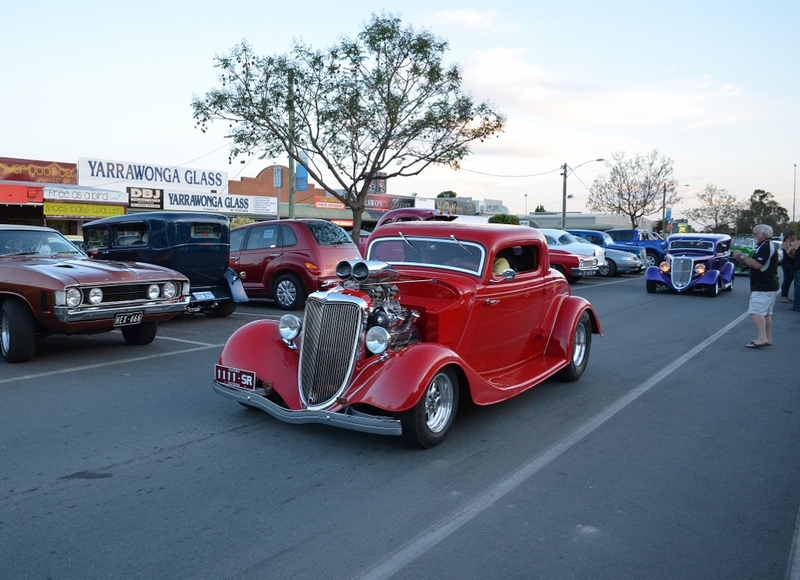 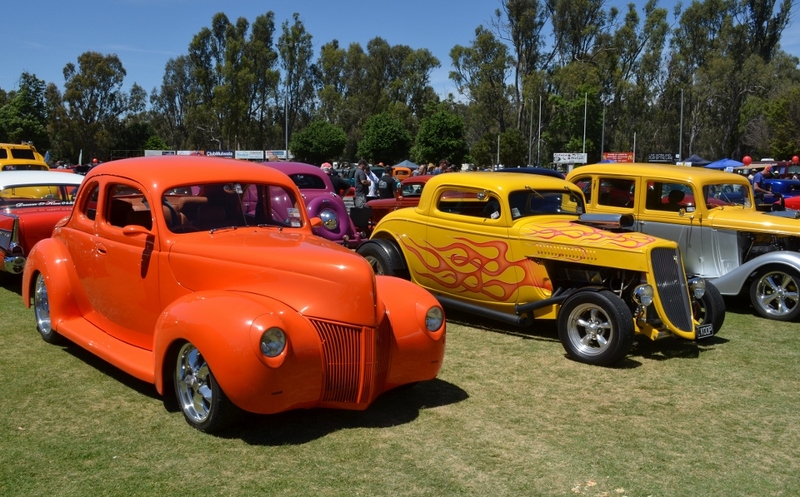 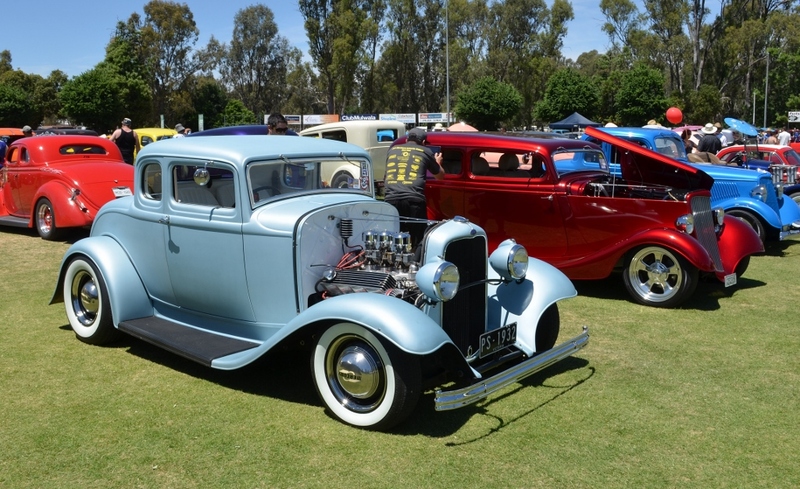 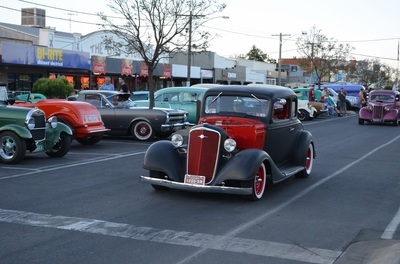 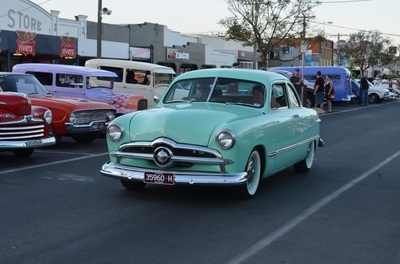 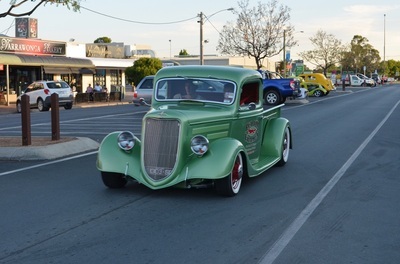 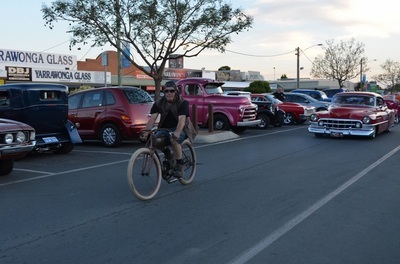 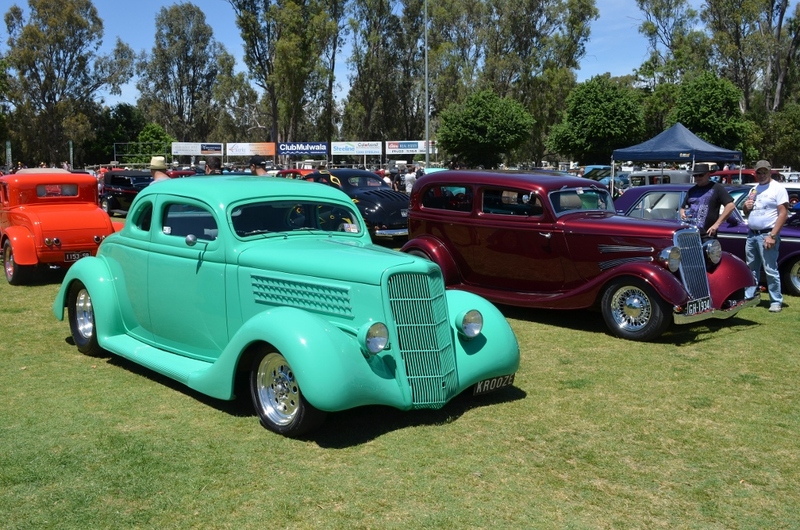 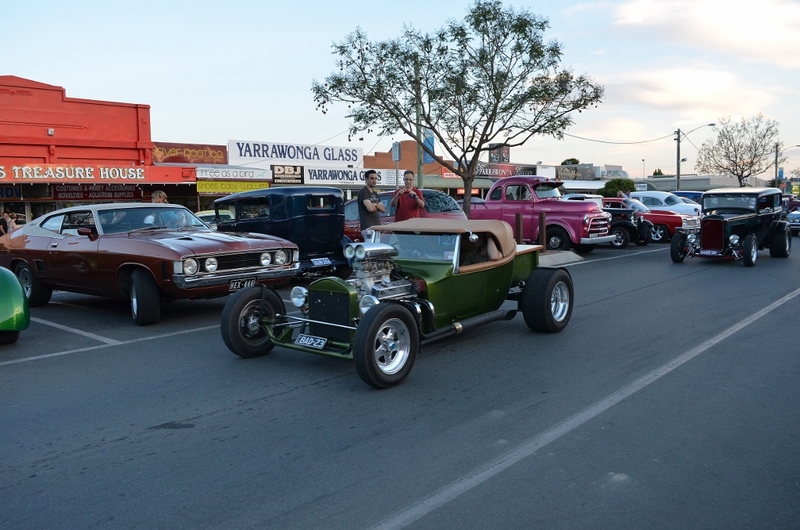 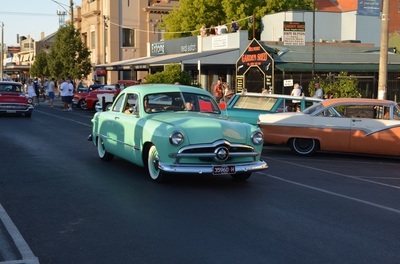 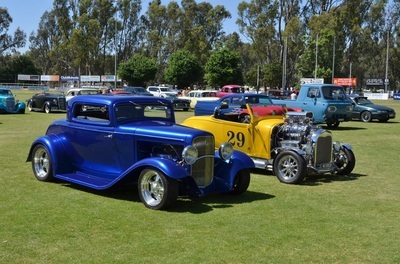 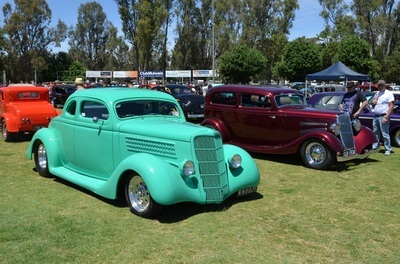 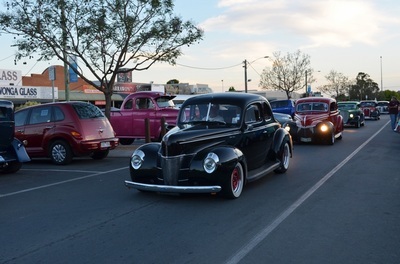 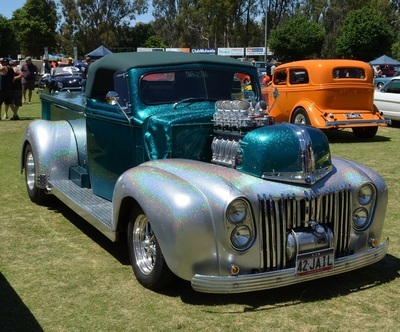 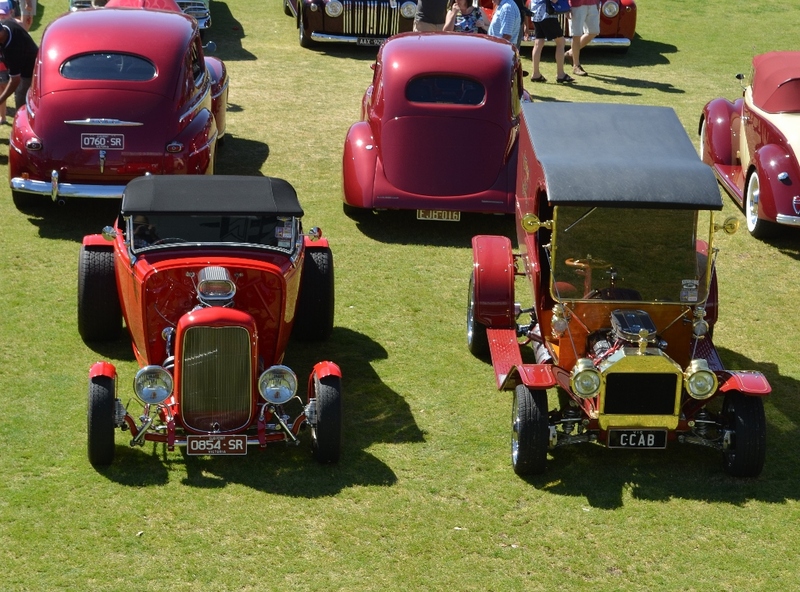 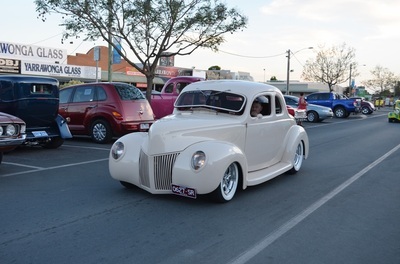 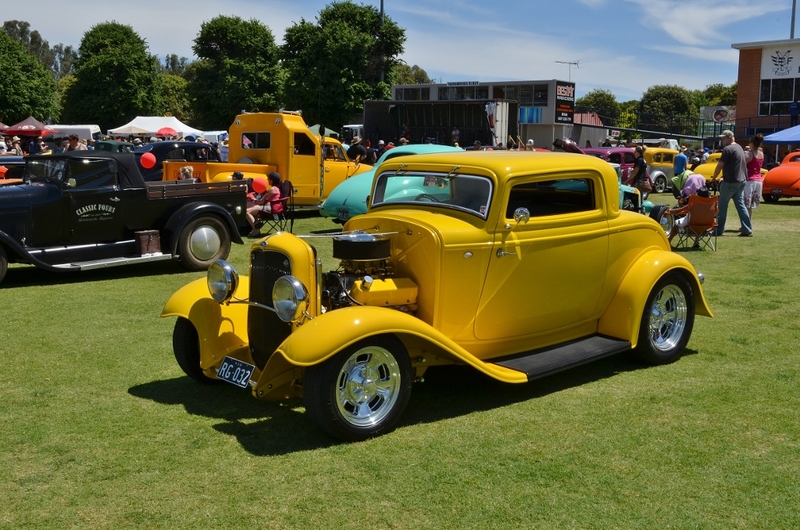 The second Lake Mulwala Rod Run was a huge success and Northern Suburbs Street Rodders are to be congratulated for the running of this event. 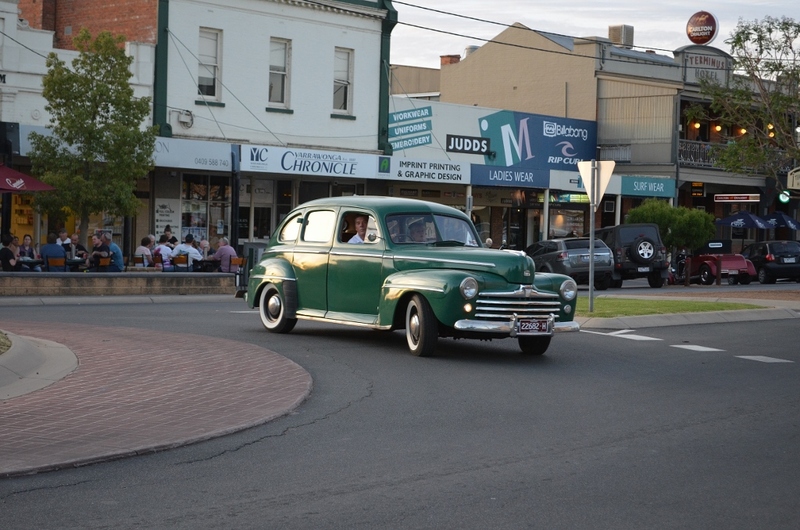 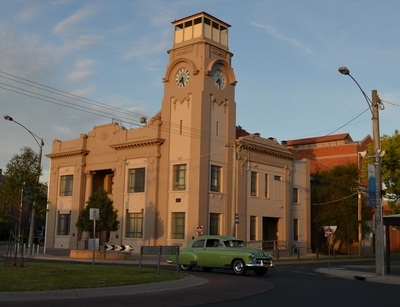 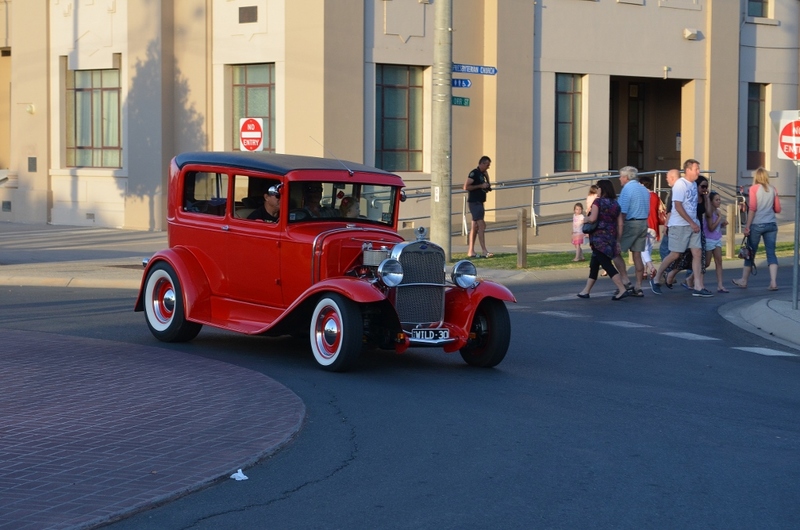 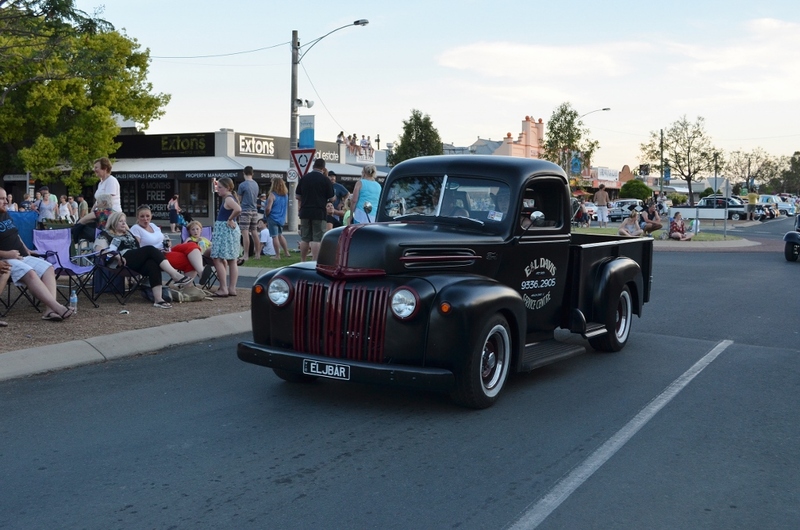 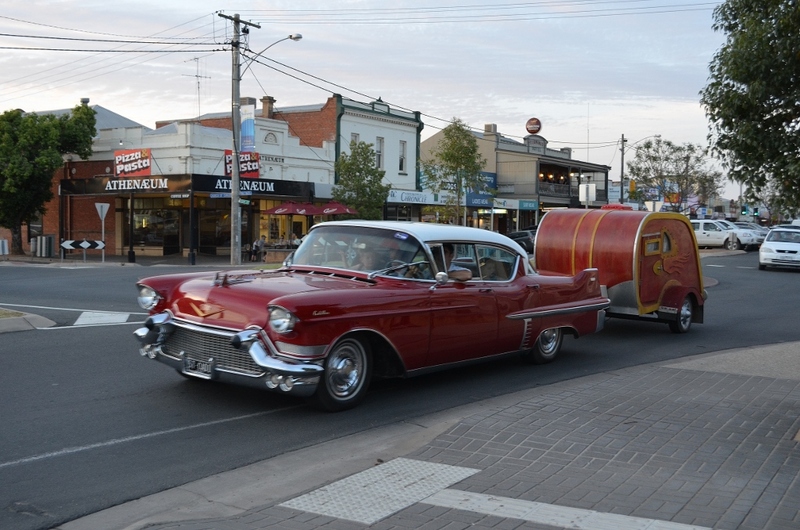 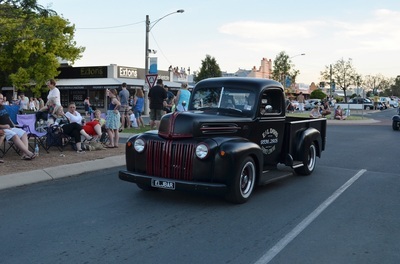 The town of Yarrawonga is perfect in size for the street parade as all who watch and participate in the parade can enjoy themselves without being overcrowded. 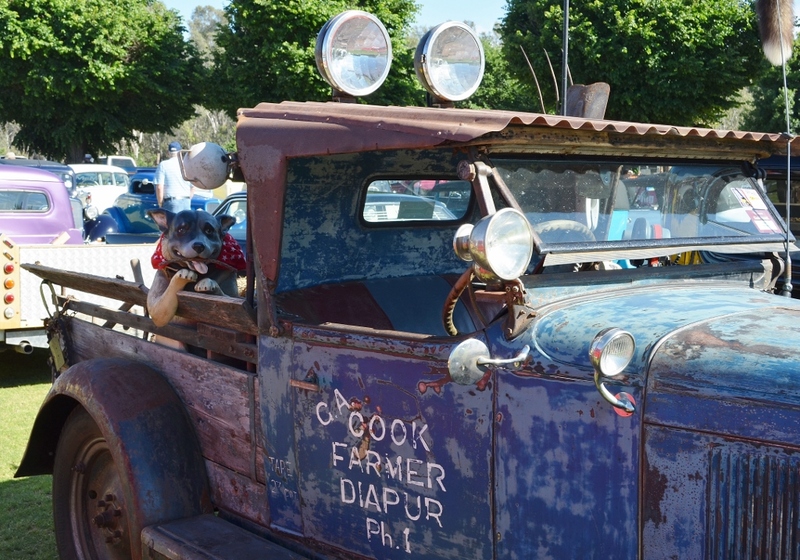 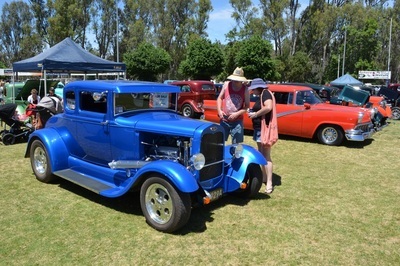 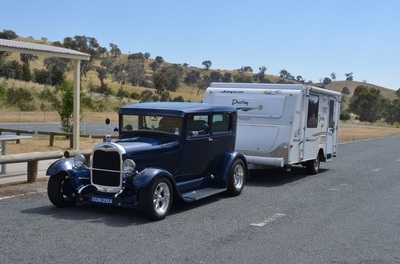 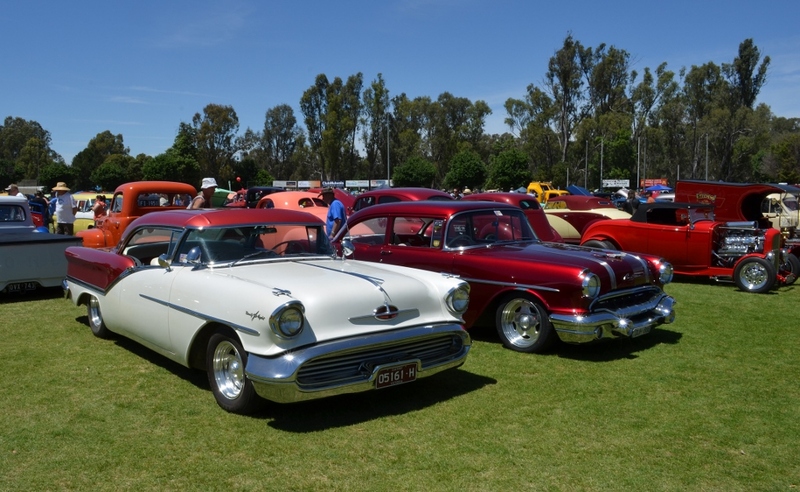 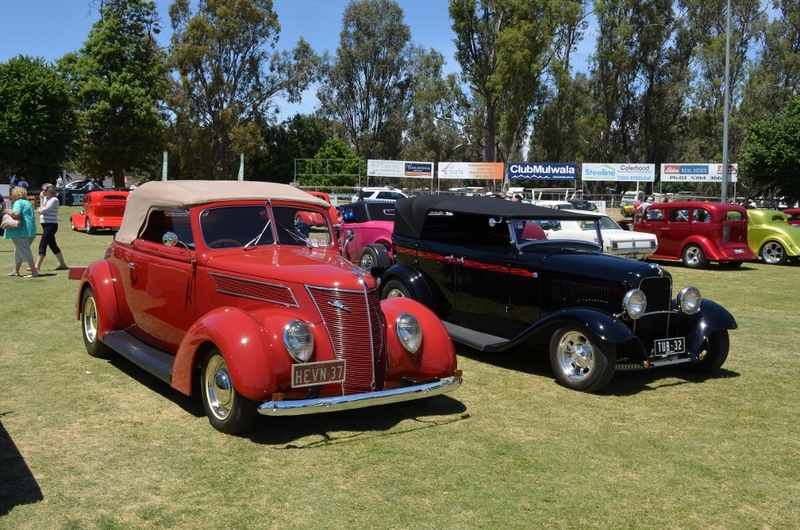 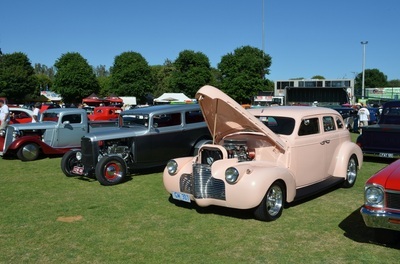 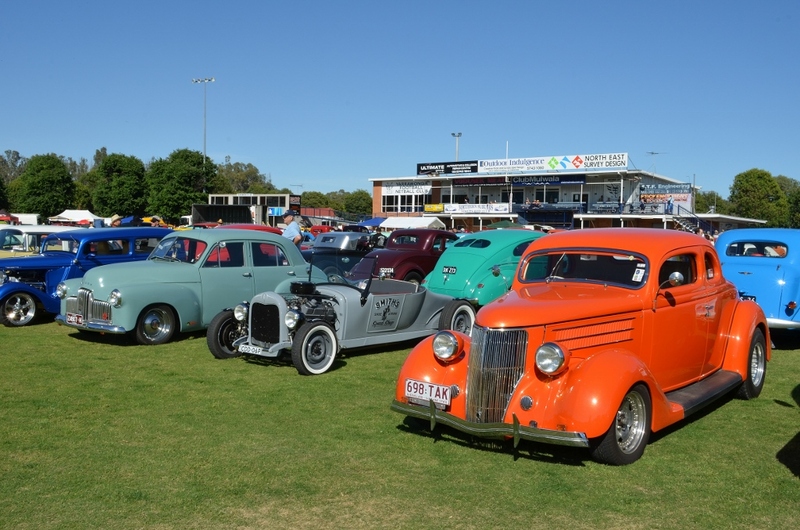 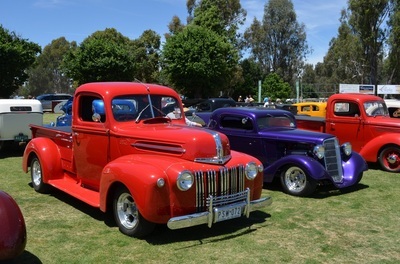 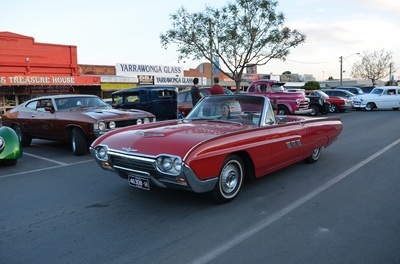 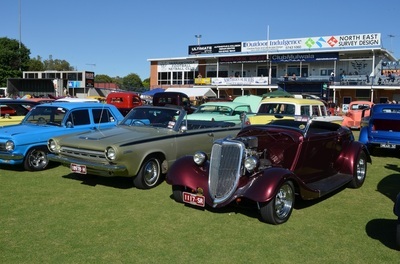 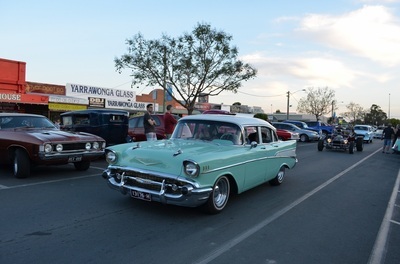 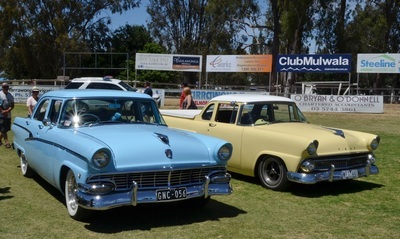 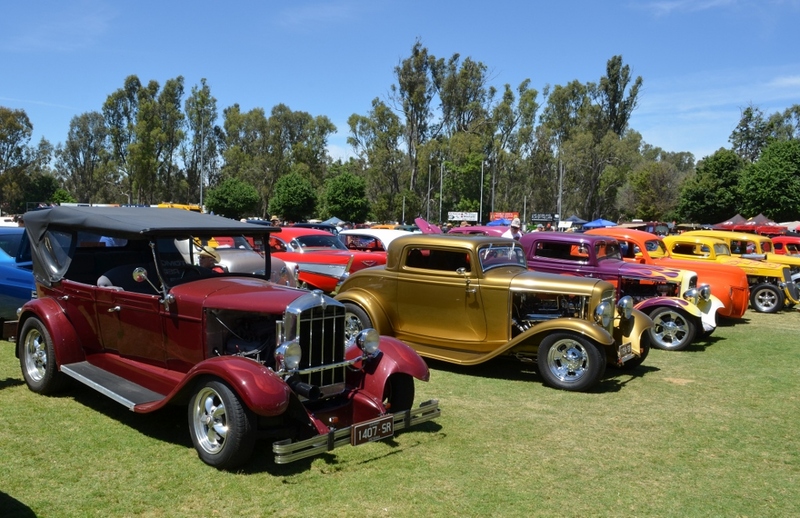 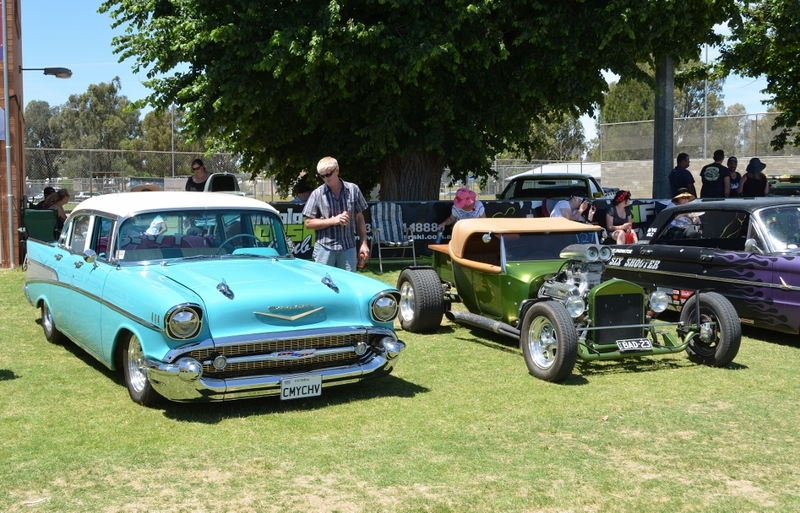 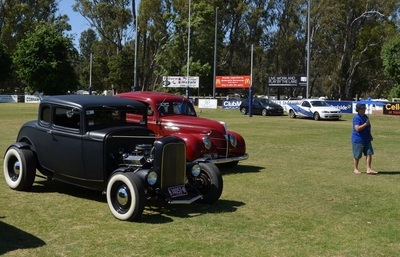 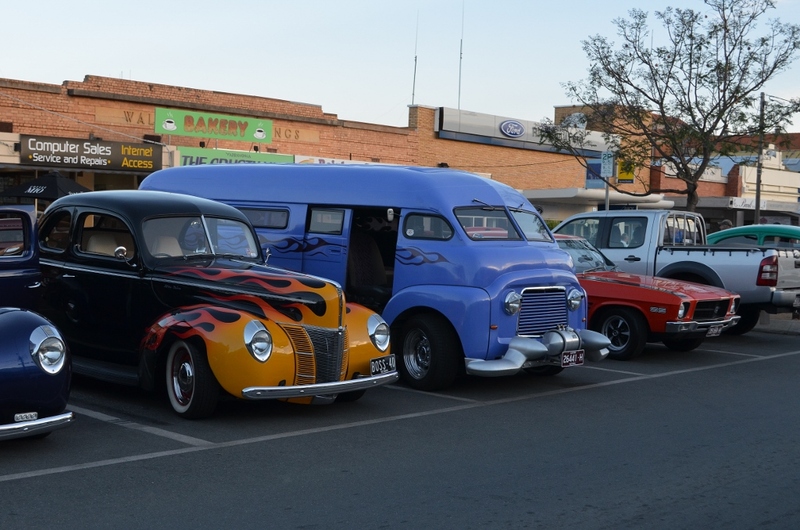 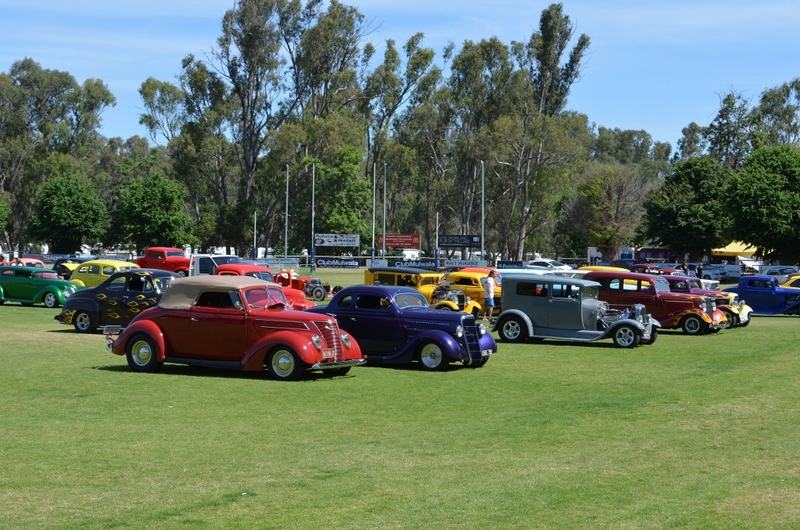 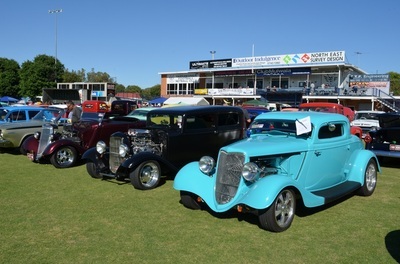 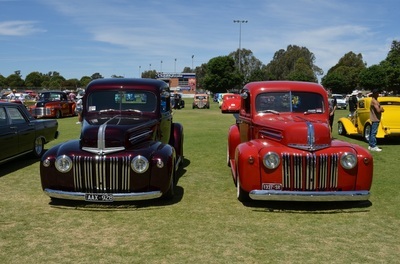 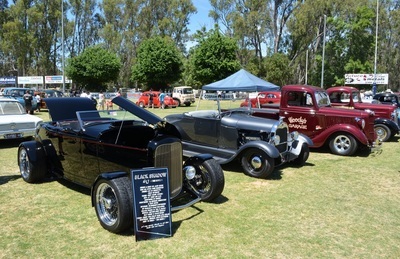 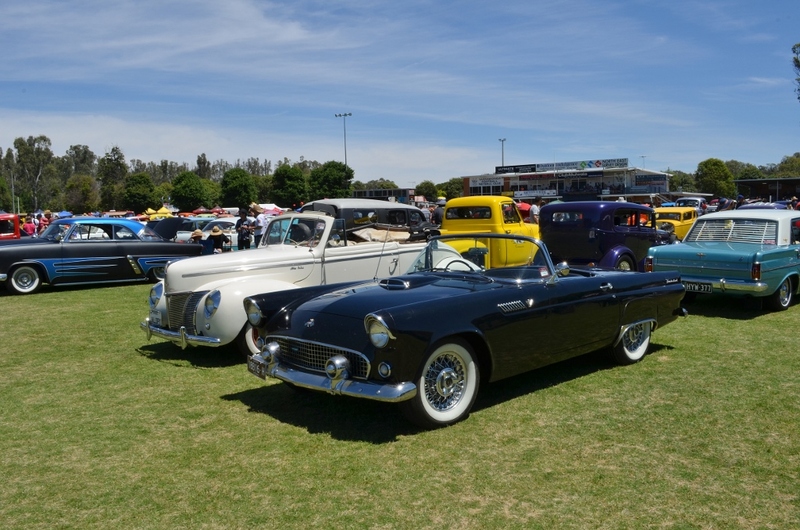 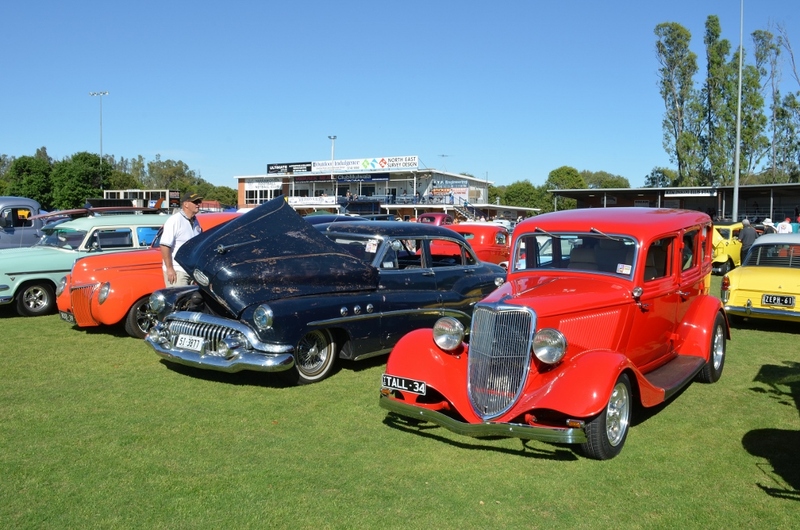 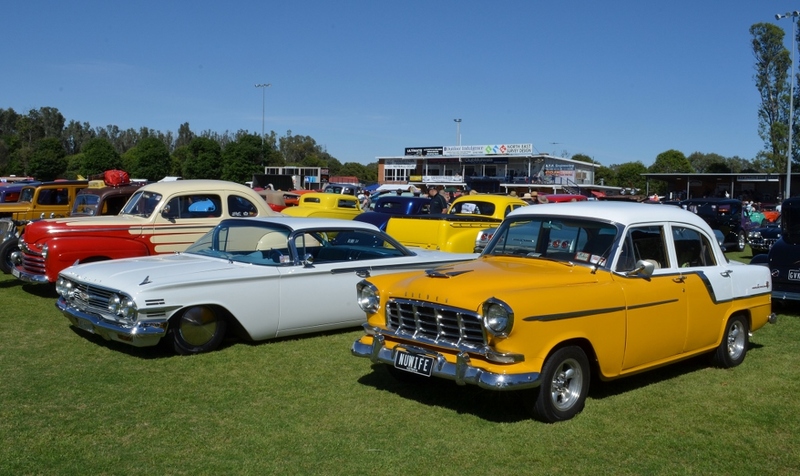 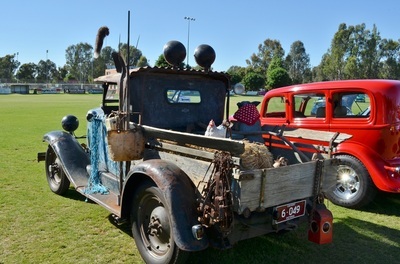 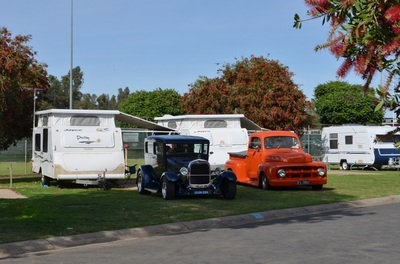 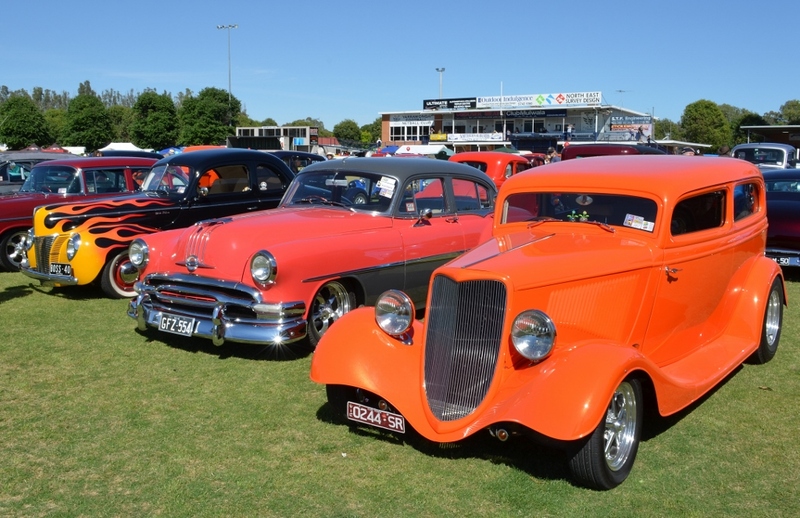 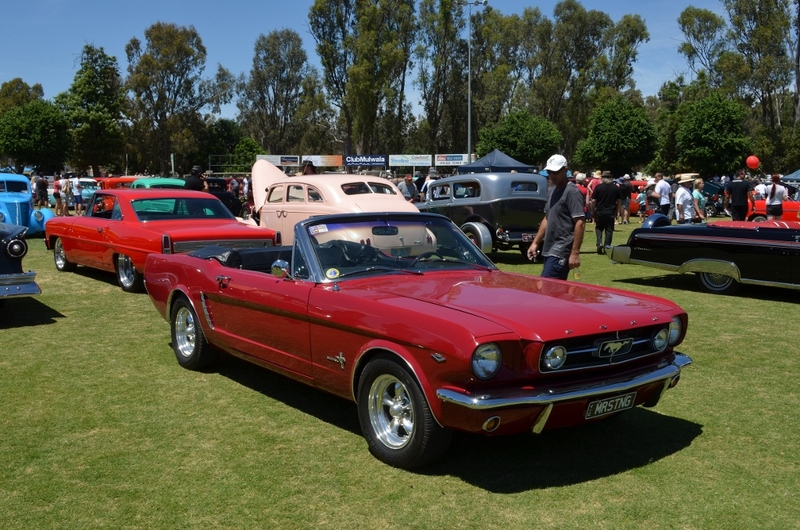 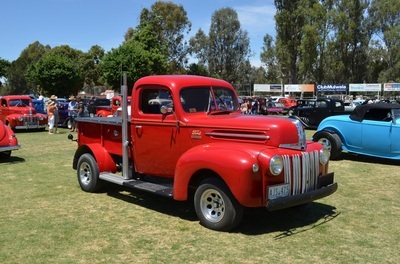 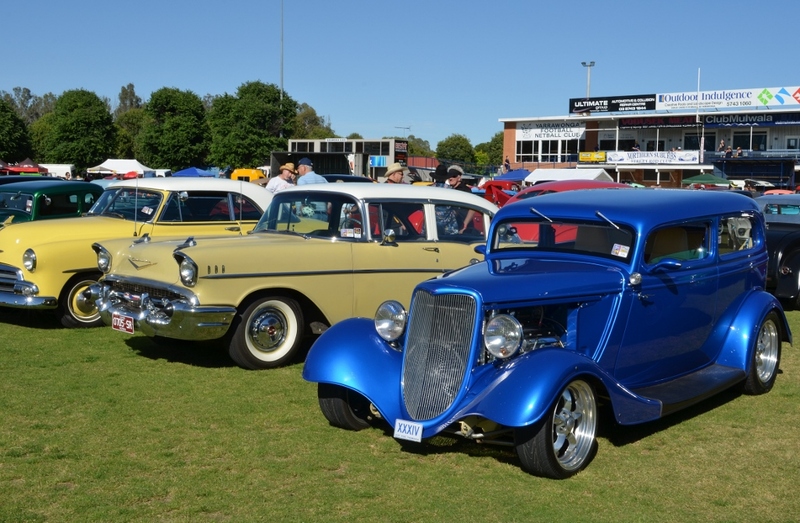 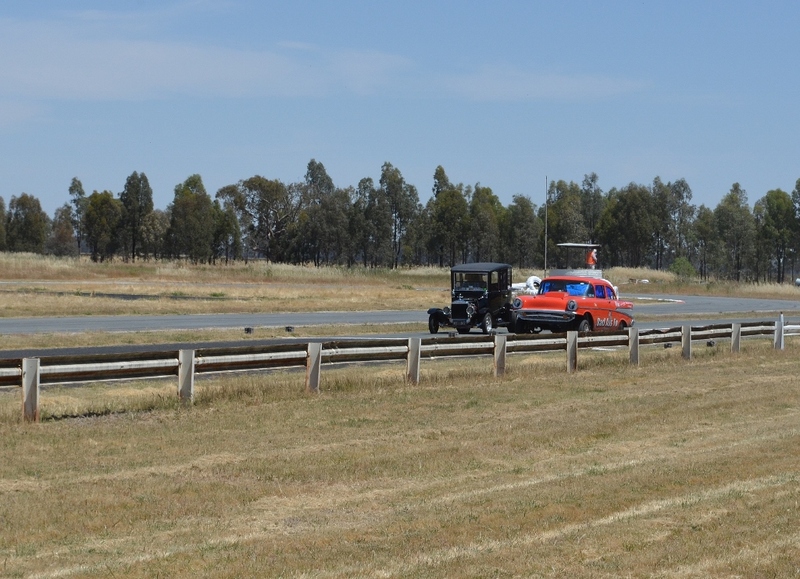 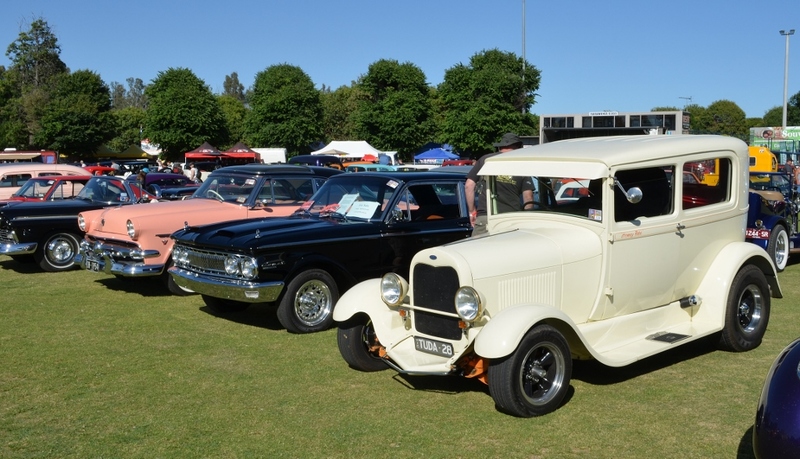 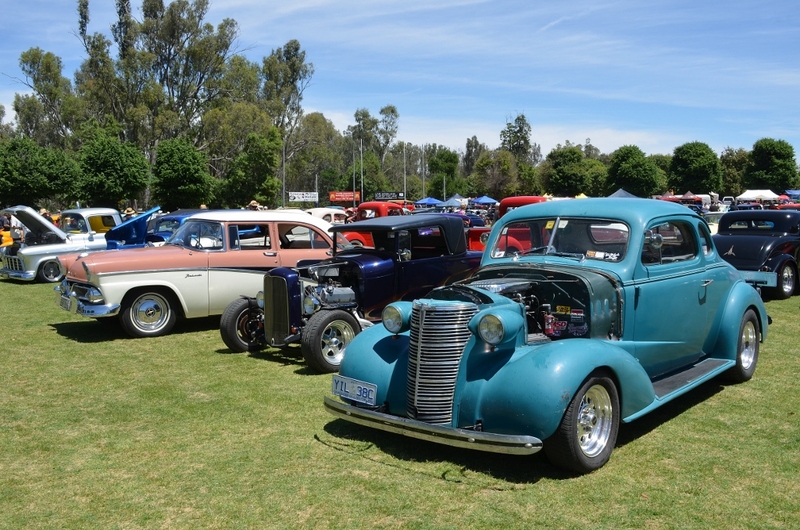 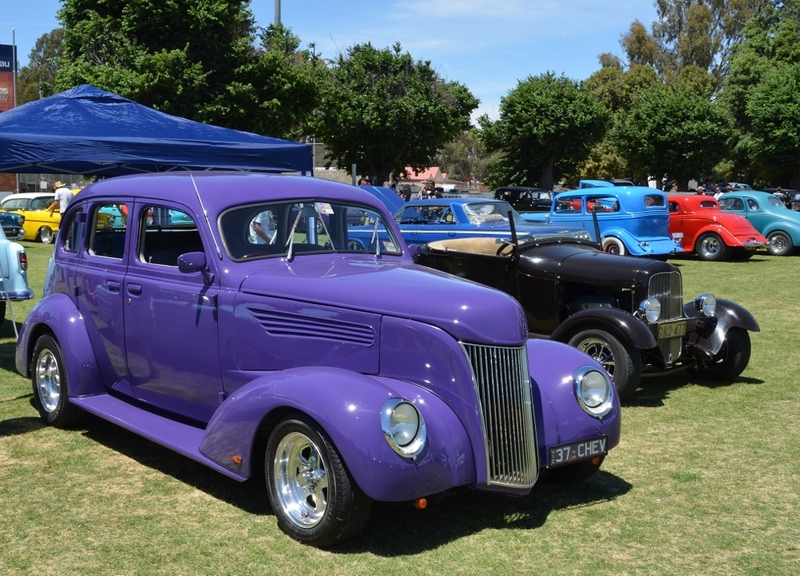 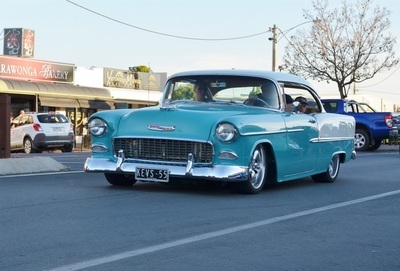 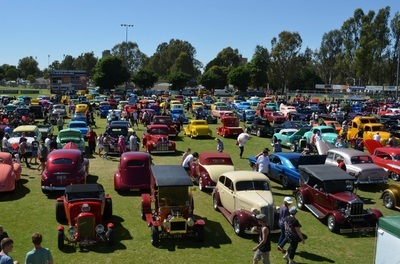 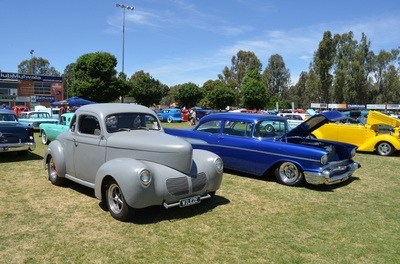 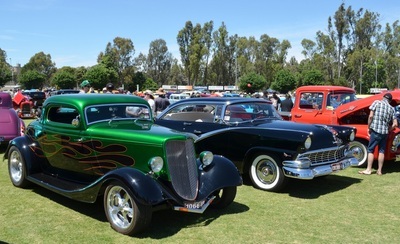 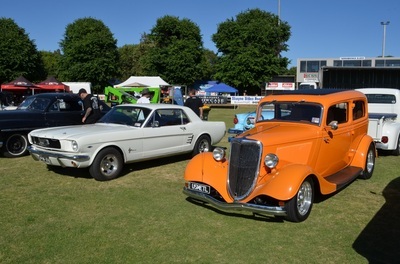 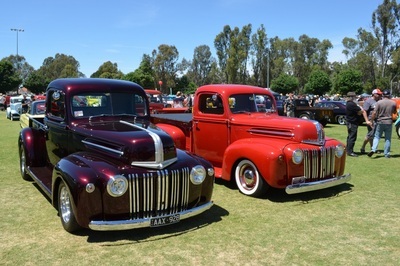 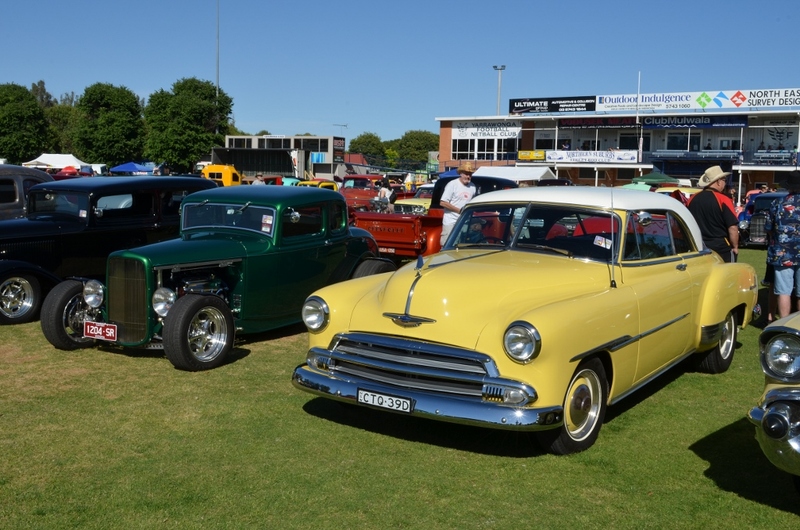 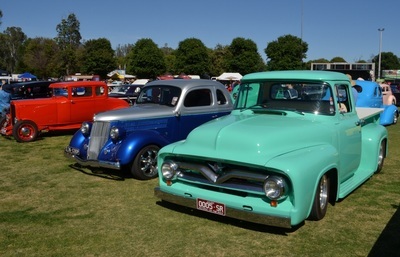 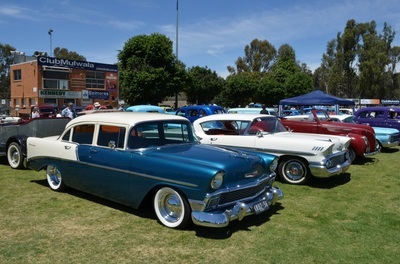 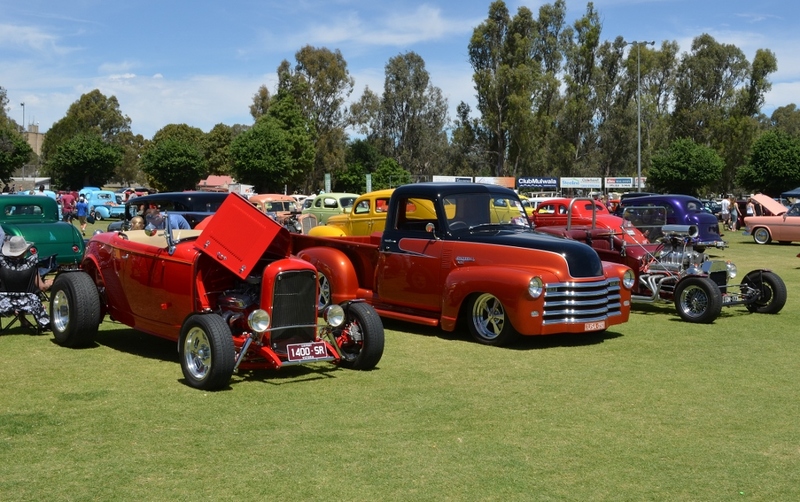 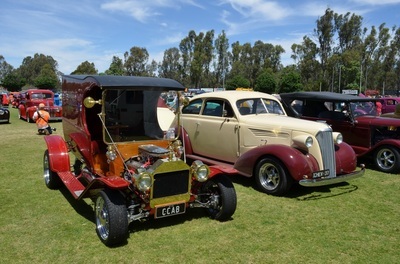 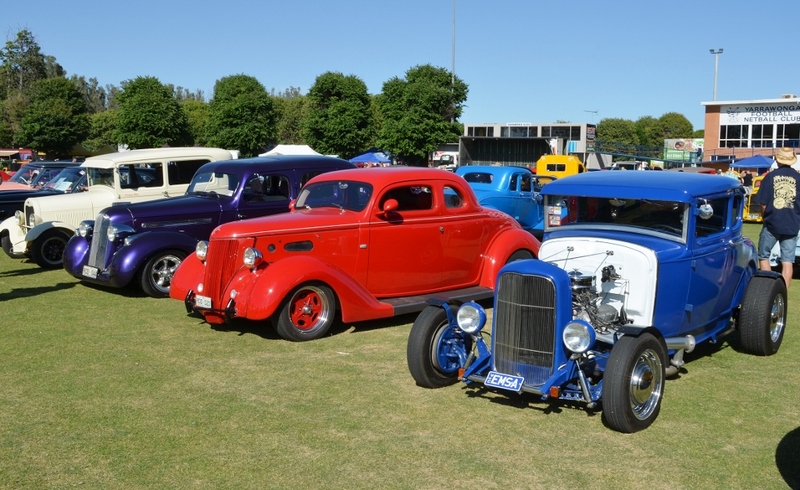 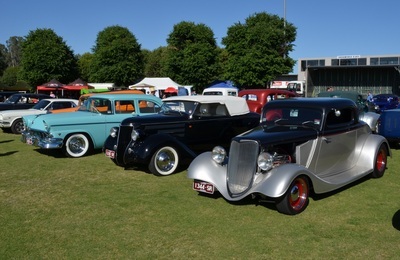 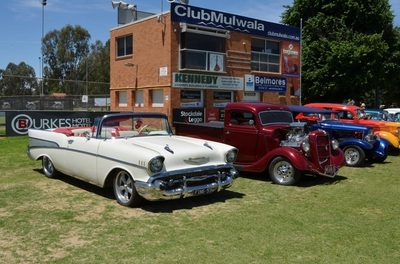 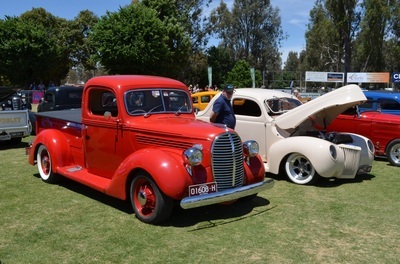 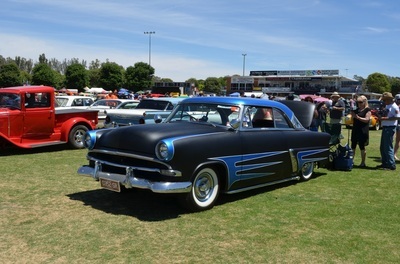 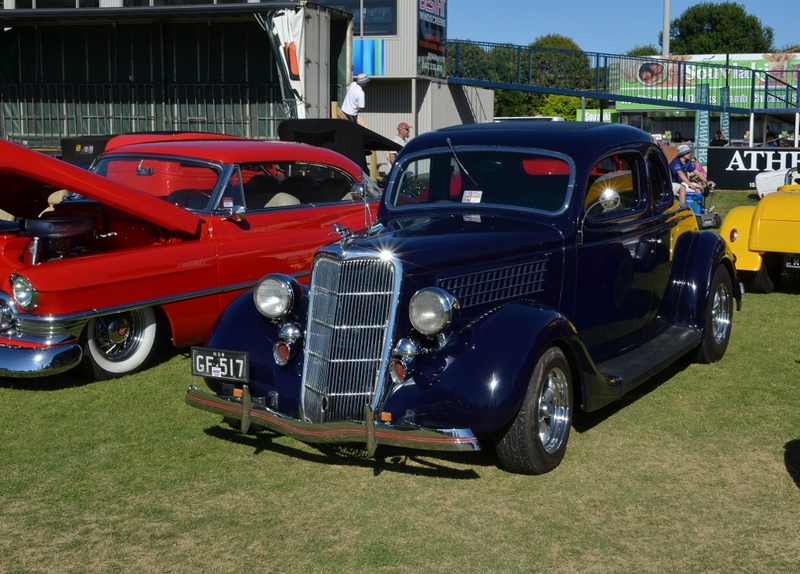 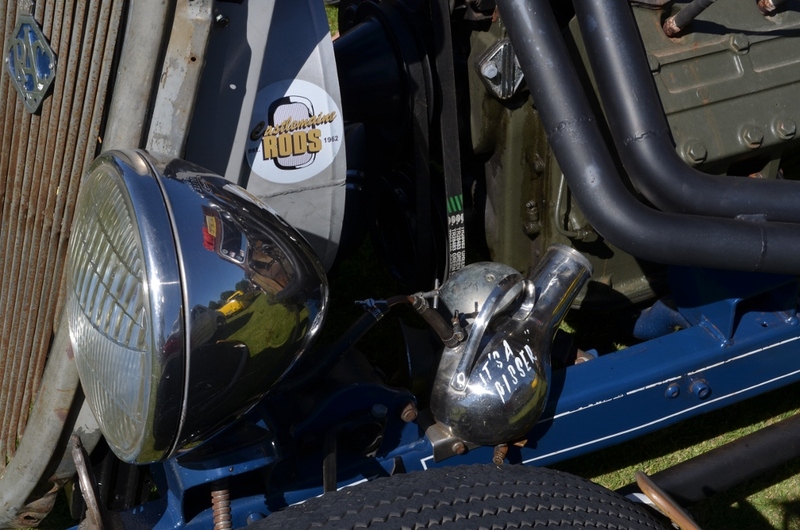 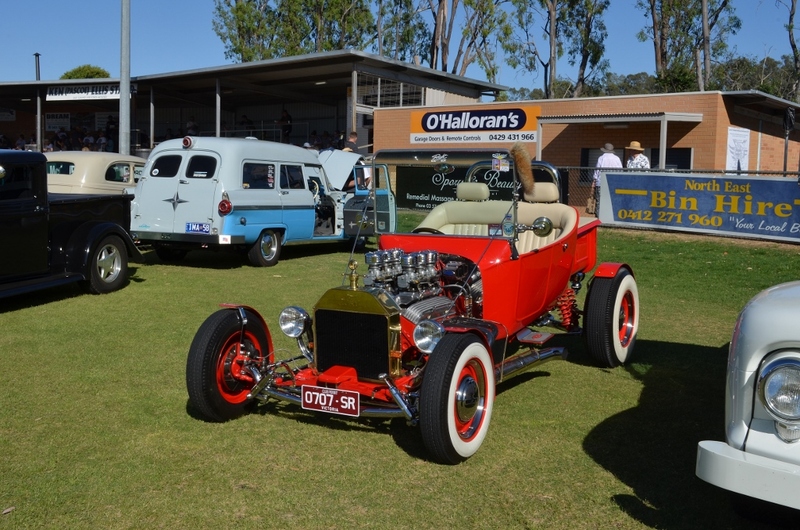 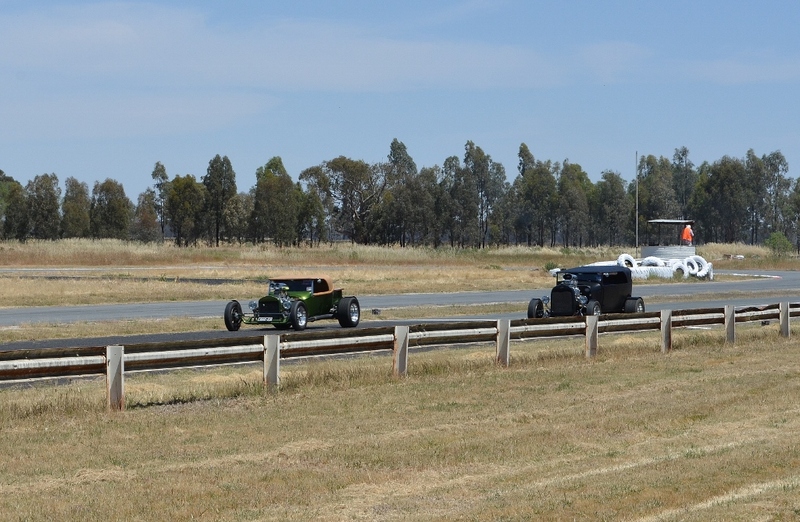 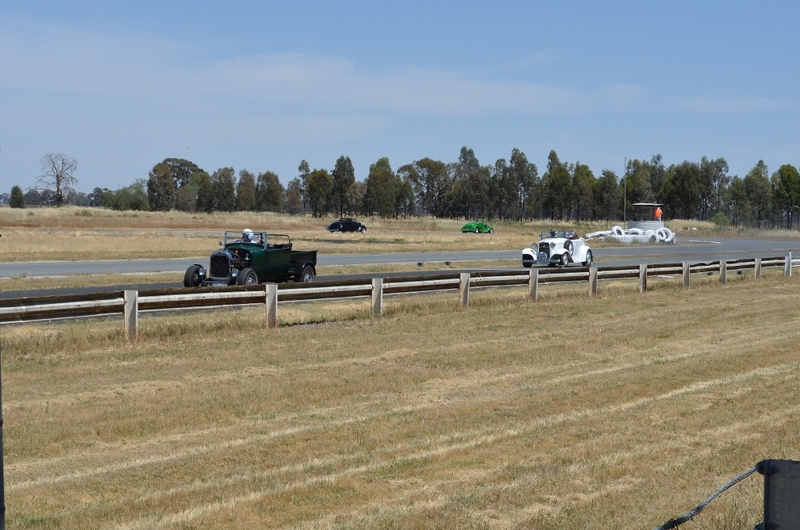 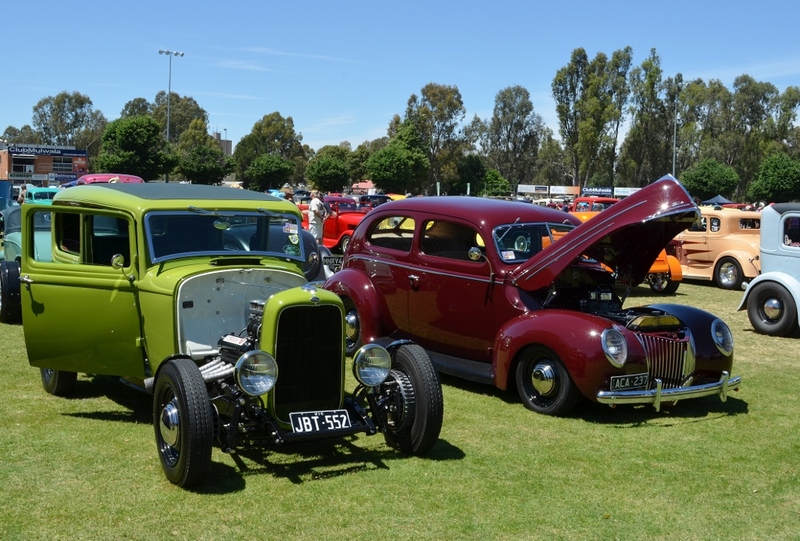 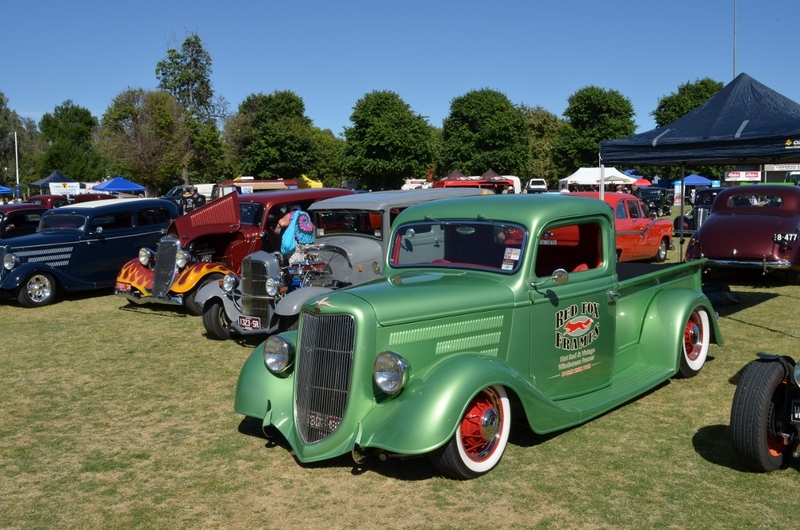 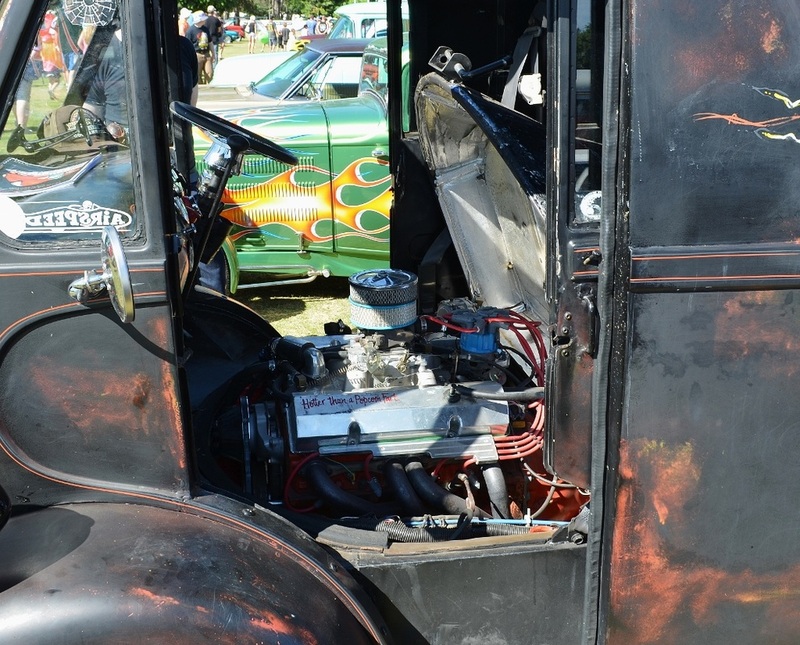 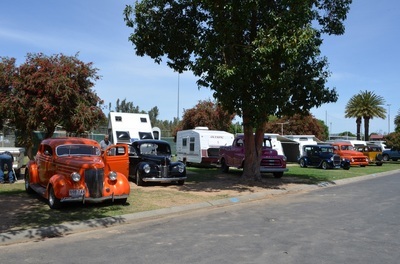 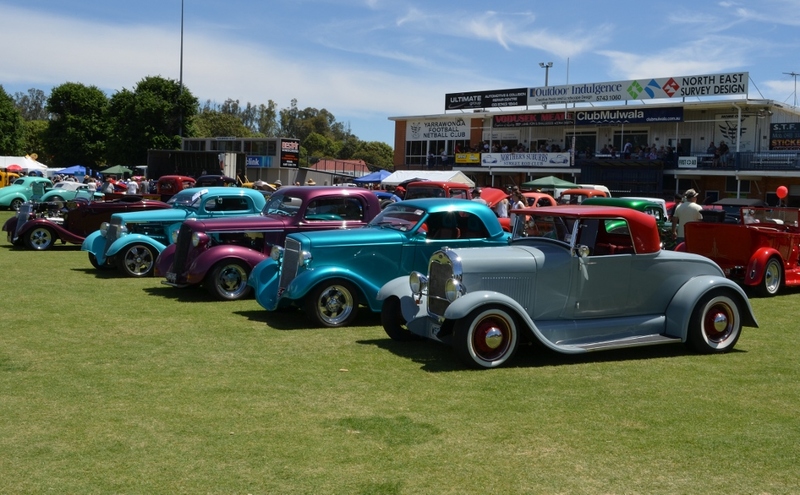 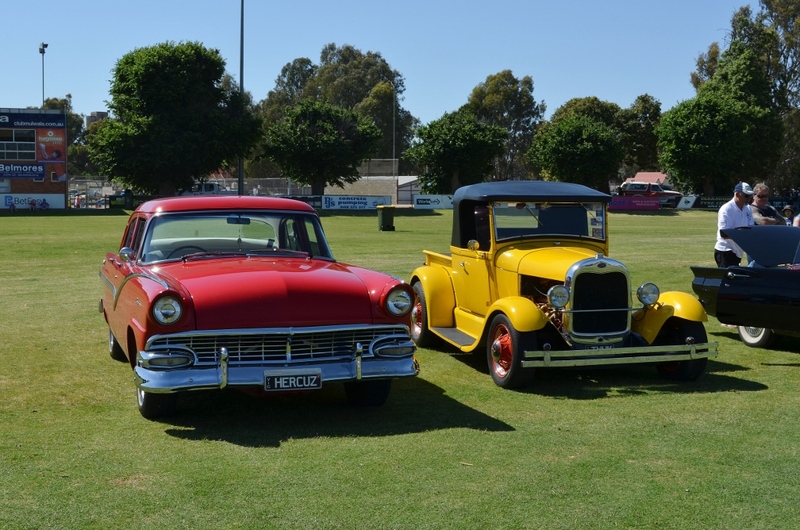 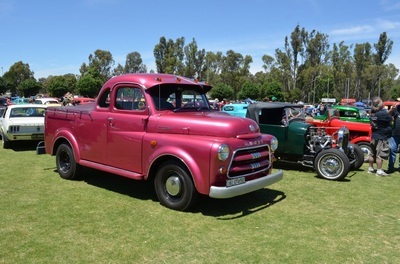 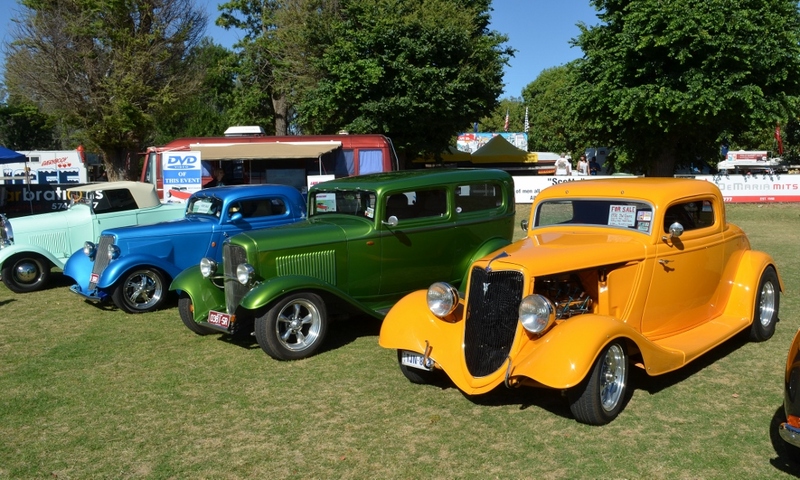 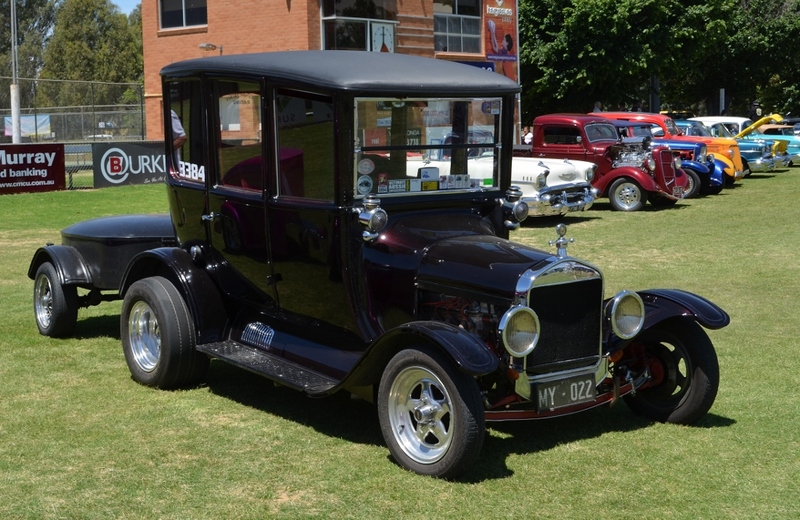 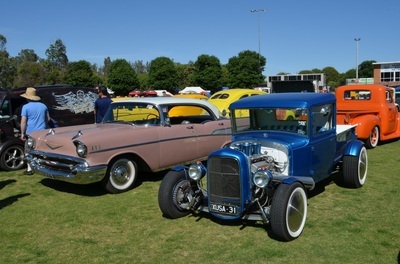 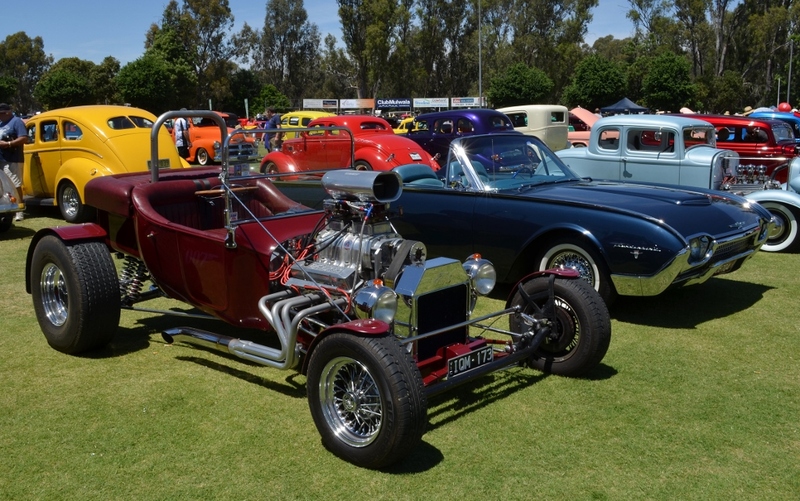 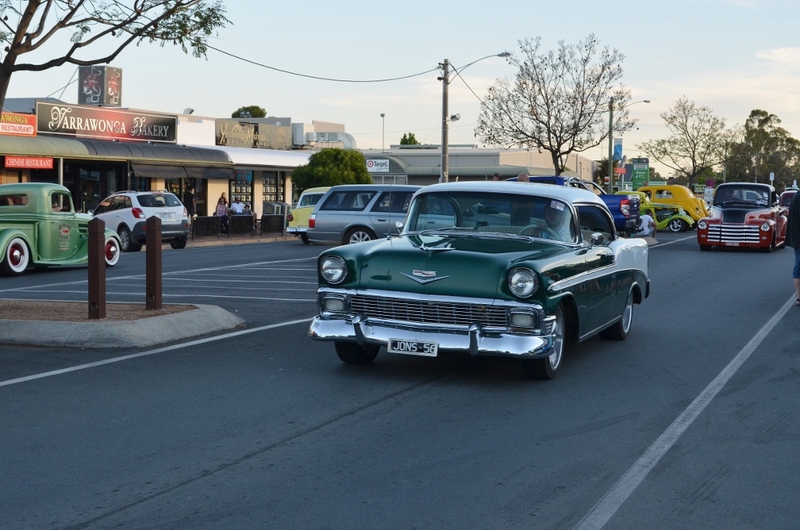 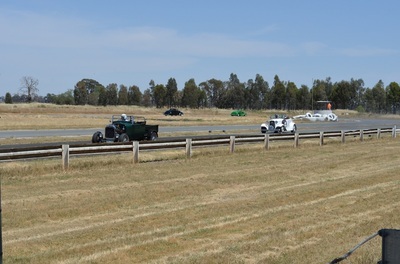 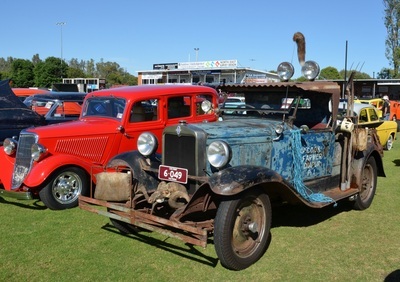 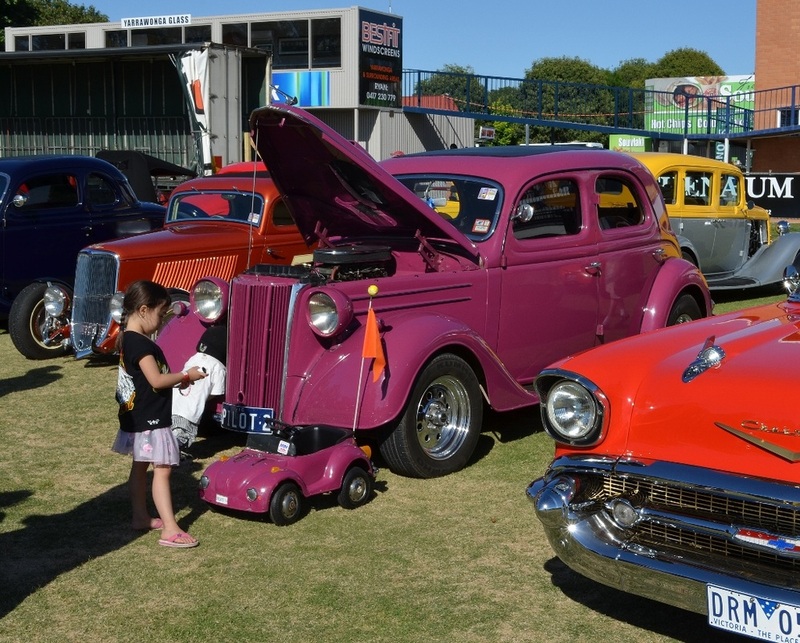 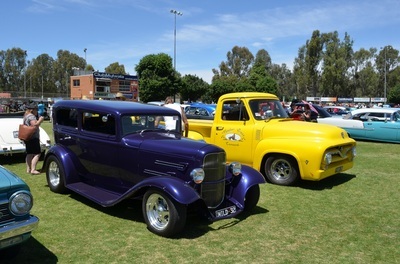 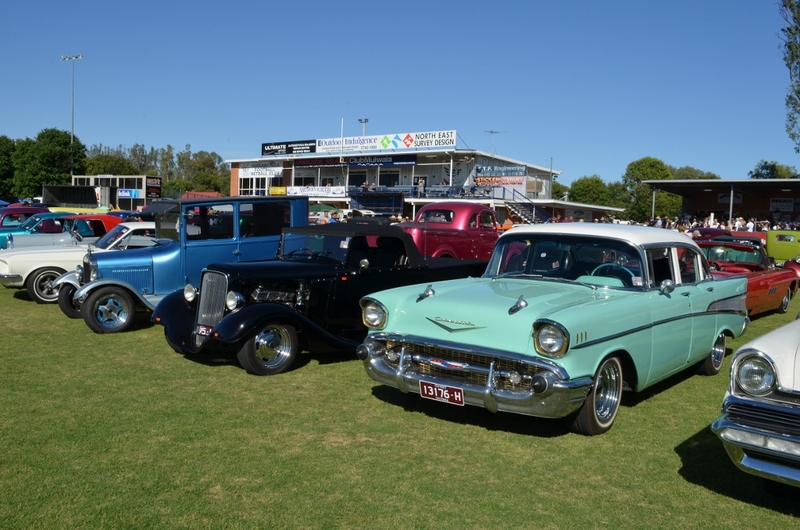 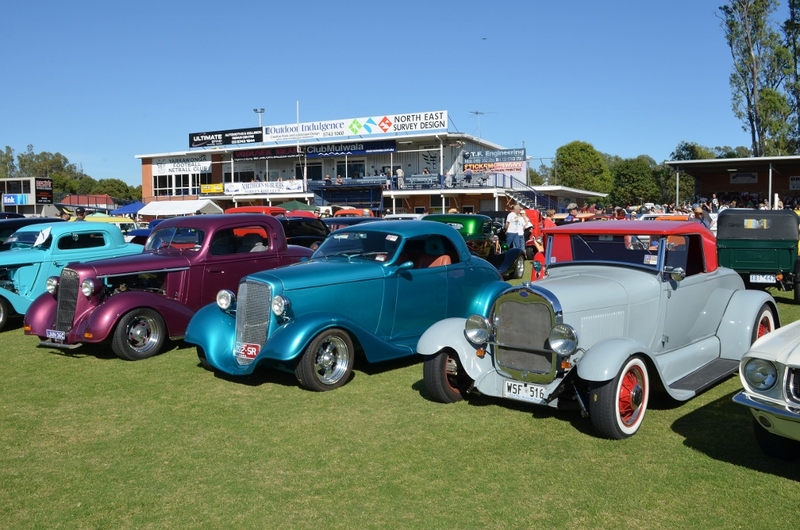 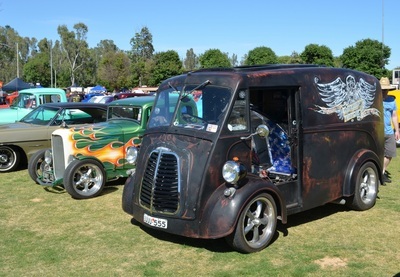 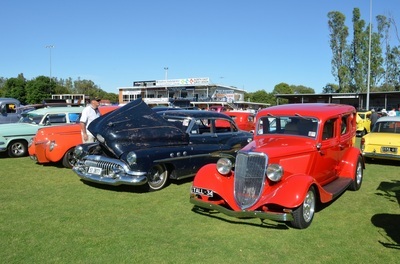 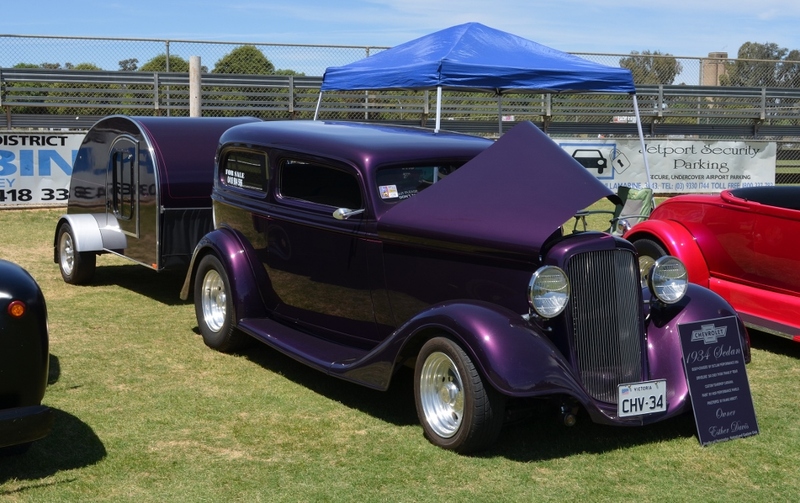 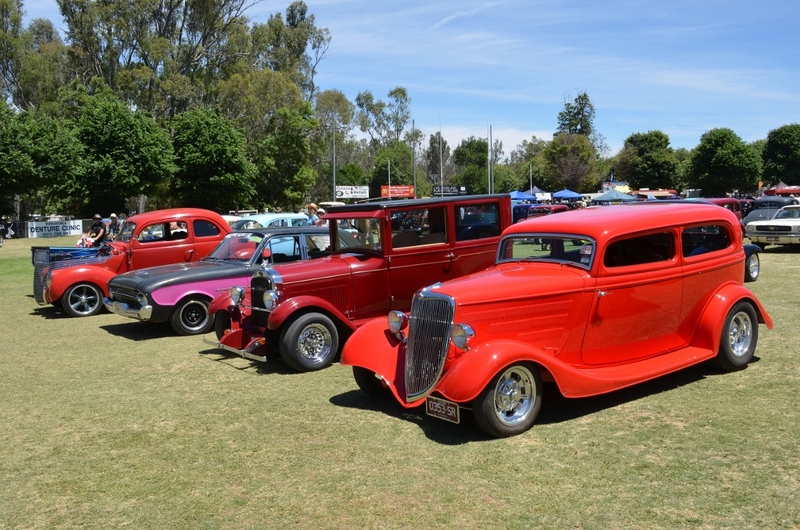 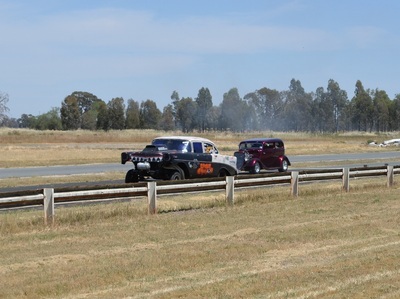 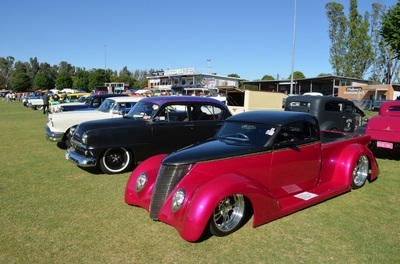 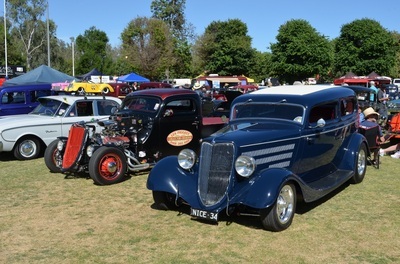 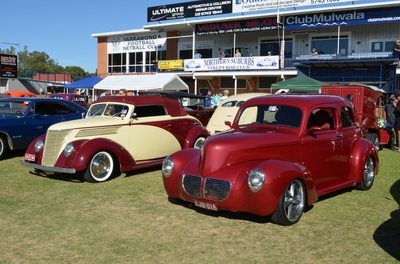 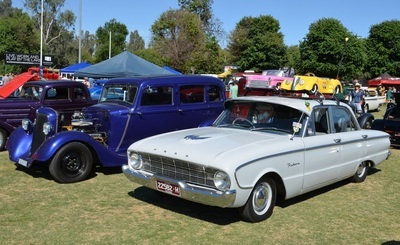 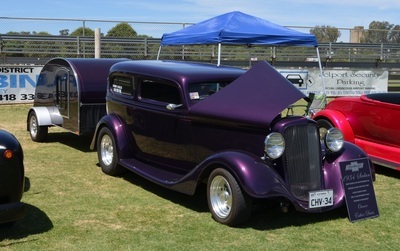 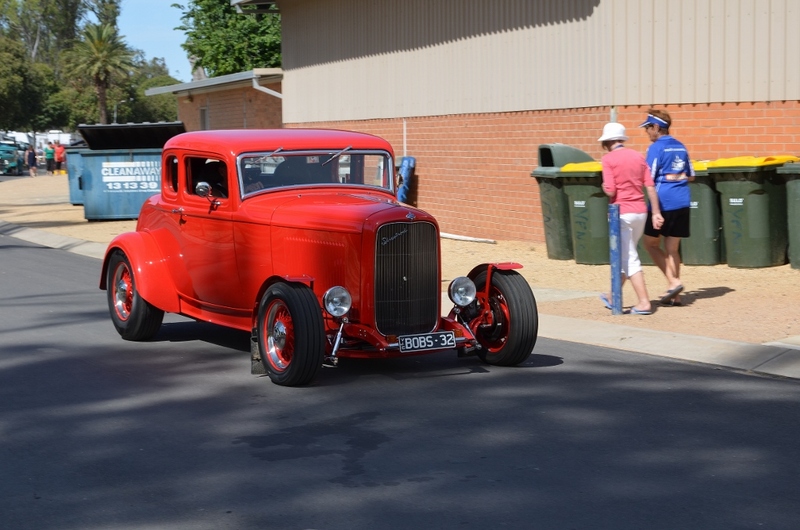 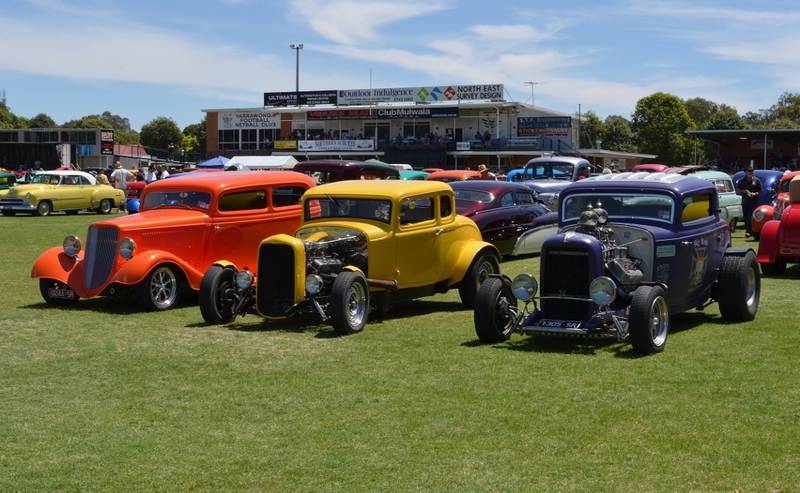 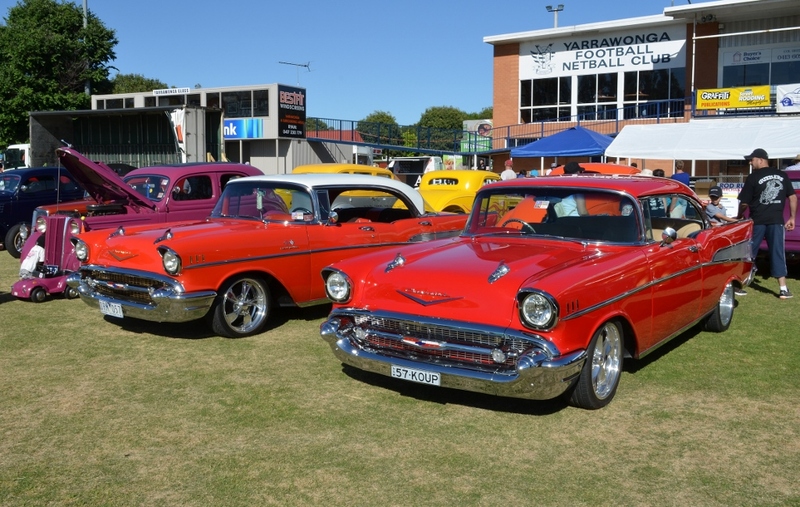 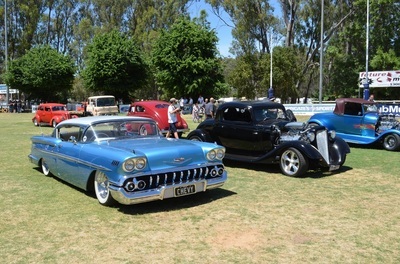 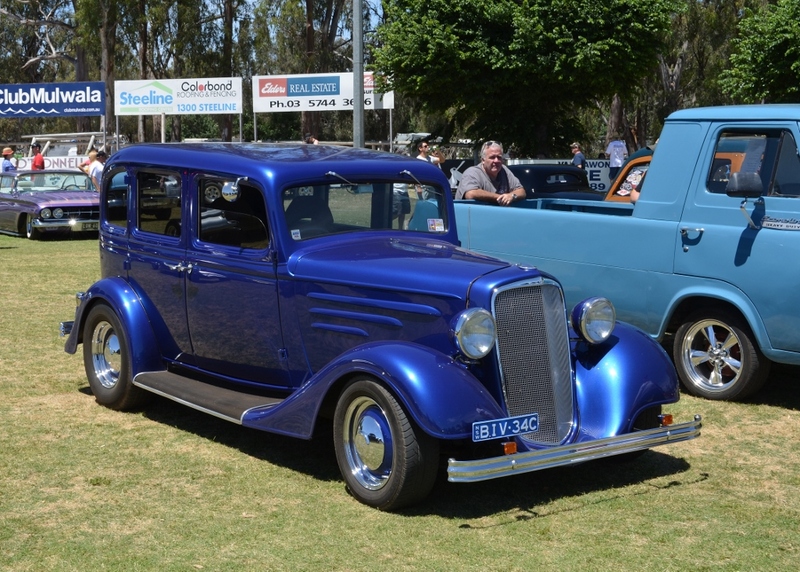 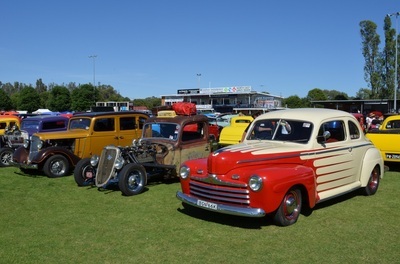 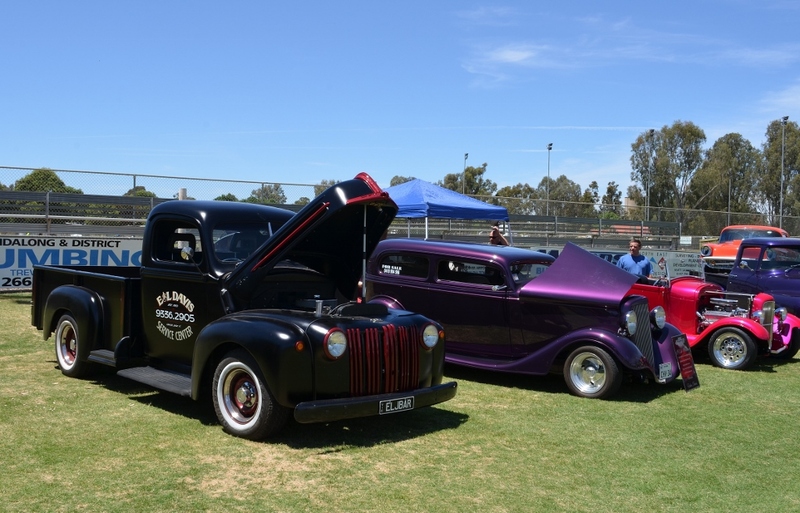 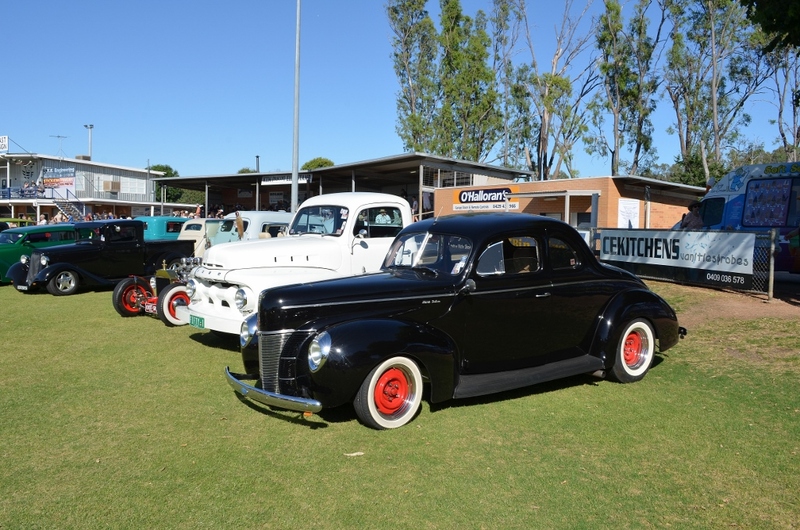 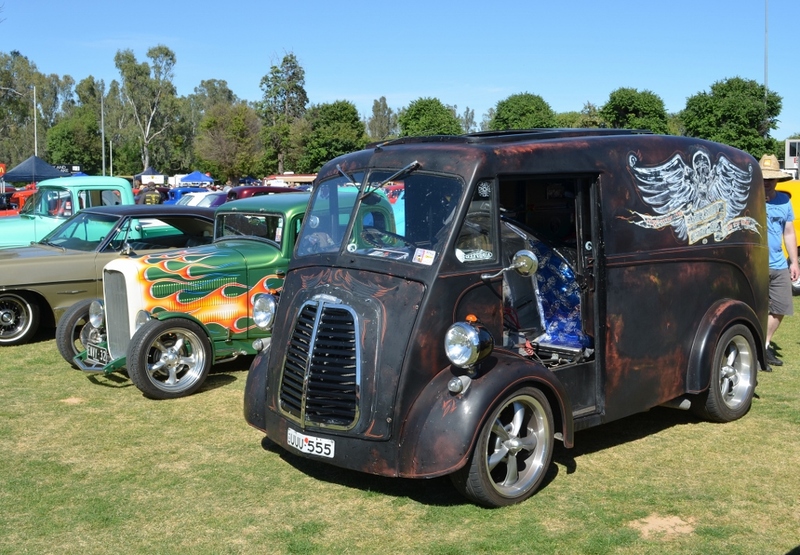 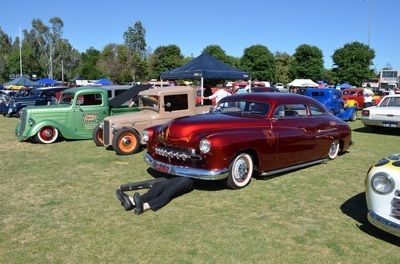 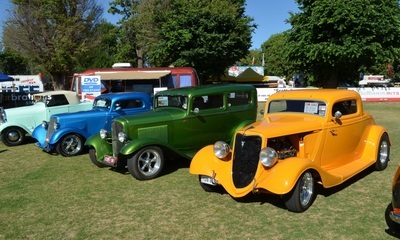 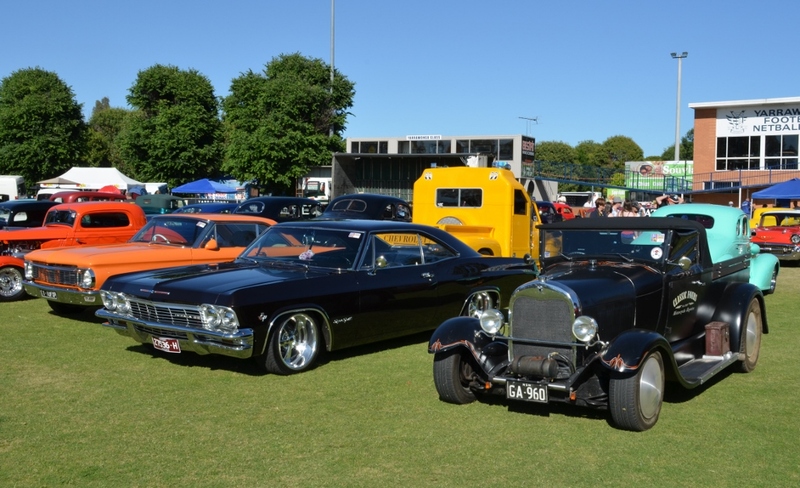 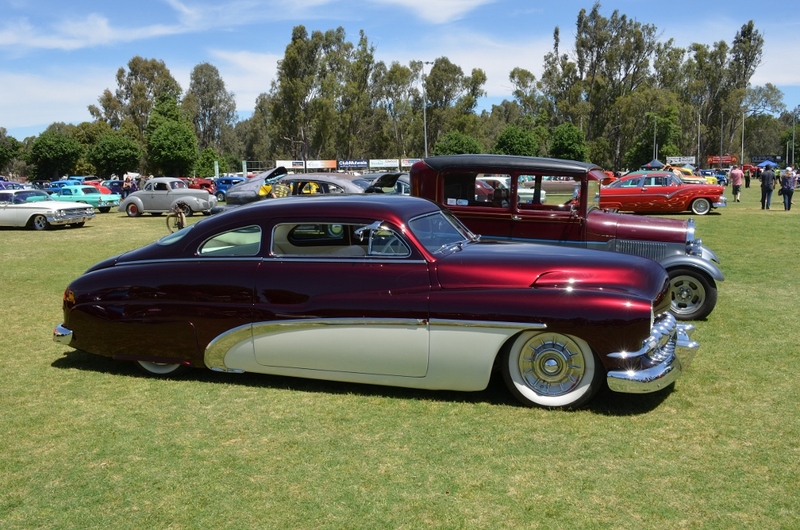 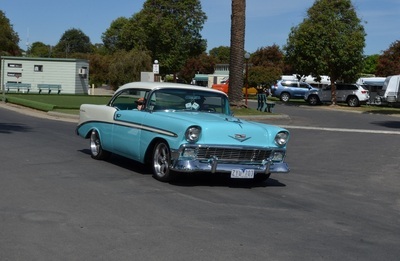 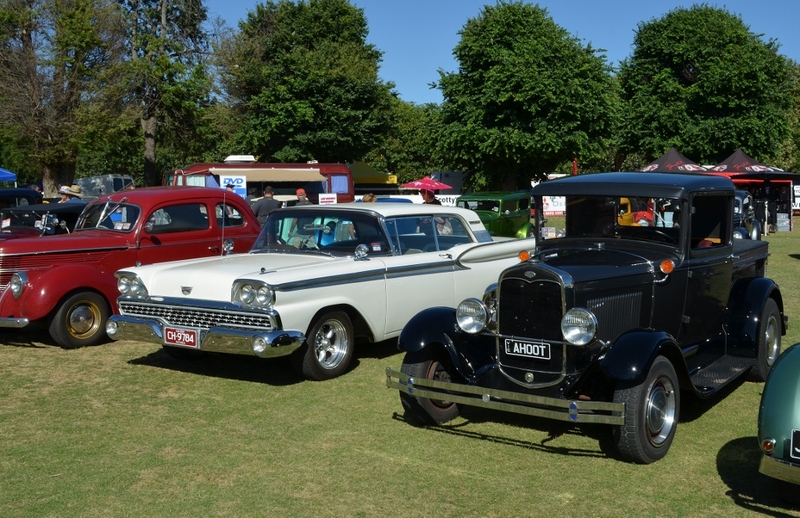 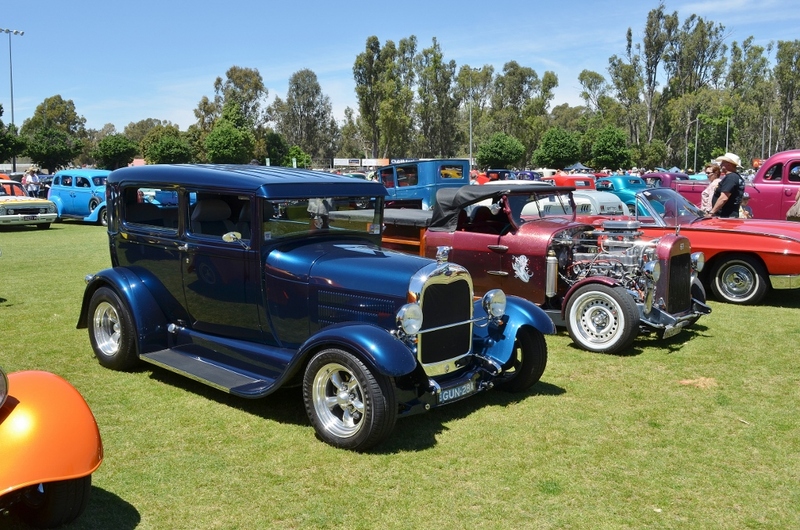 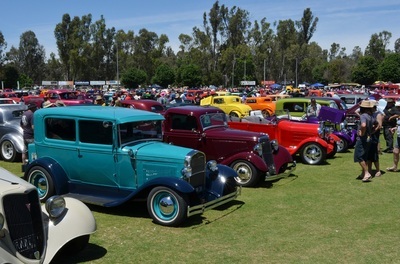 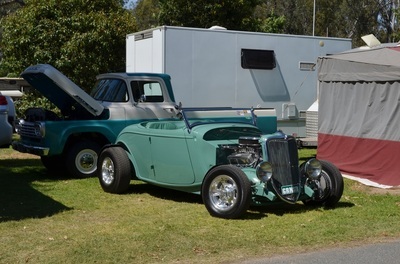 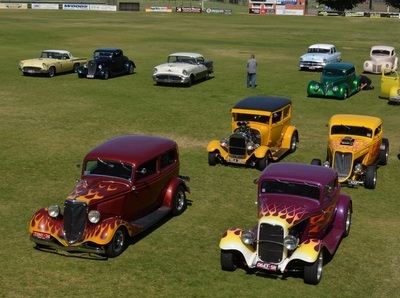 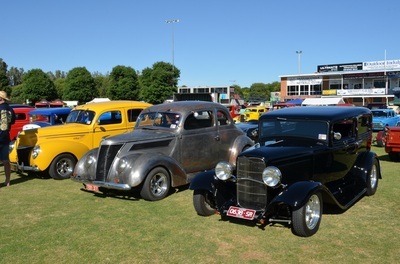 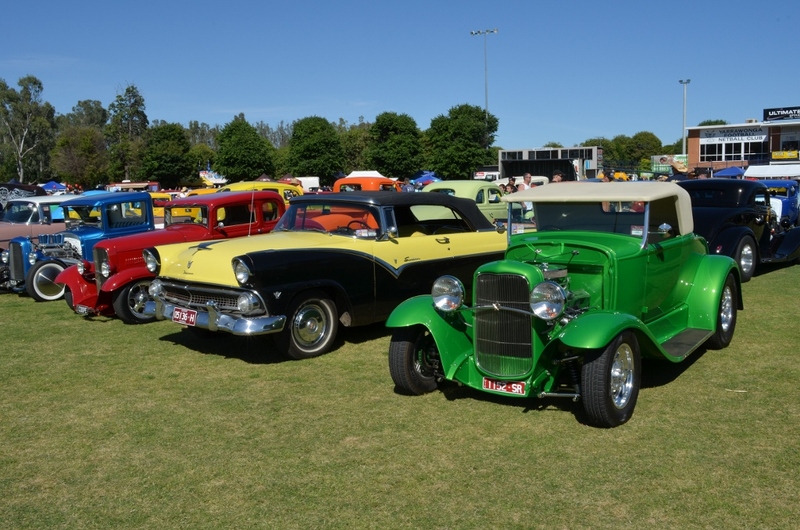 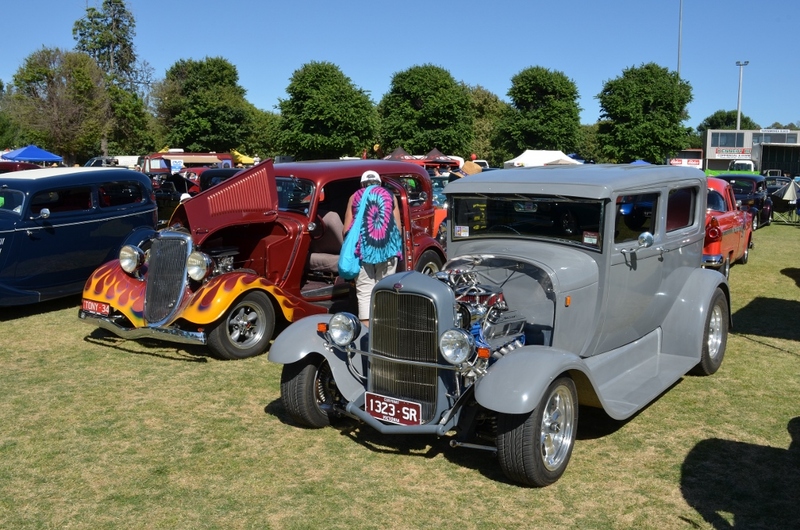 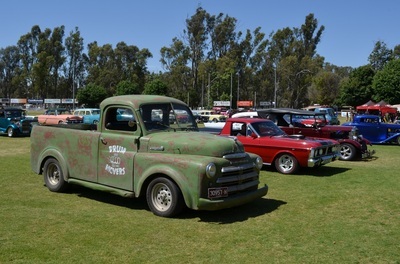 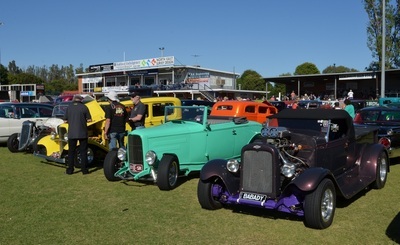 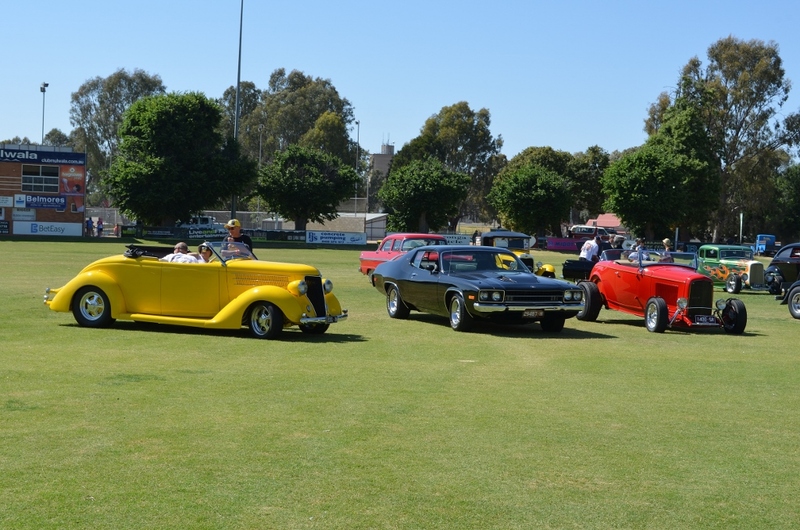 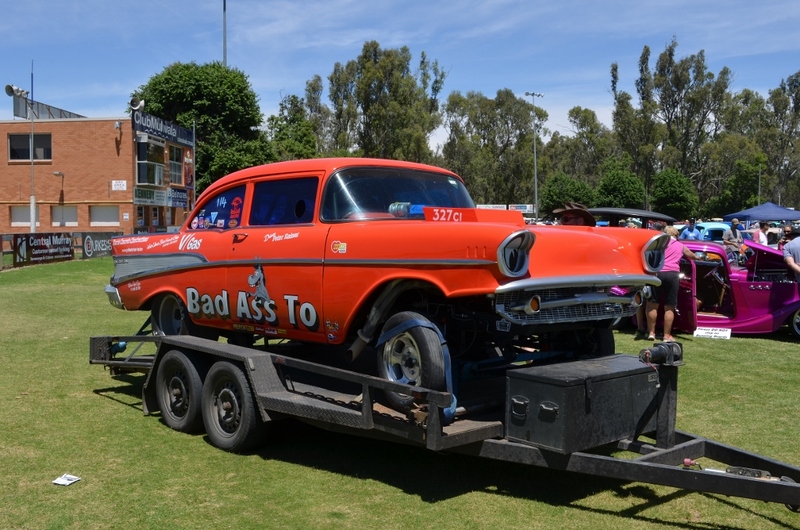 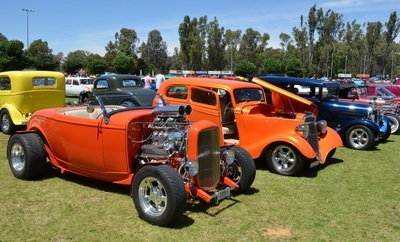 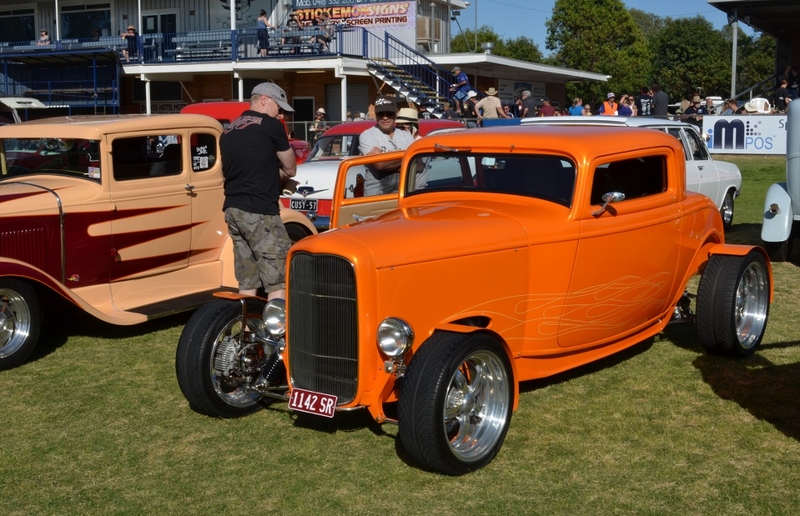 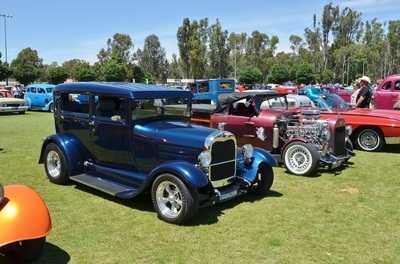 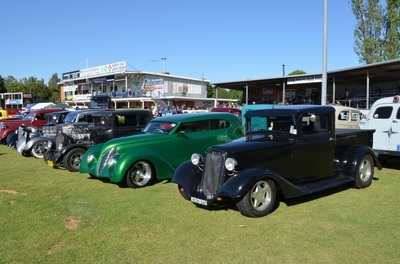 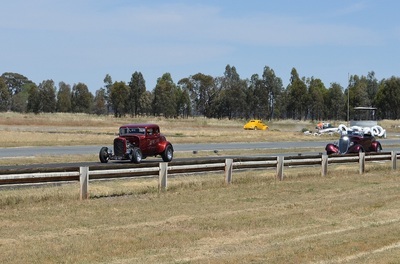 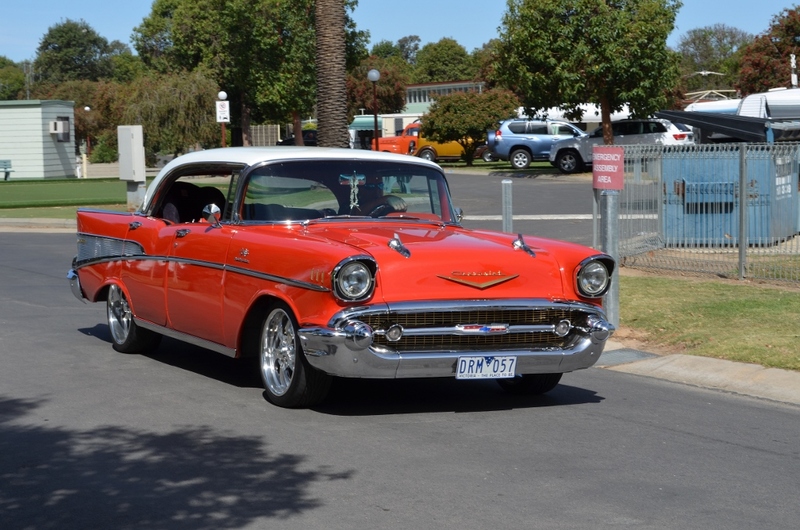 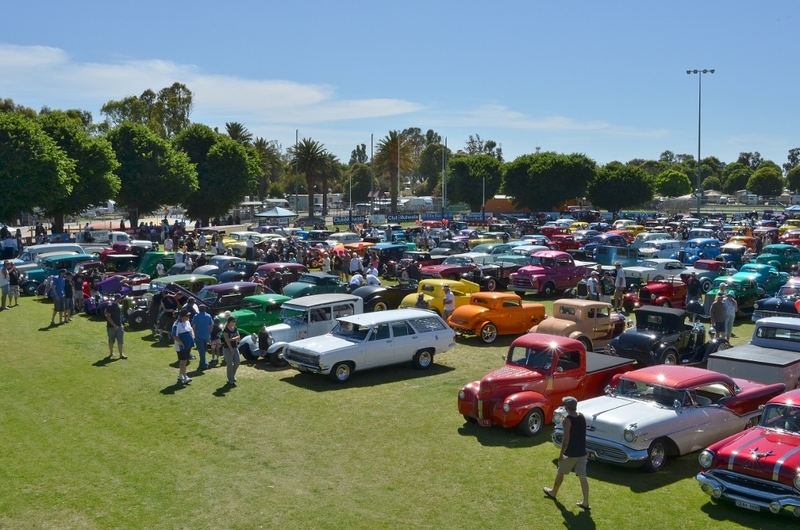 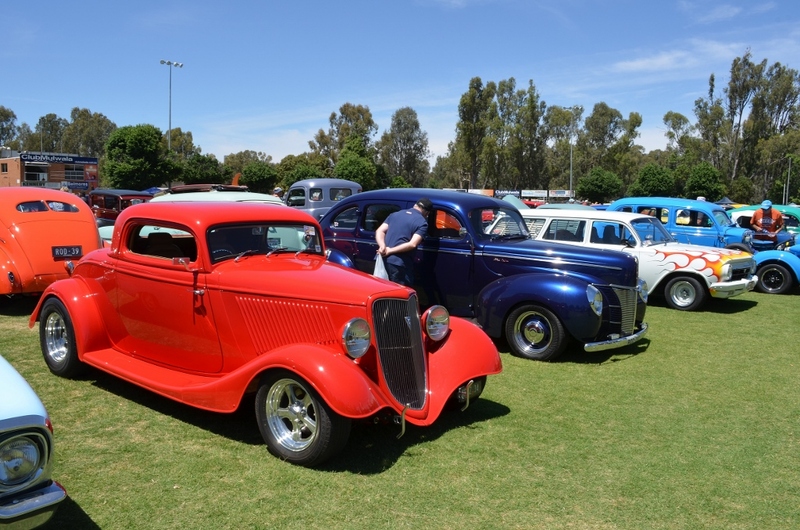 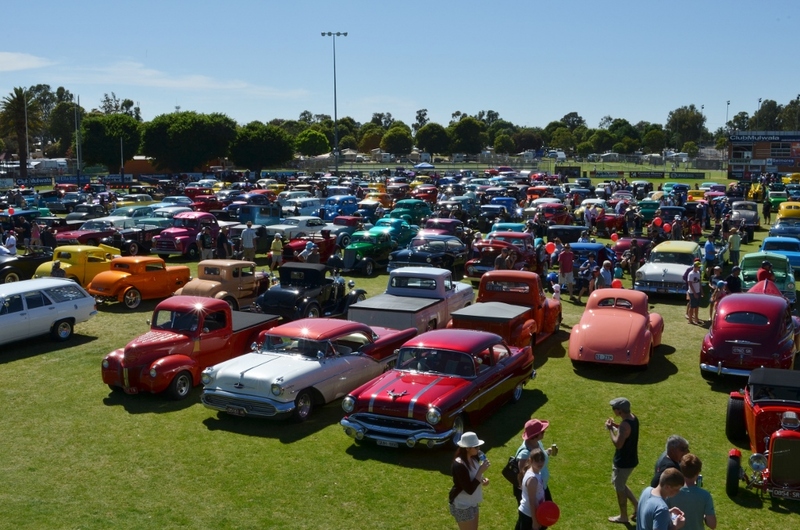 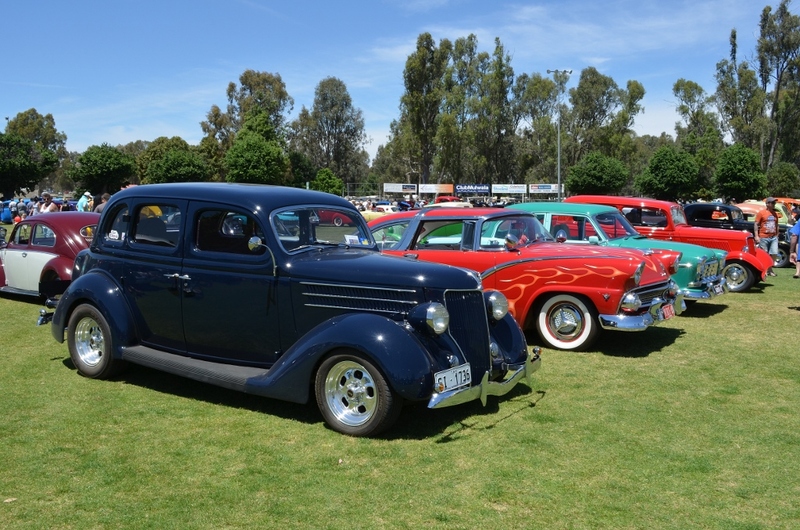 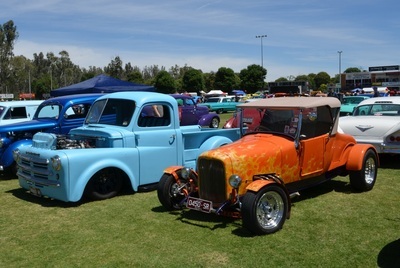 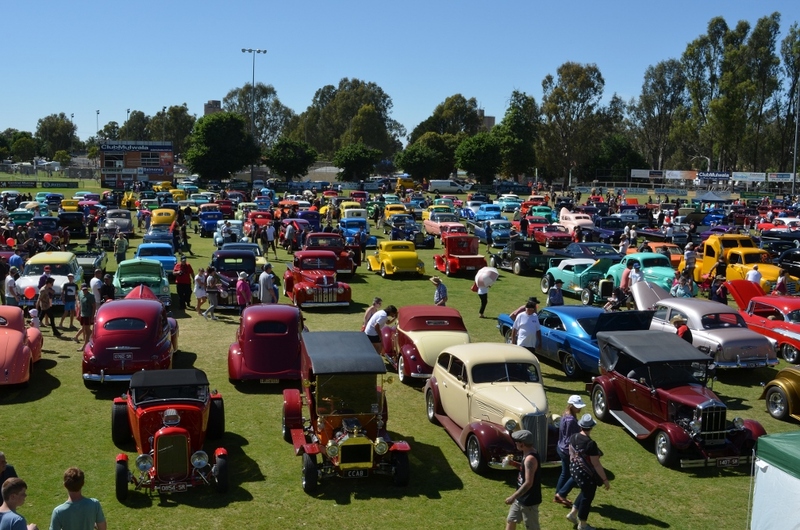 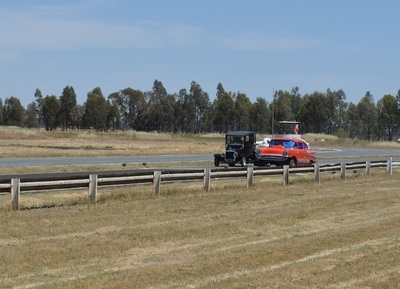 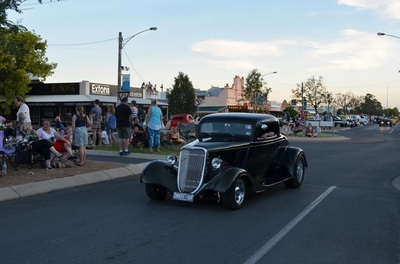 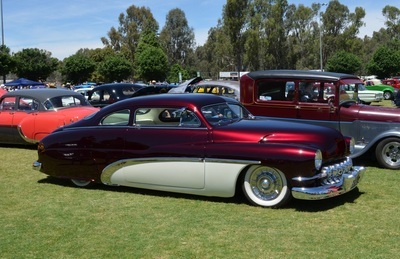 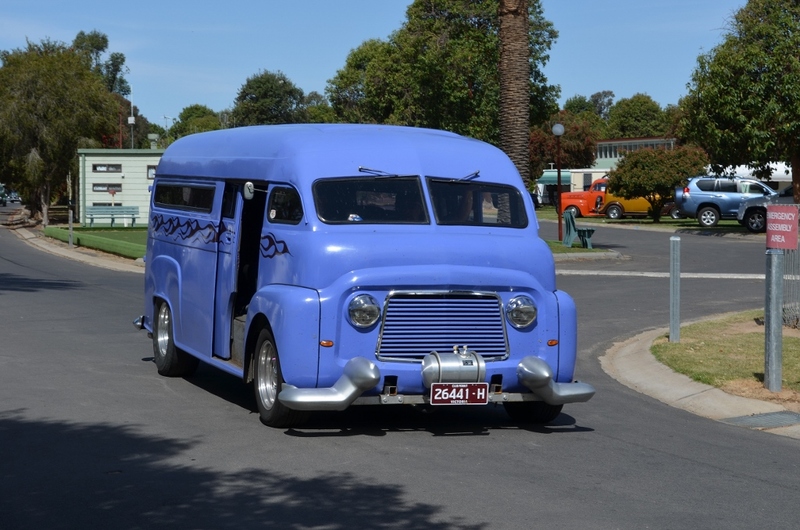 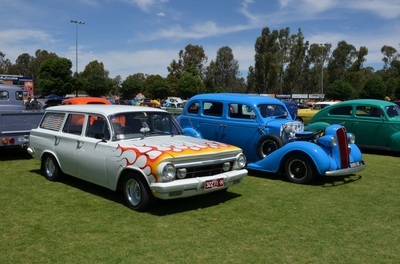 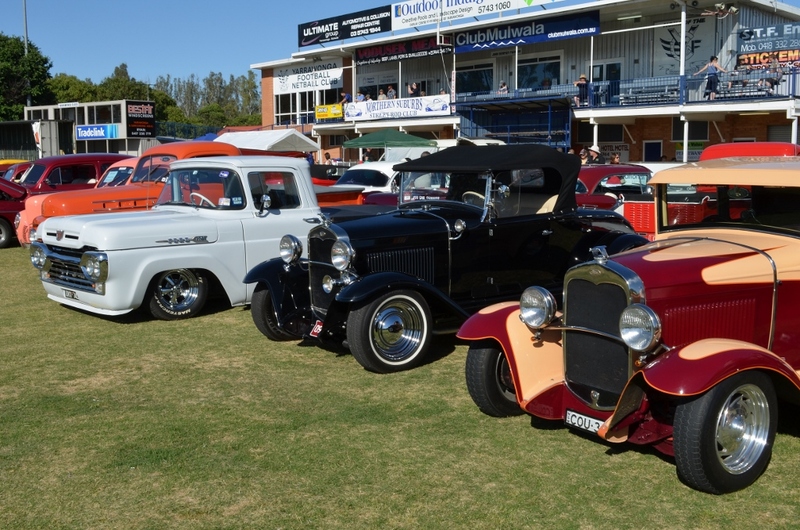 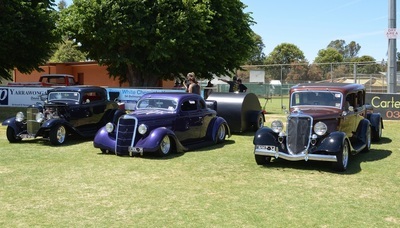 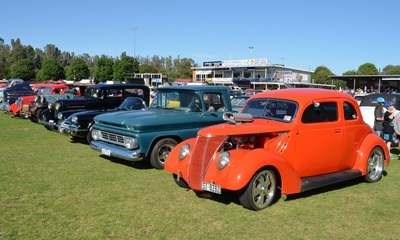 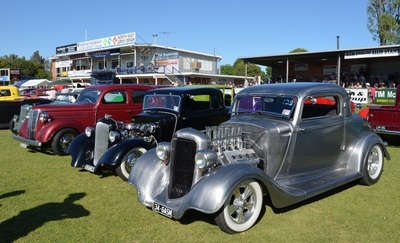 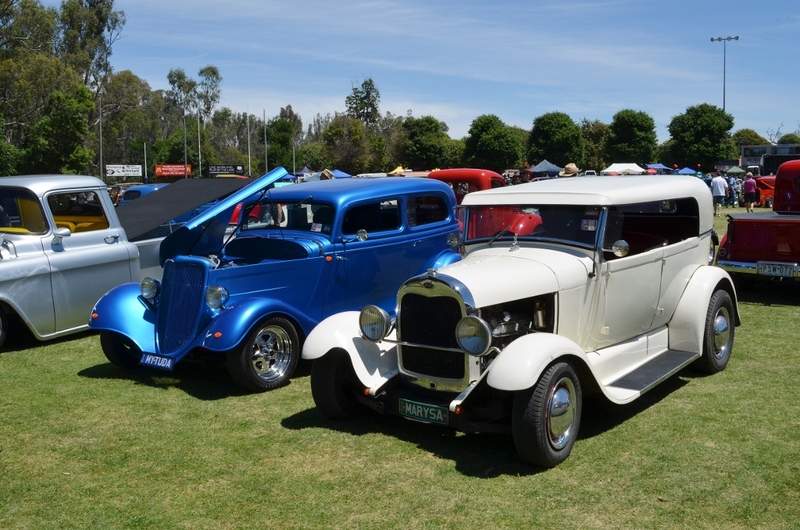 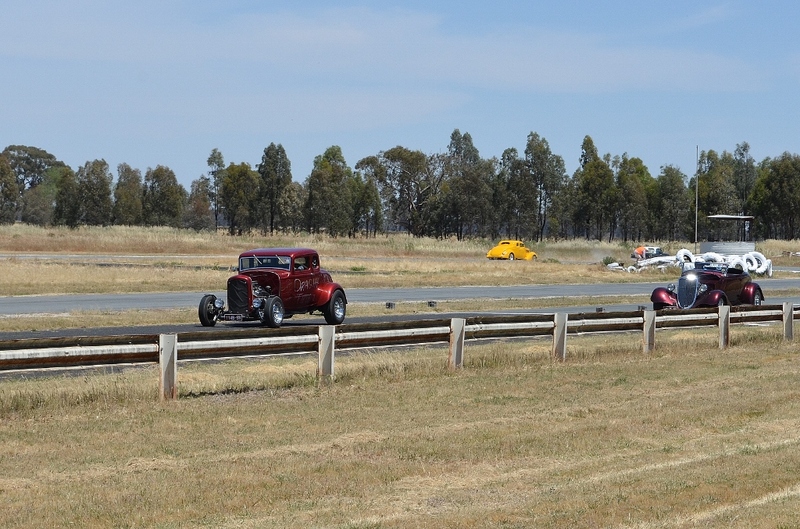 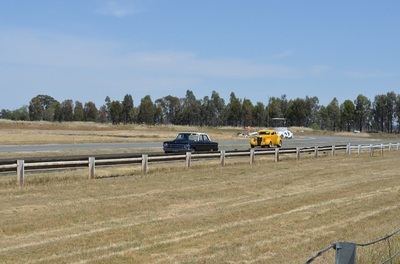 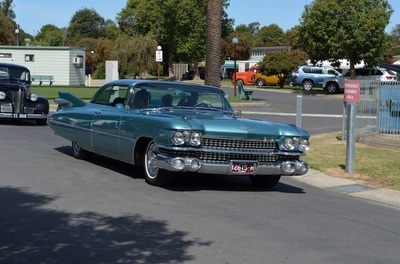 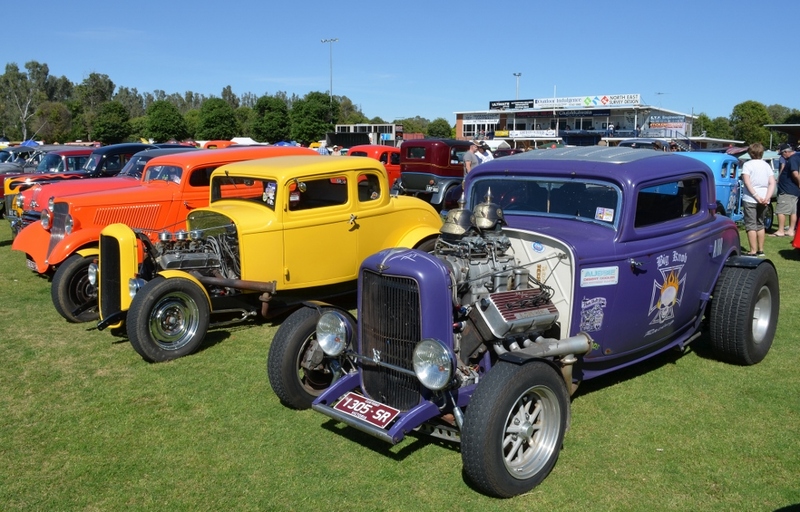 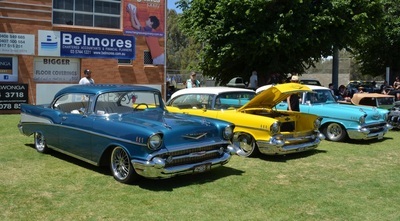 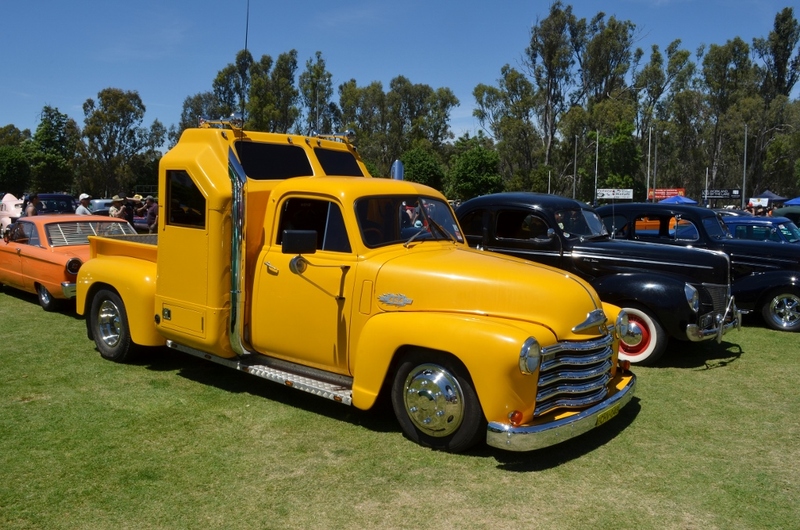 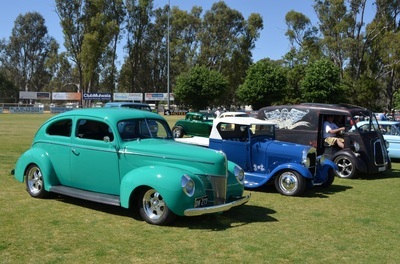 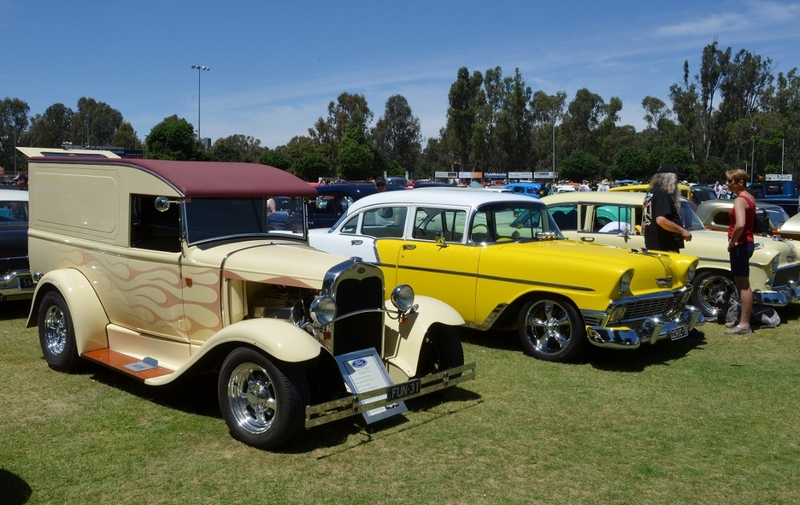 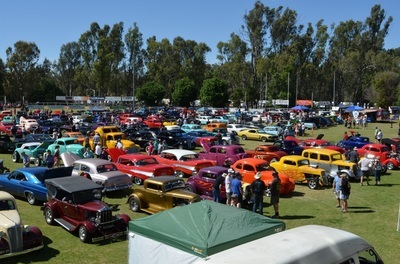 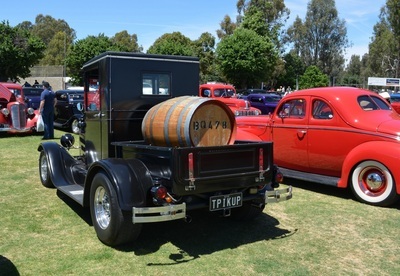 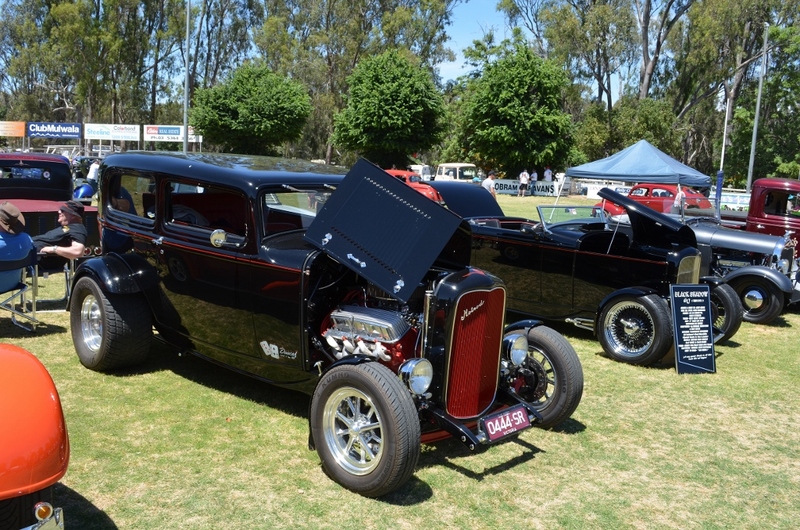 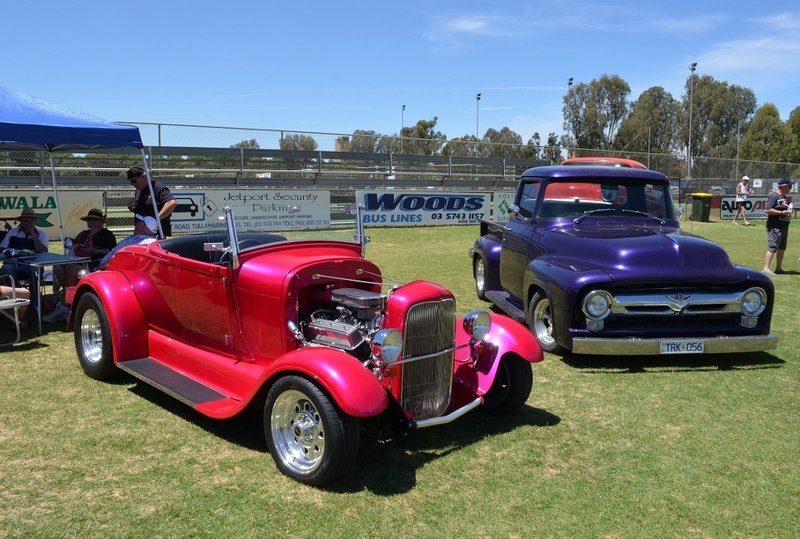 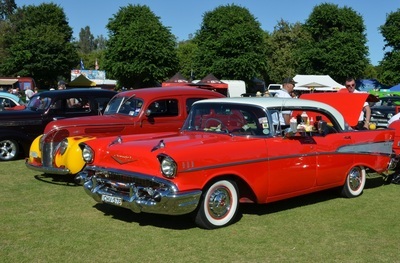 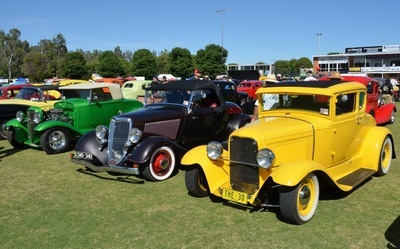 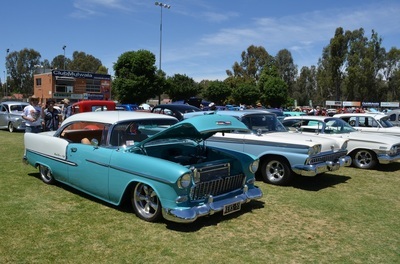 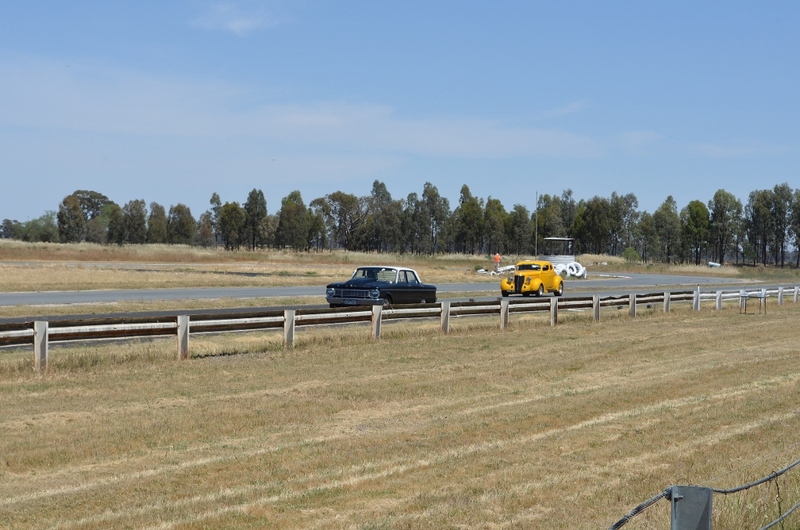 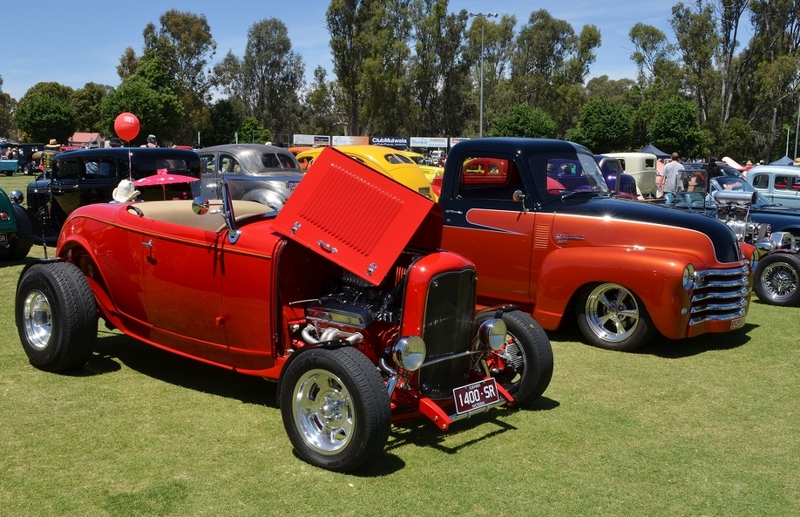 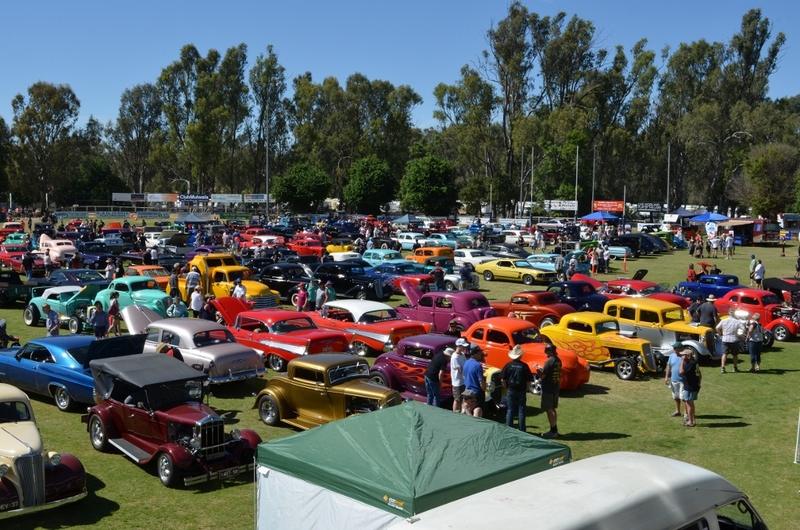 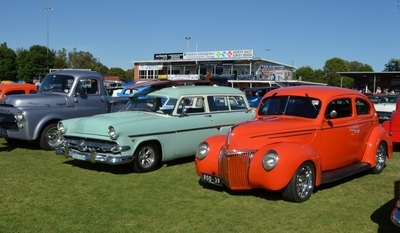 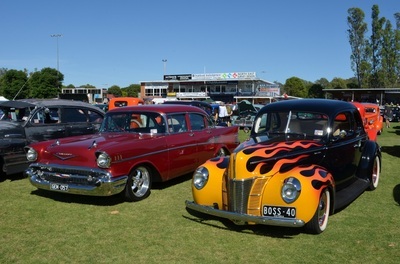 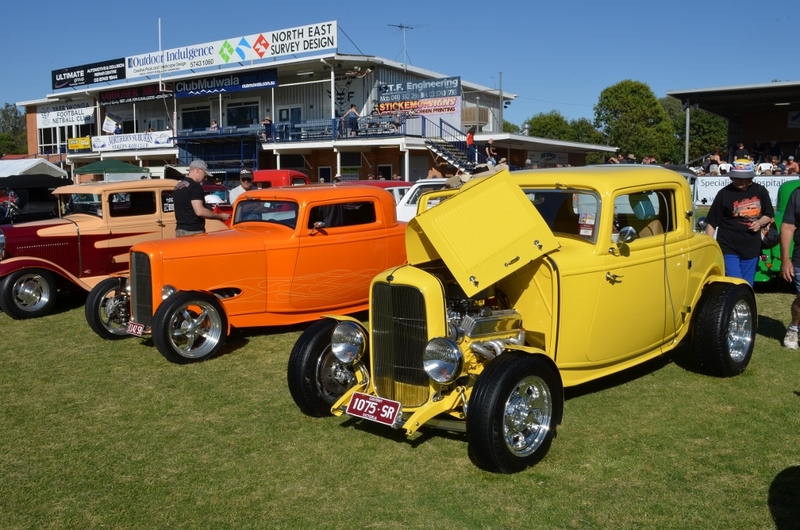 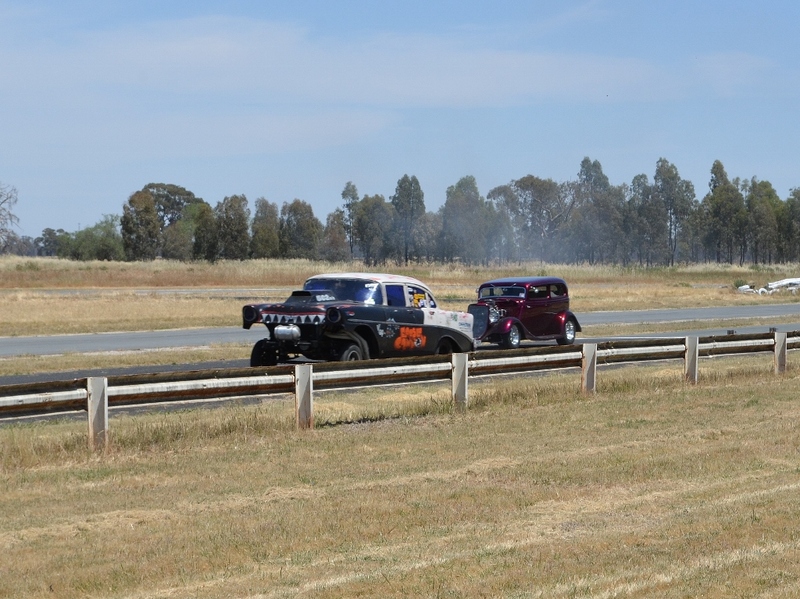 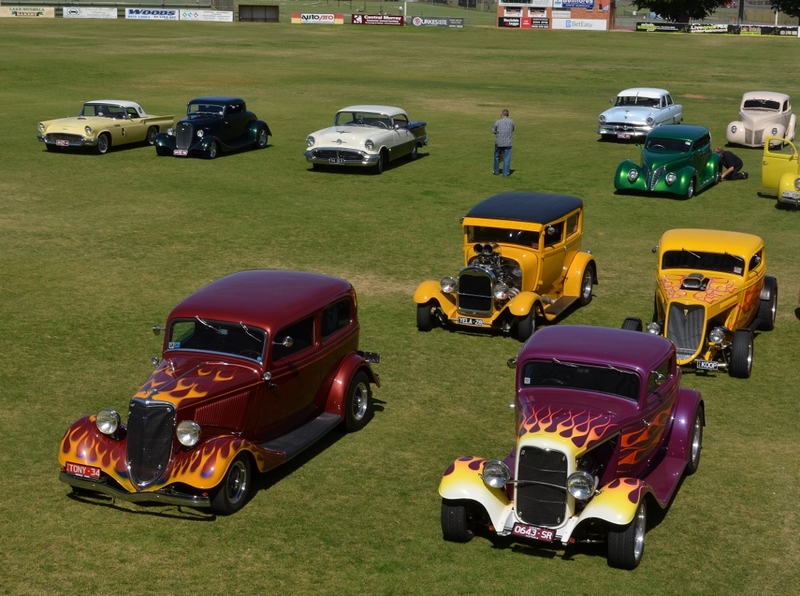 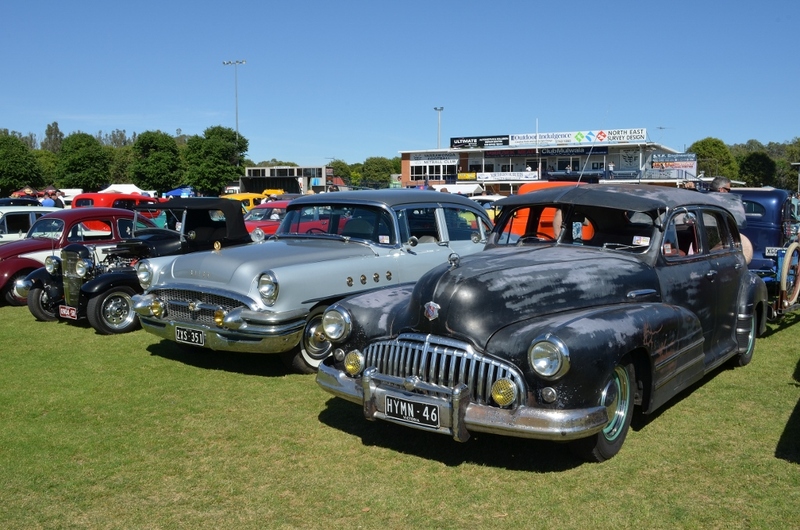 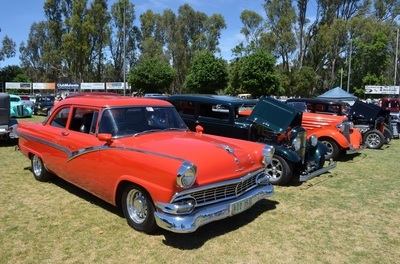 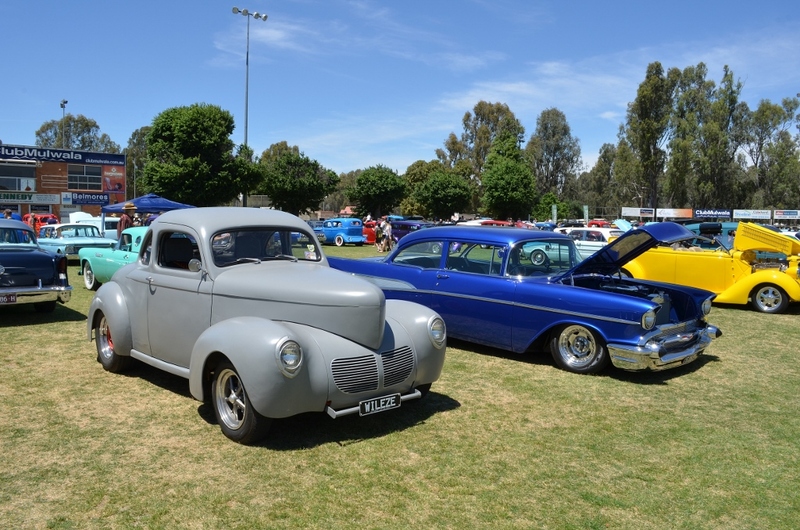 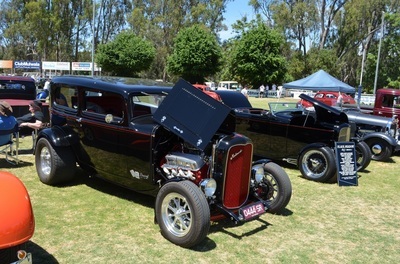 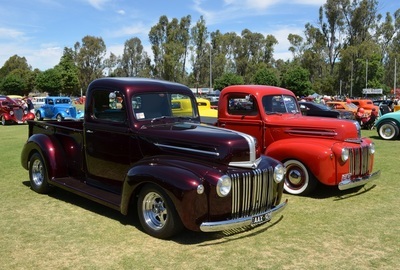 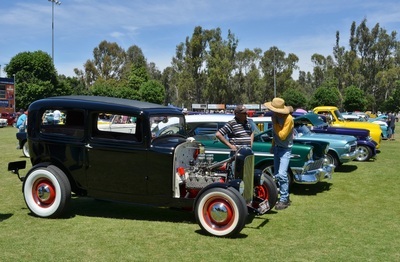 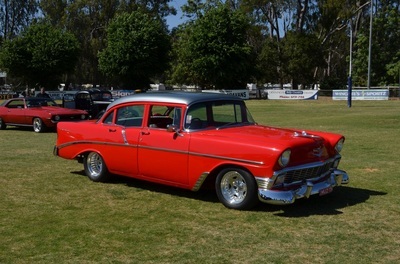 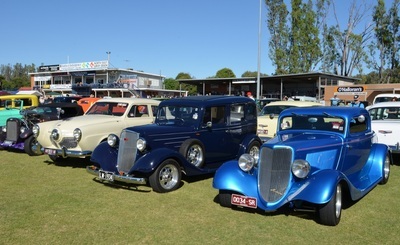 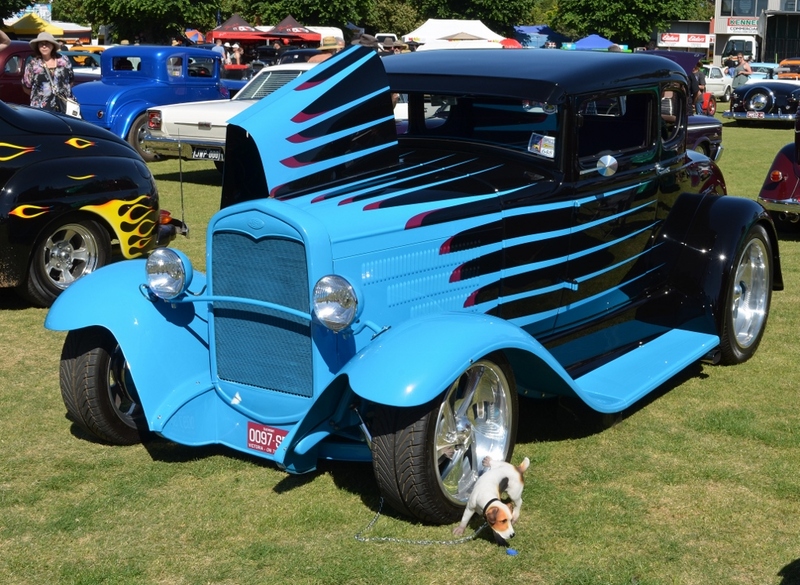 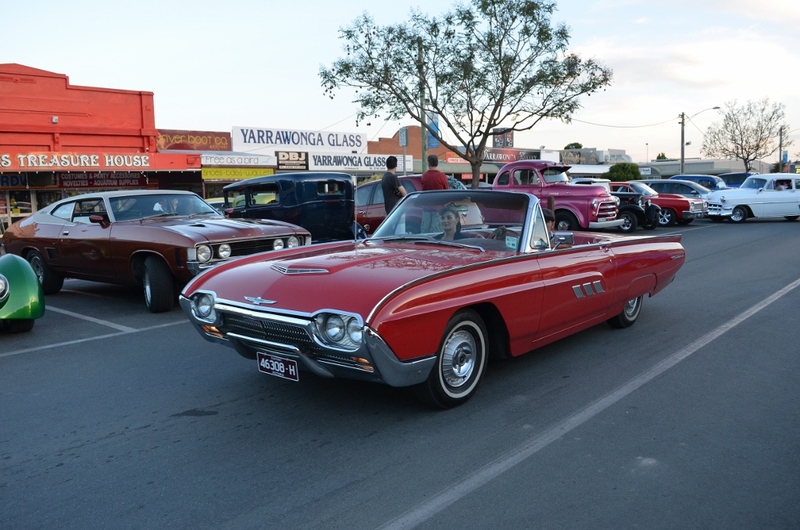 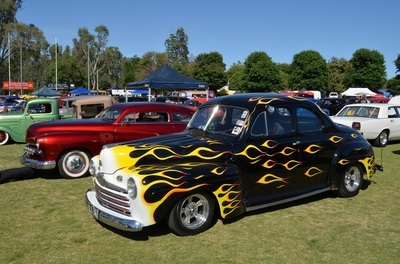 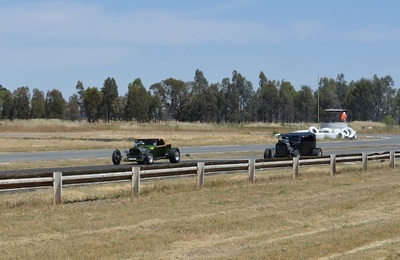 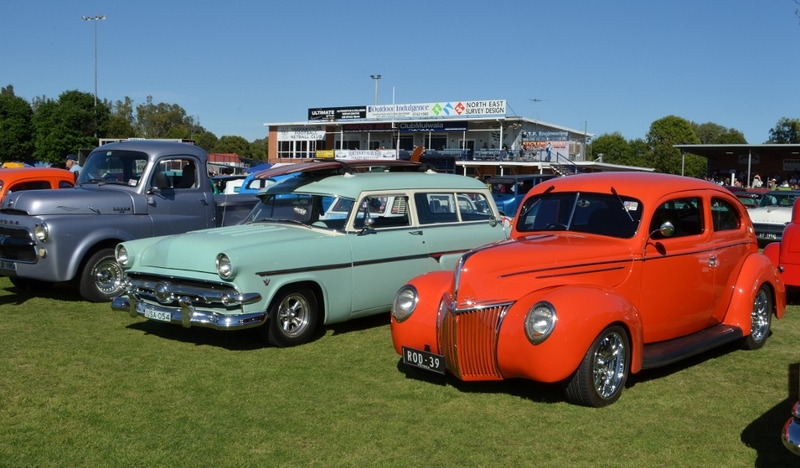 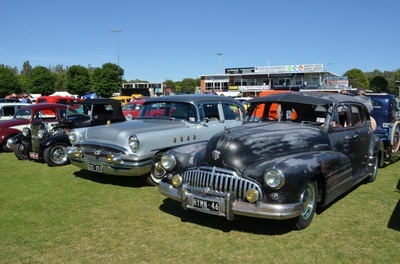 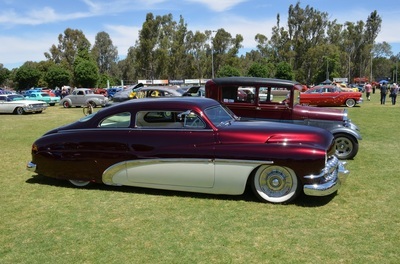 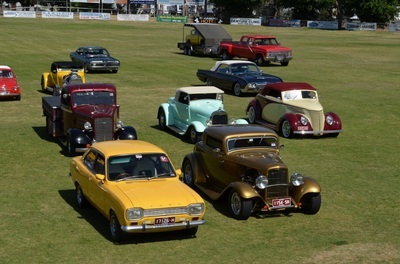 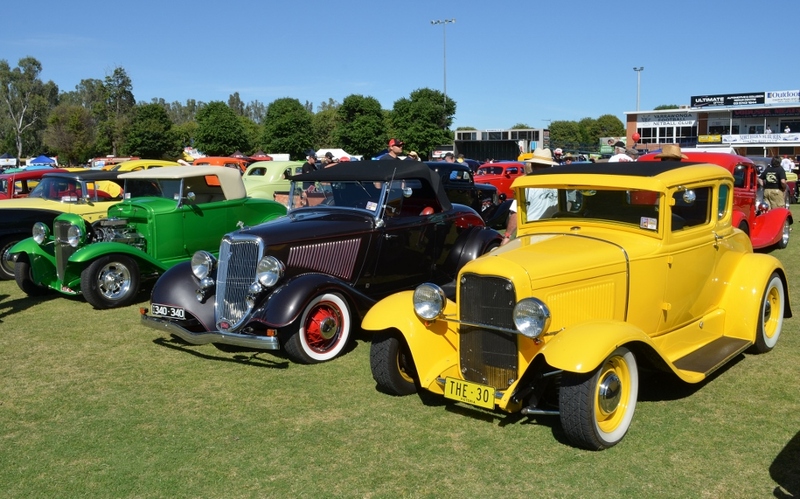 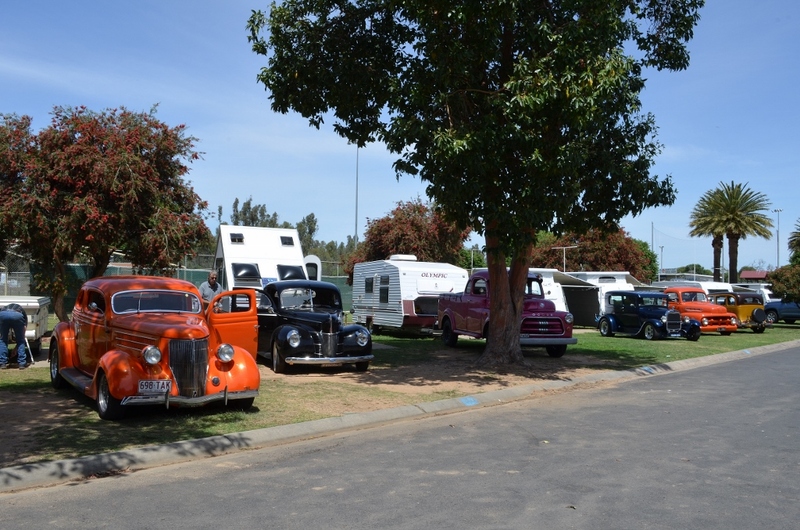 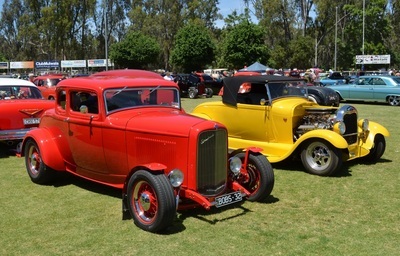 The drag racing just out of town was very popular and the Show and Shine filled the oval in the Caravan Park with most of the 687 entrants attending. It certainly is a great weekend and an event we will be back to next year. Enjoy the pictures.